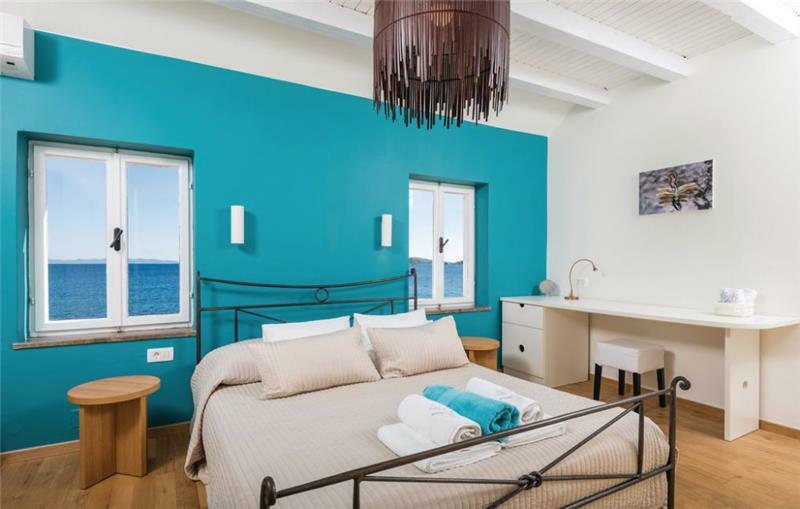 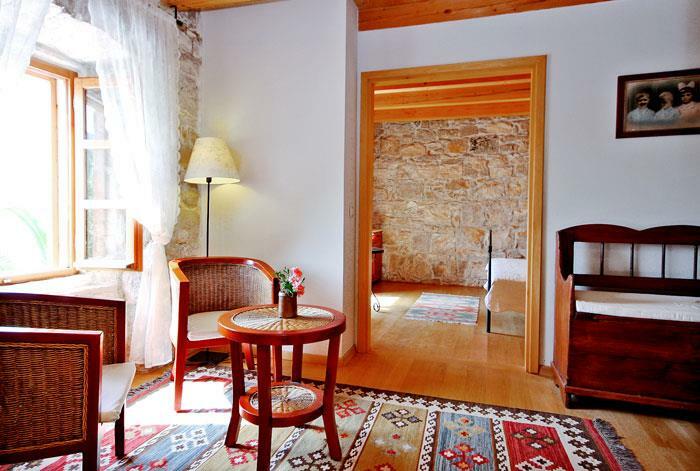 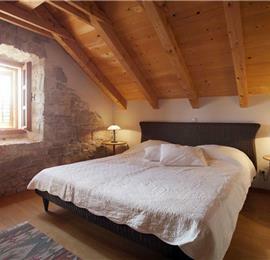 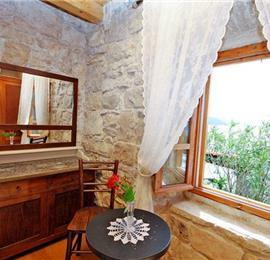 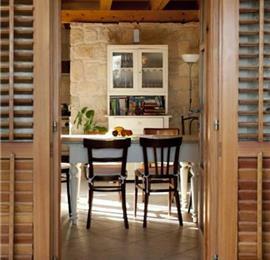 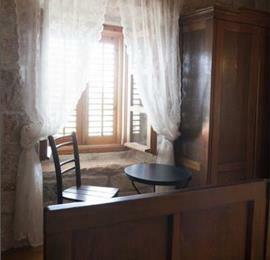 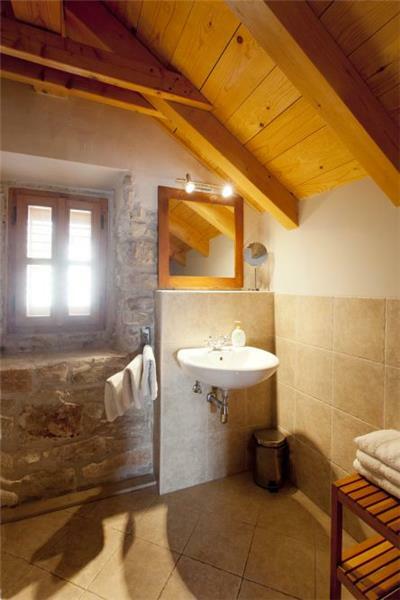 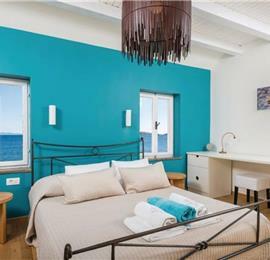 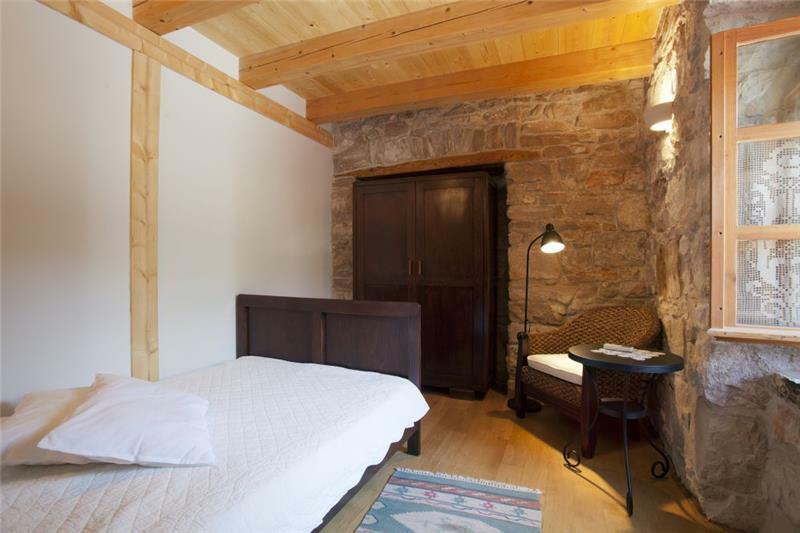 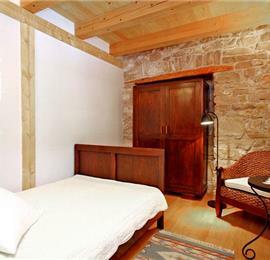 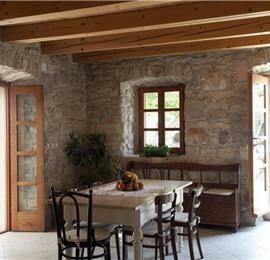 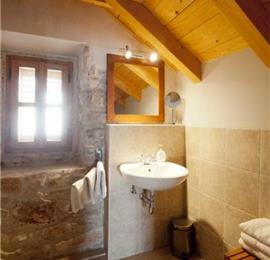 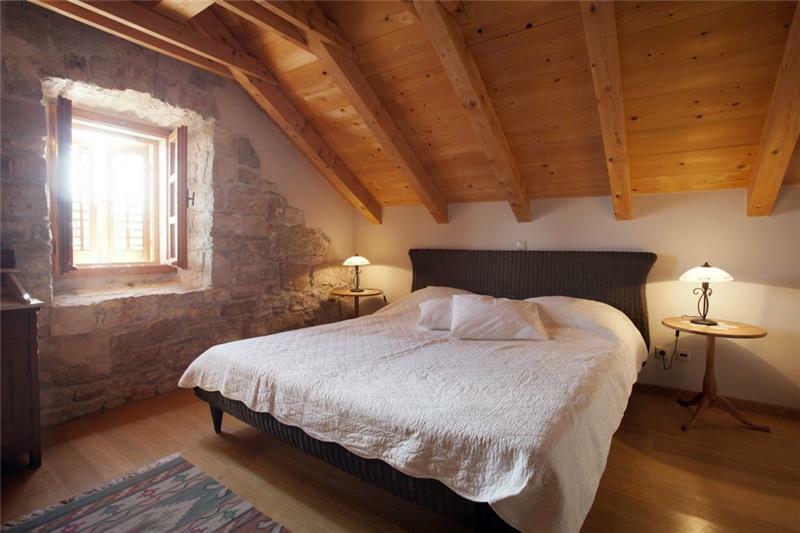 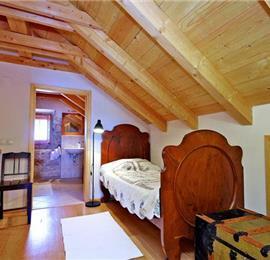 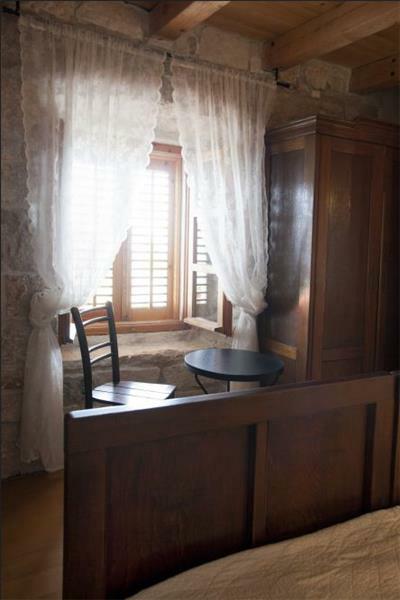 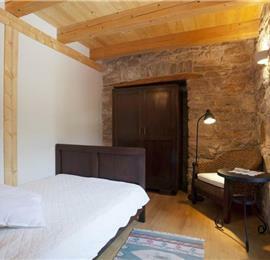 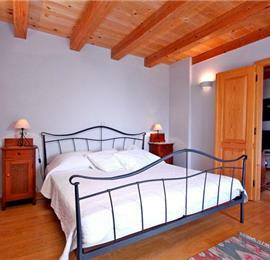 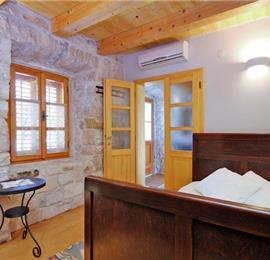 Minimum stay: 7 nights for June-September, 3 nights for all other dates. 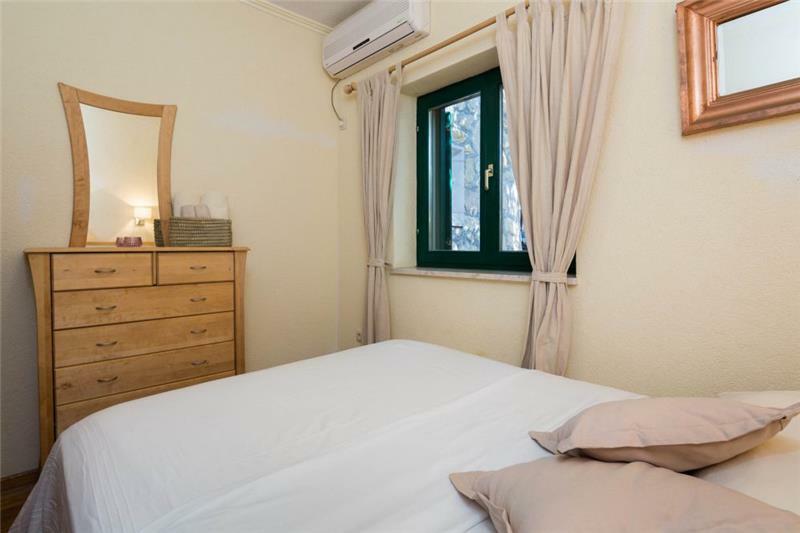 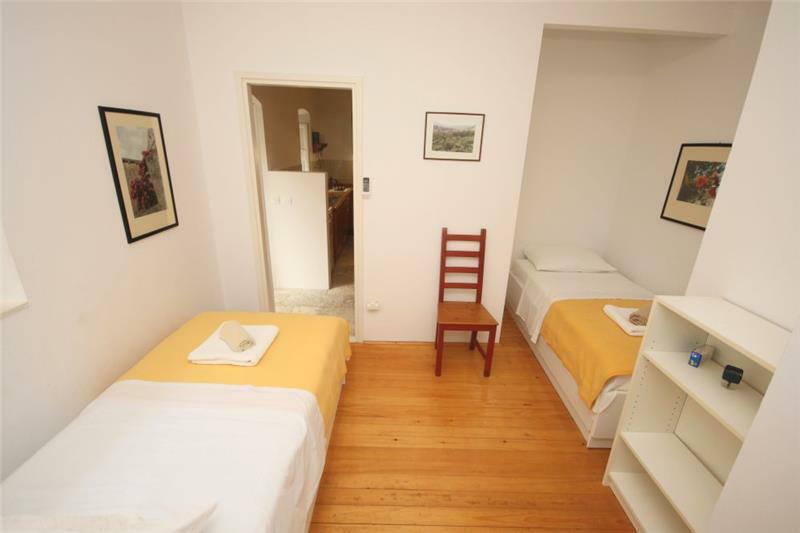 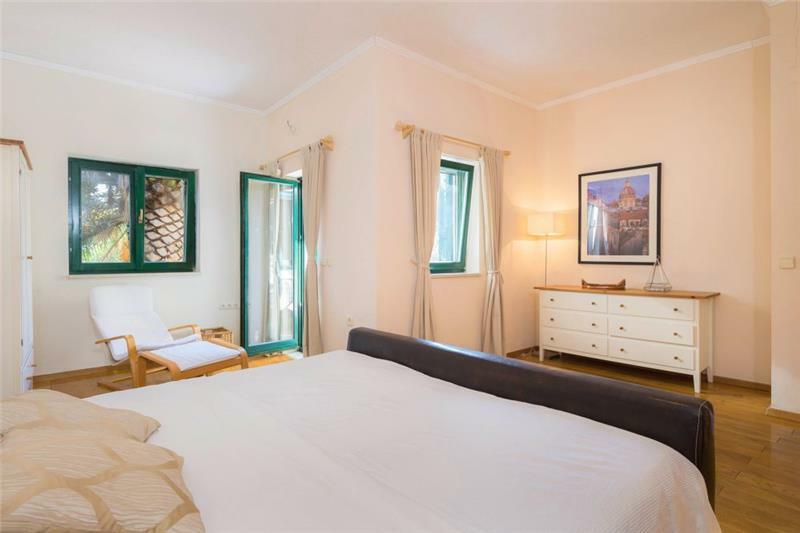 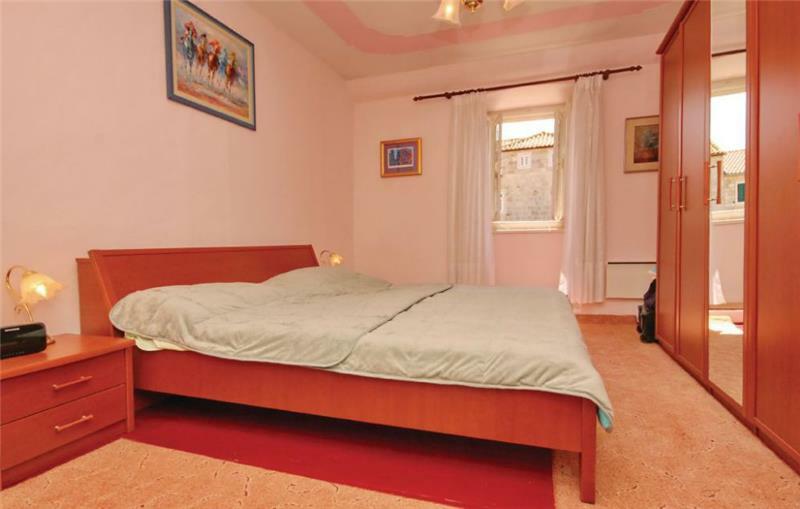 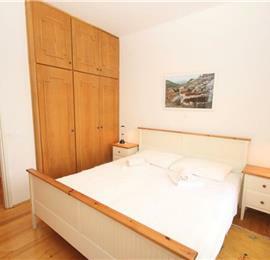 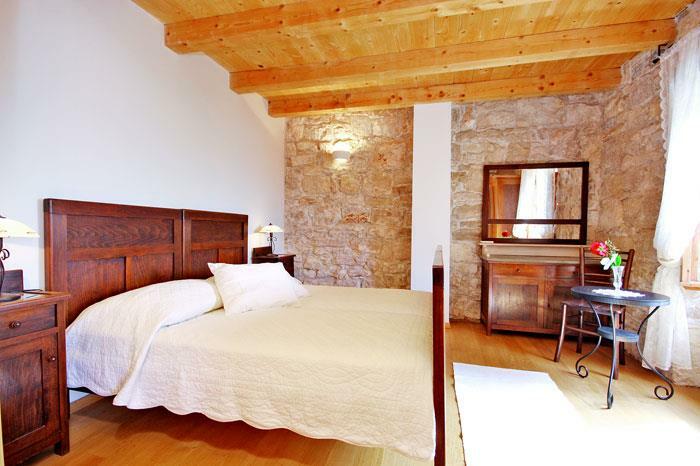 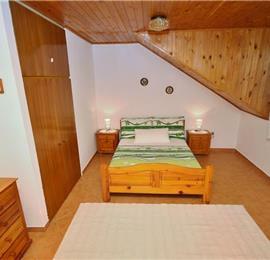 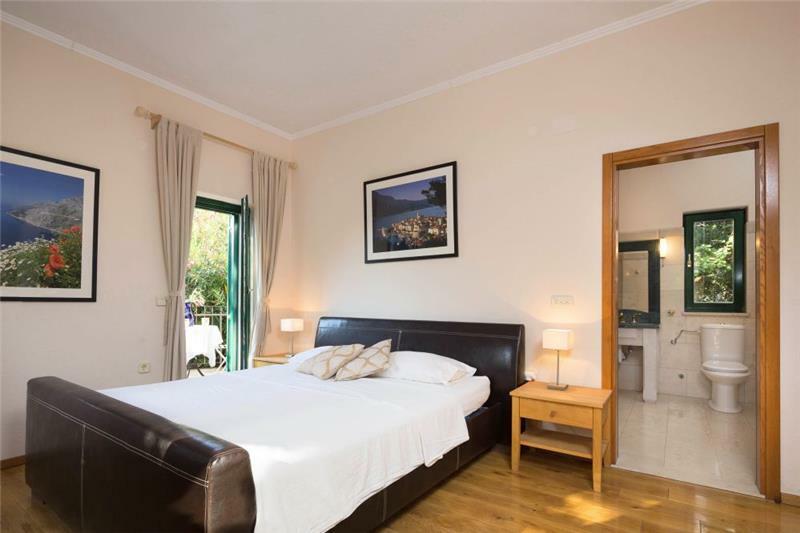 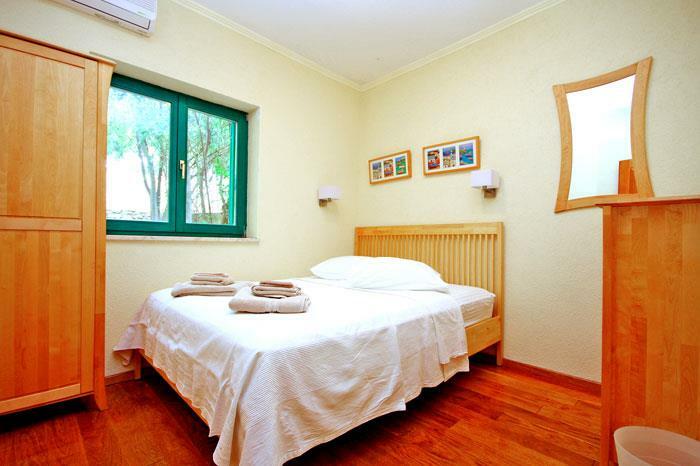 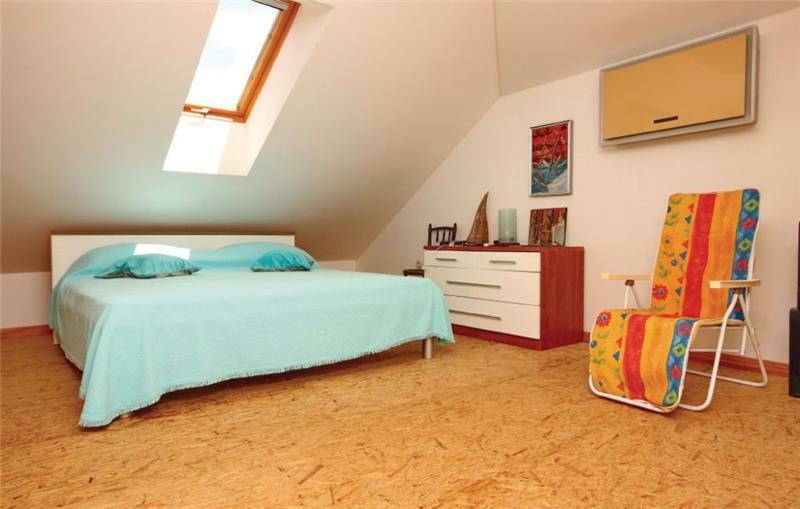 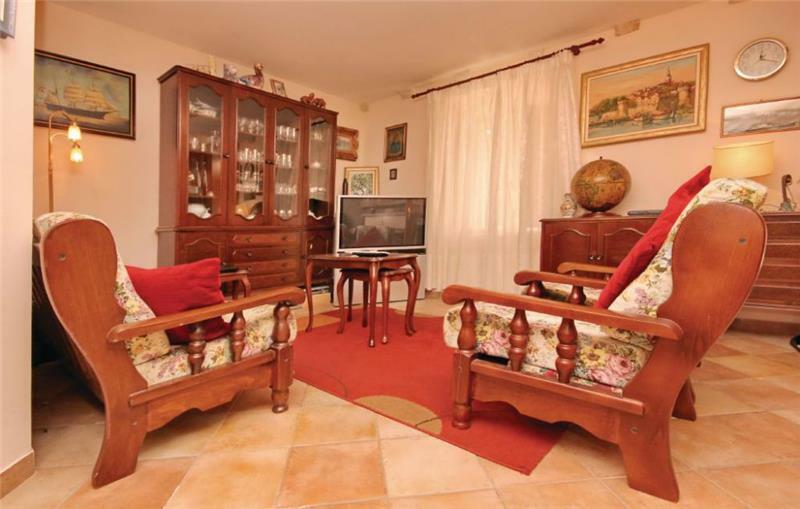 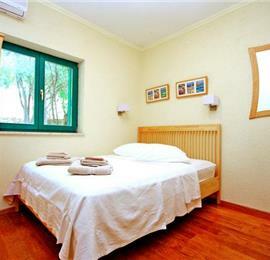 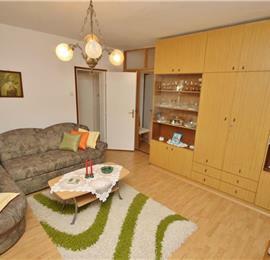 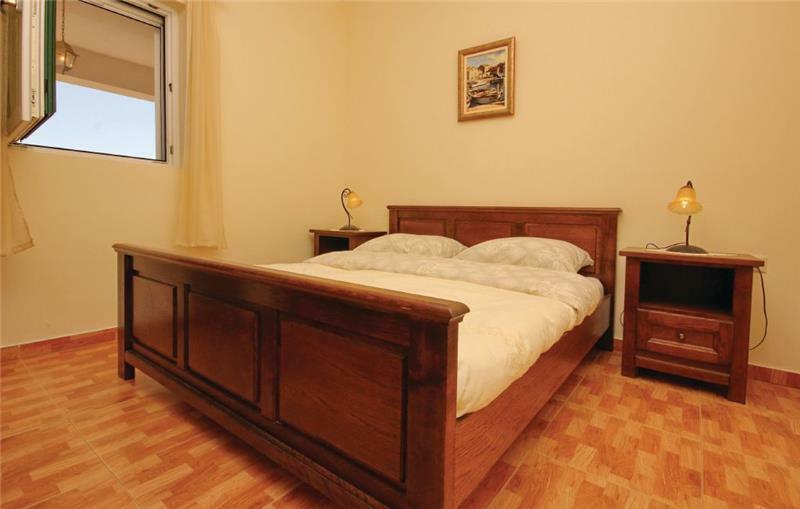 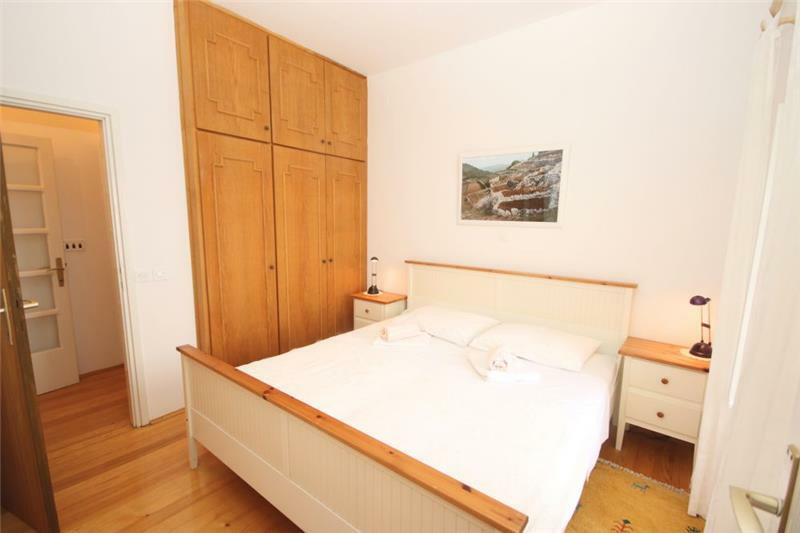 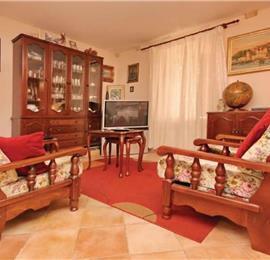 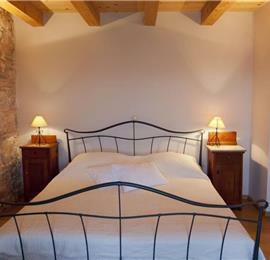 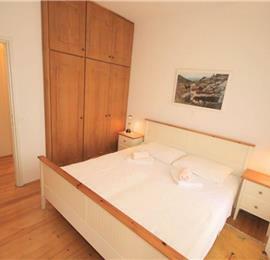 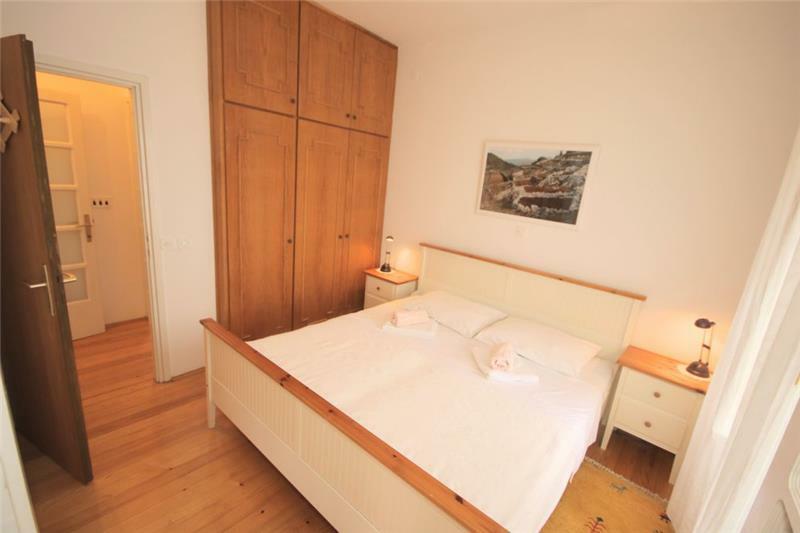 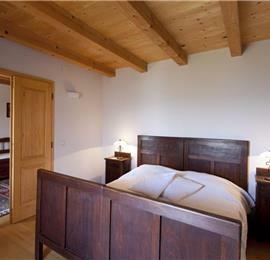 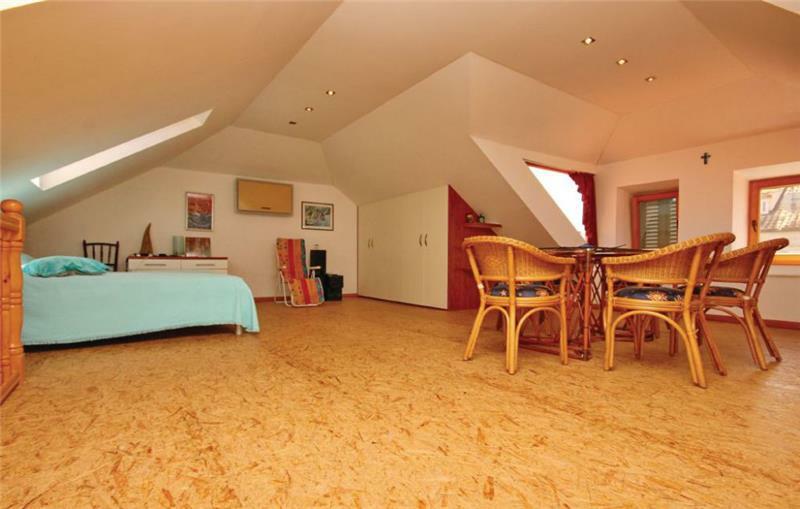 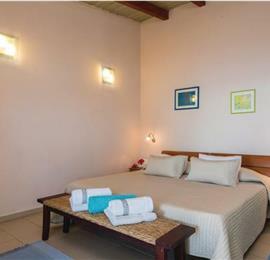 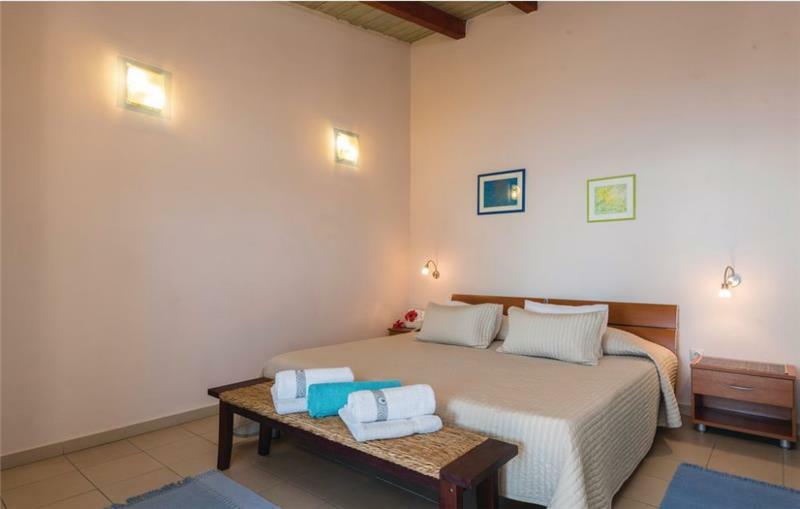 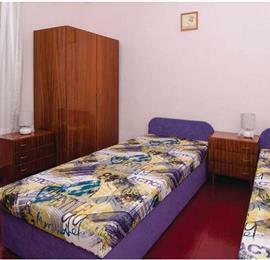 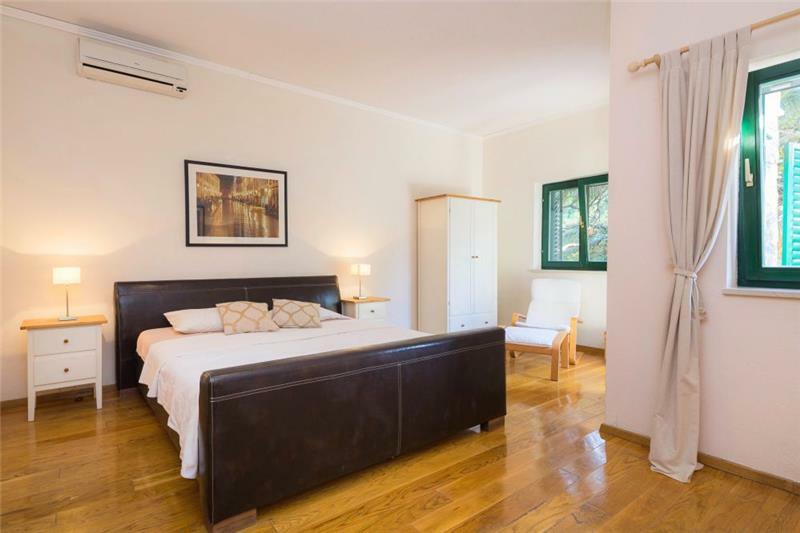 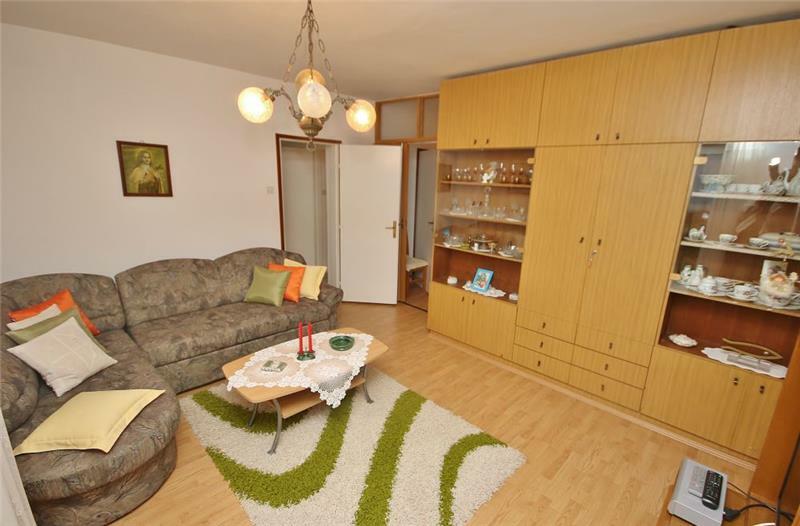 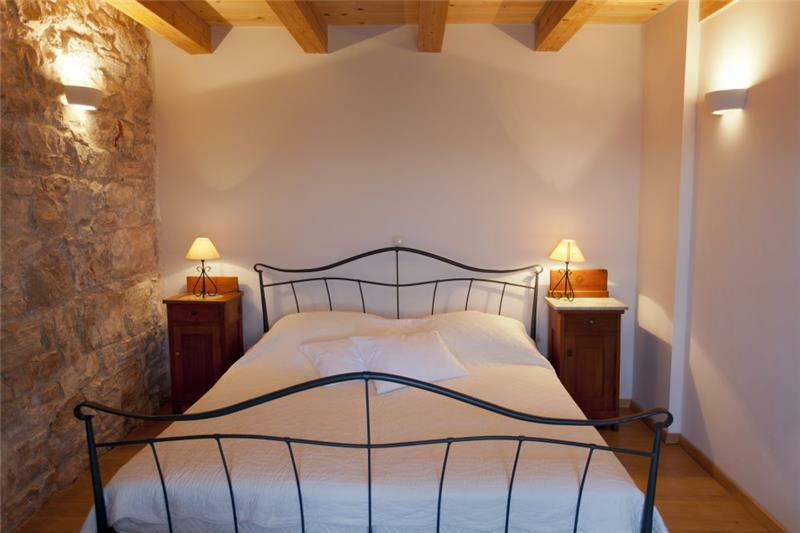 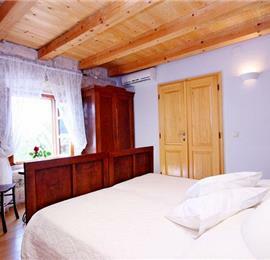 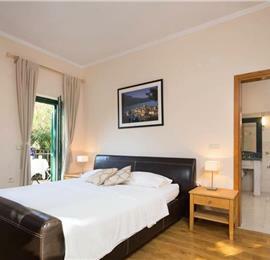 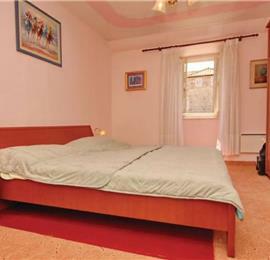 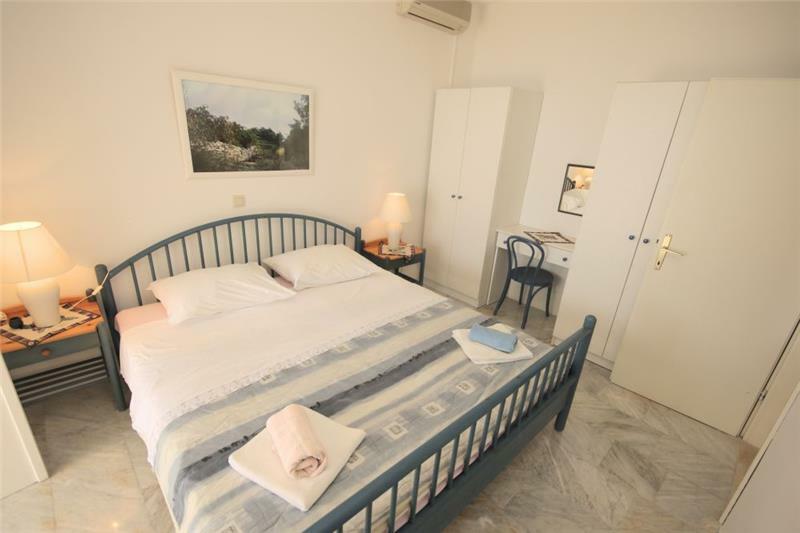 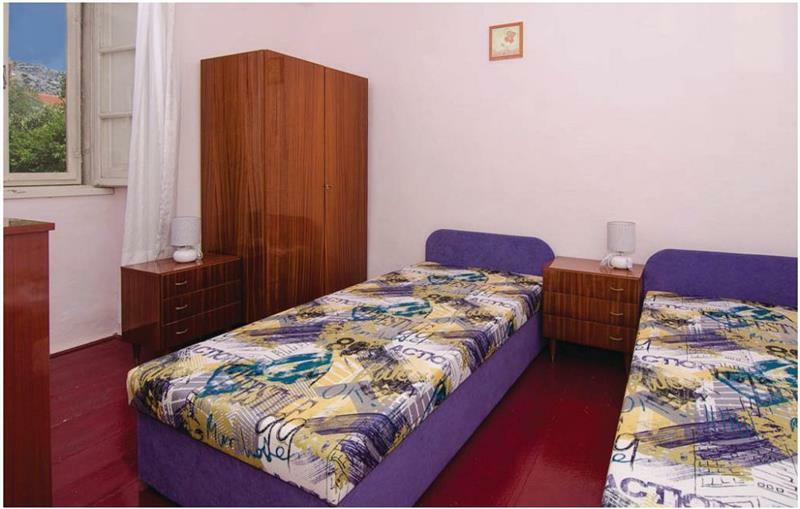 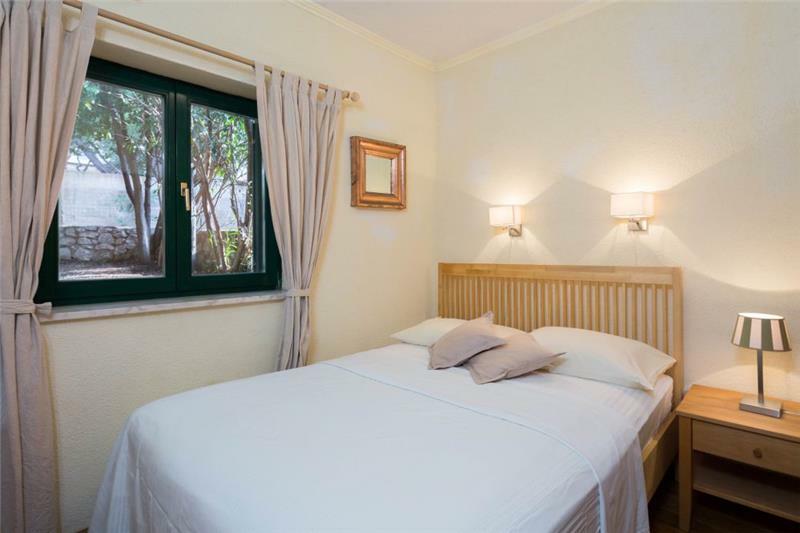 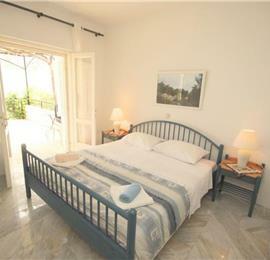 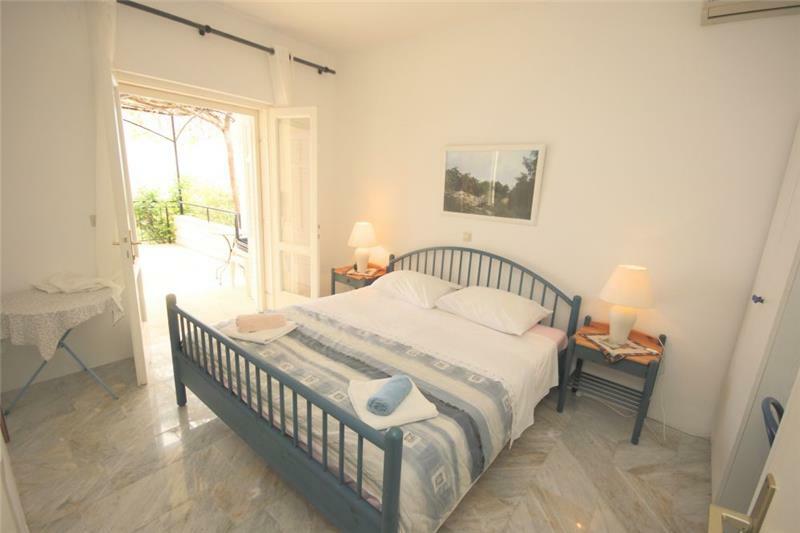 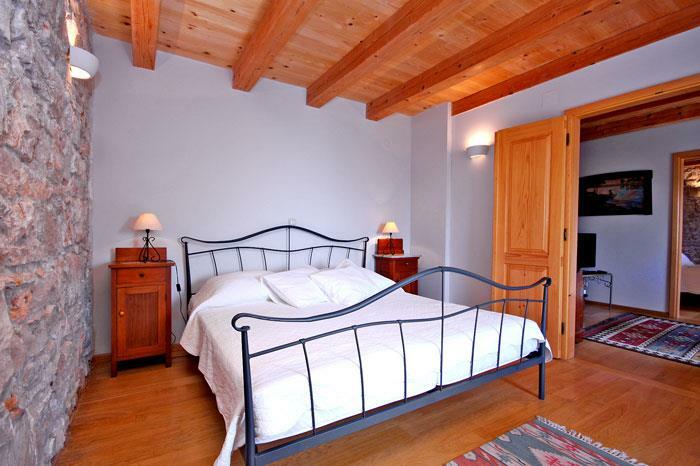 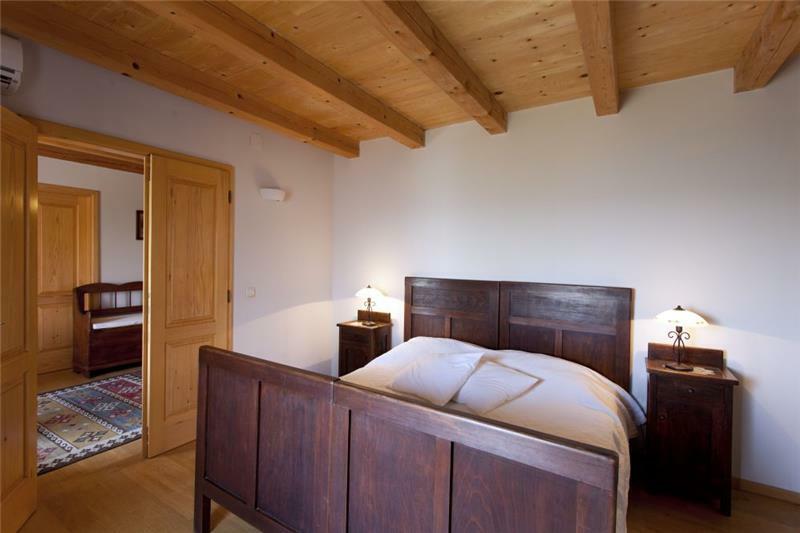 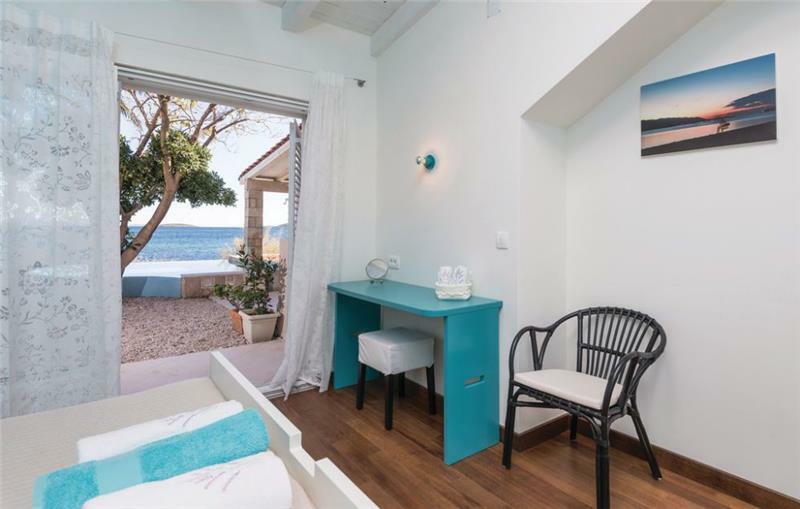 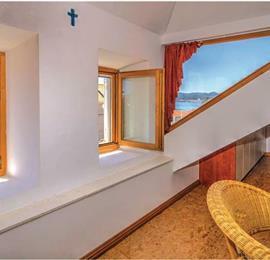 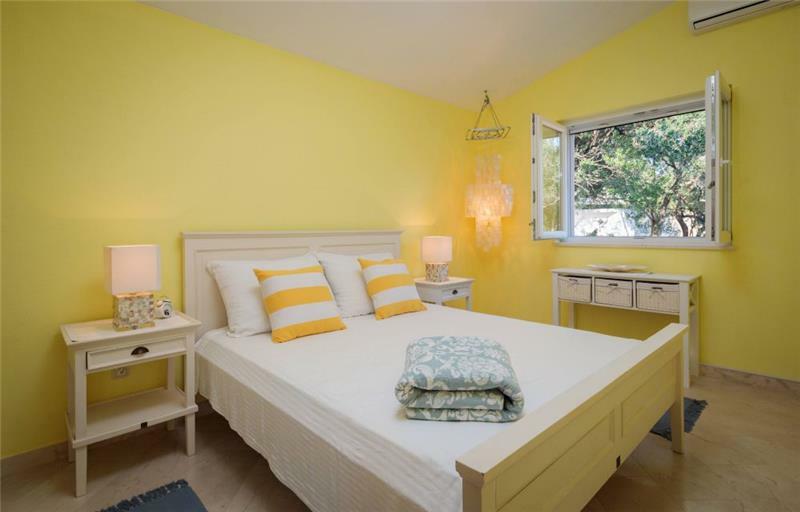 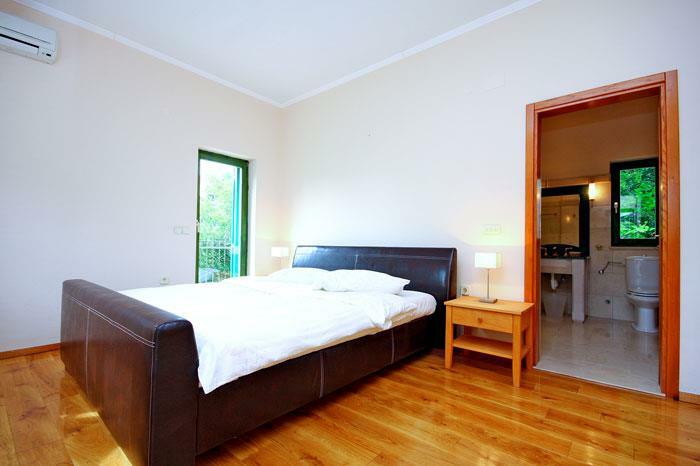 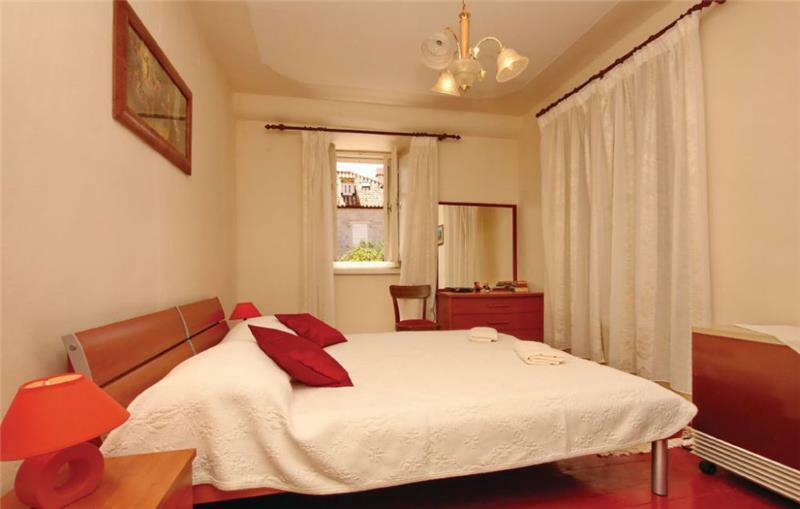 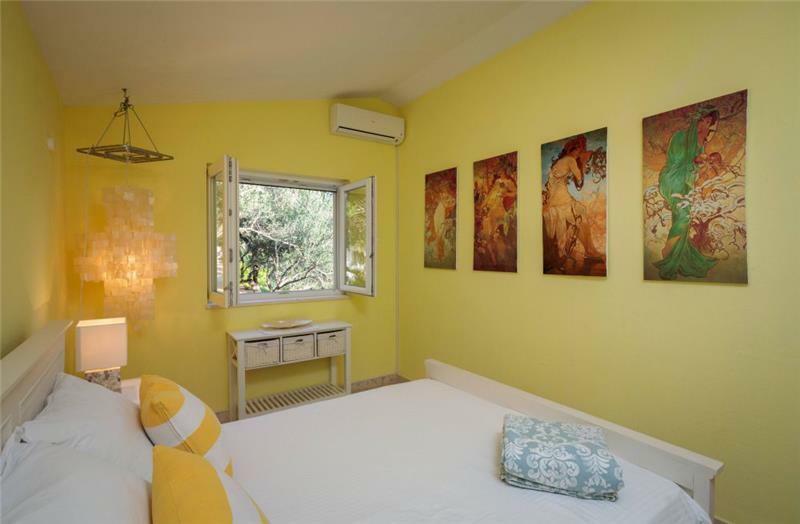 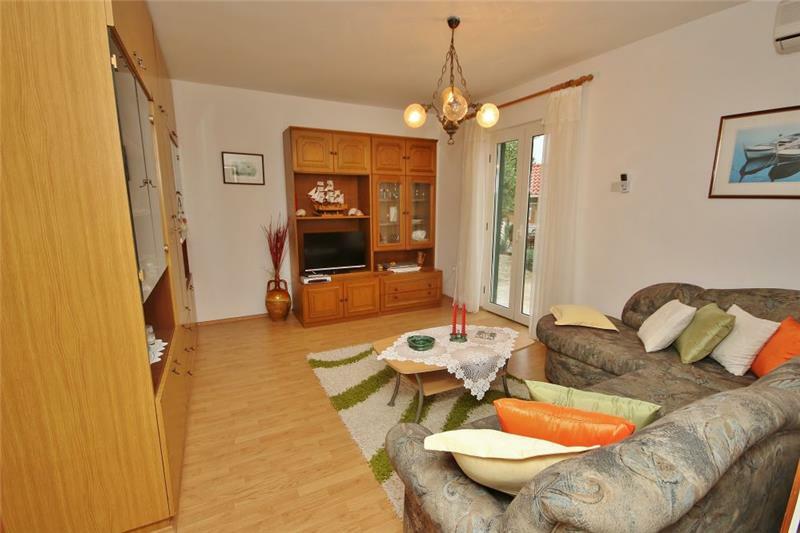 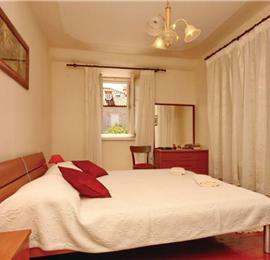 Information on bedrooms: There is a sofa-bed in either the lounge or one of the double bedrooms. 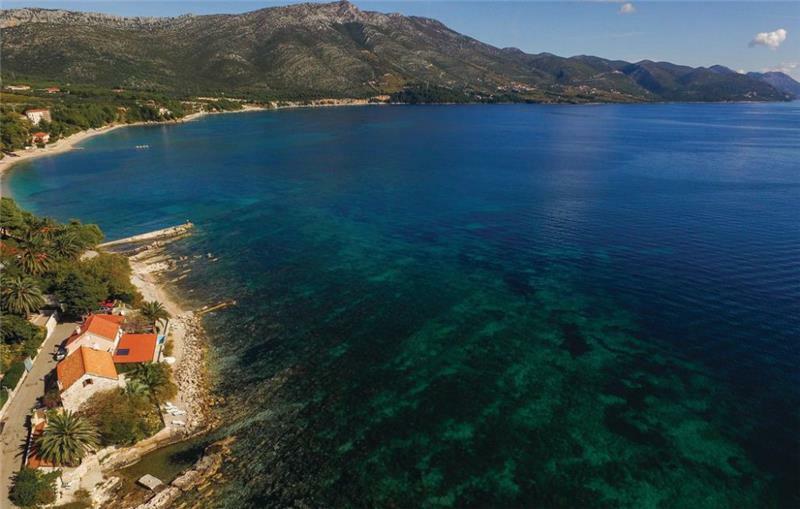 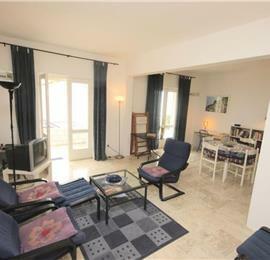 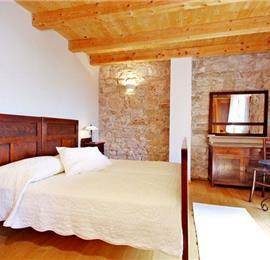 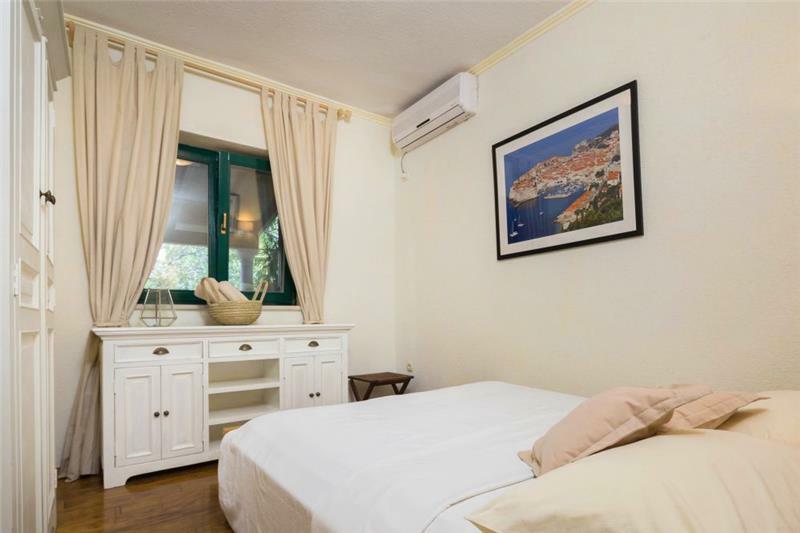 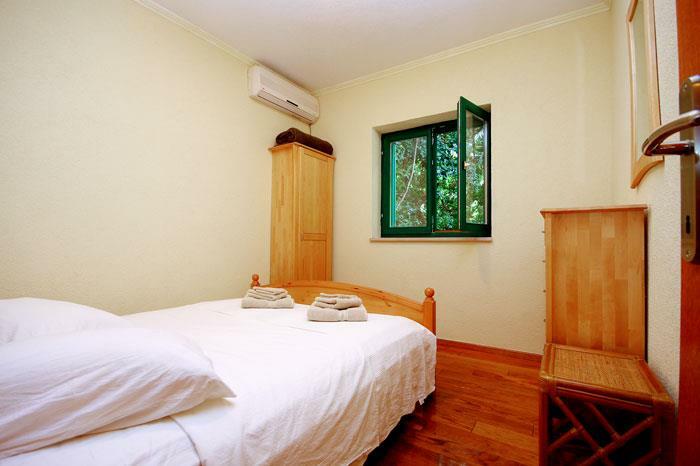 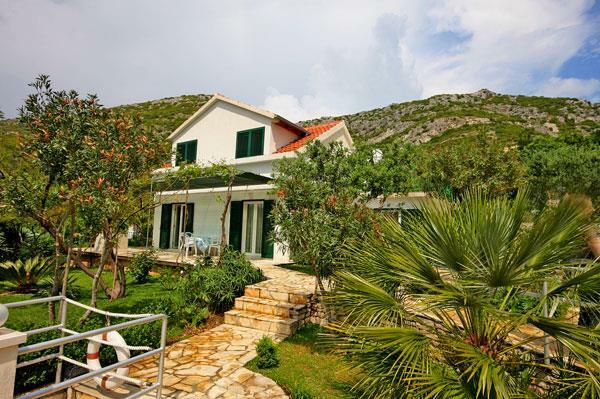 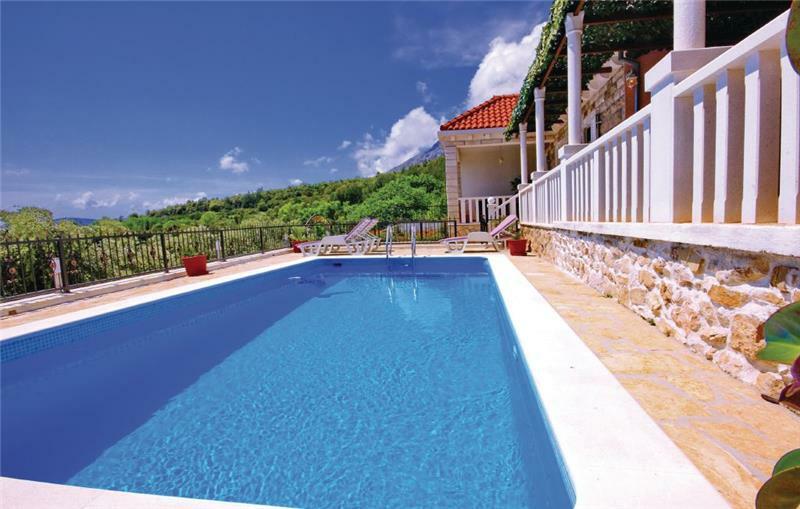 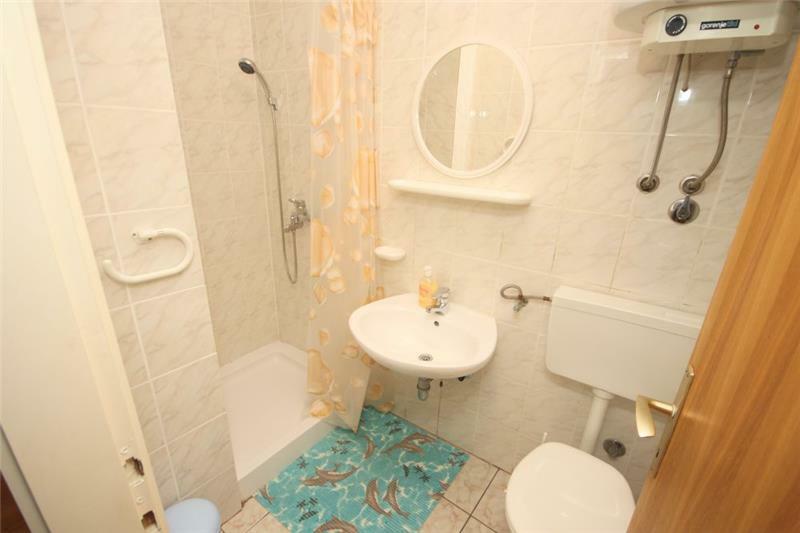 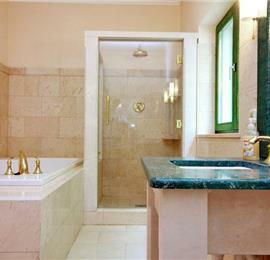 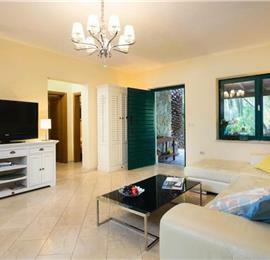 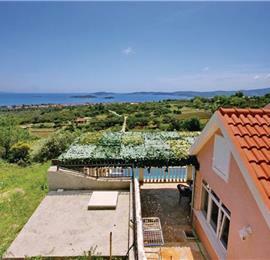 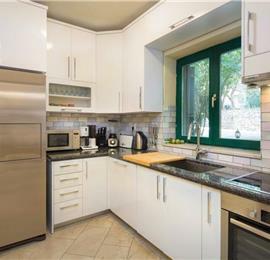 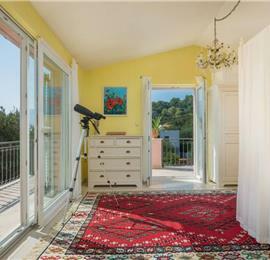 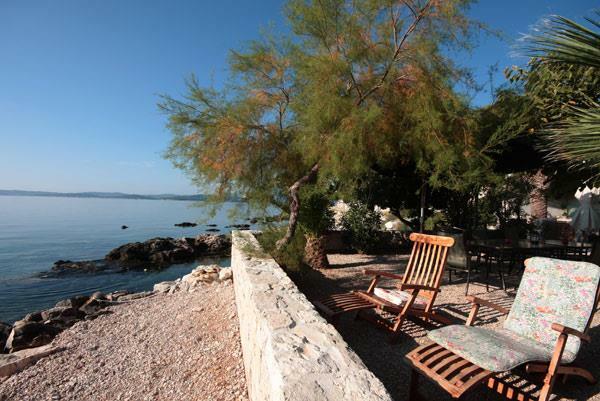 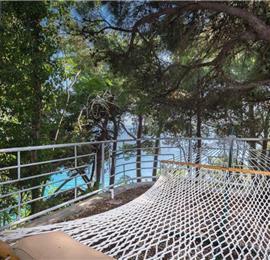 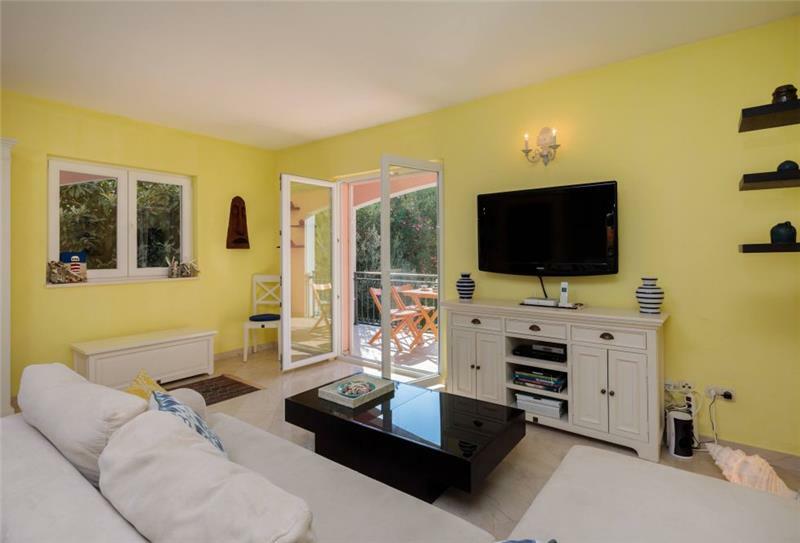 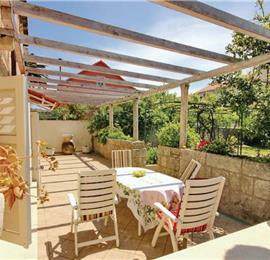 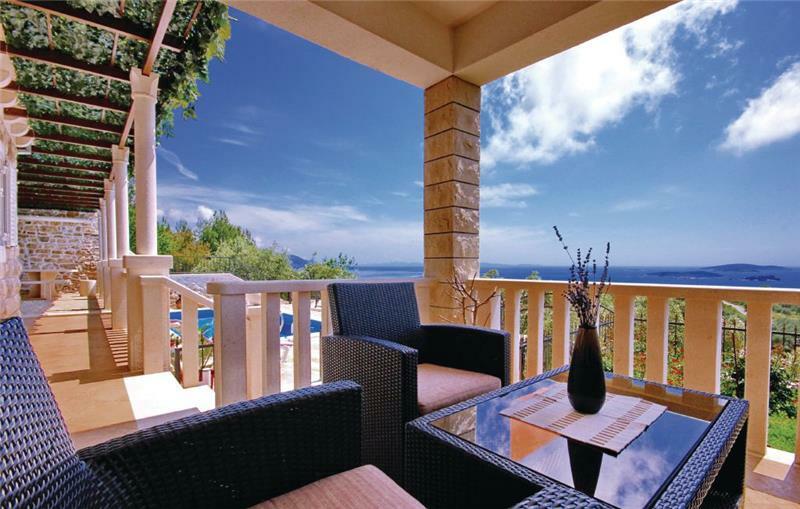 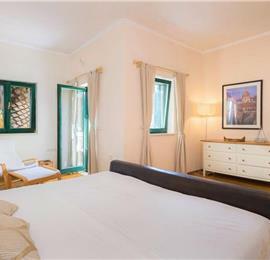 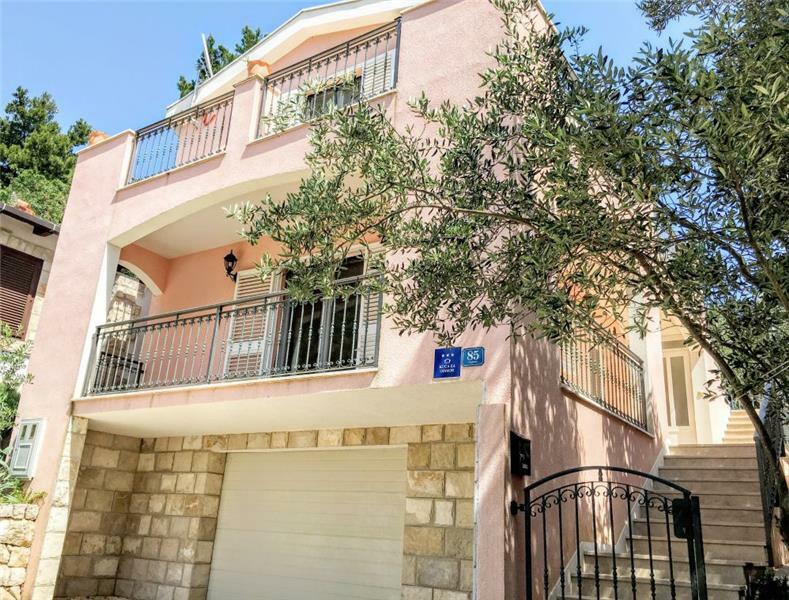 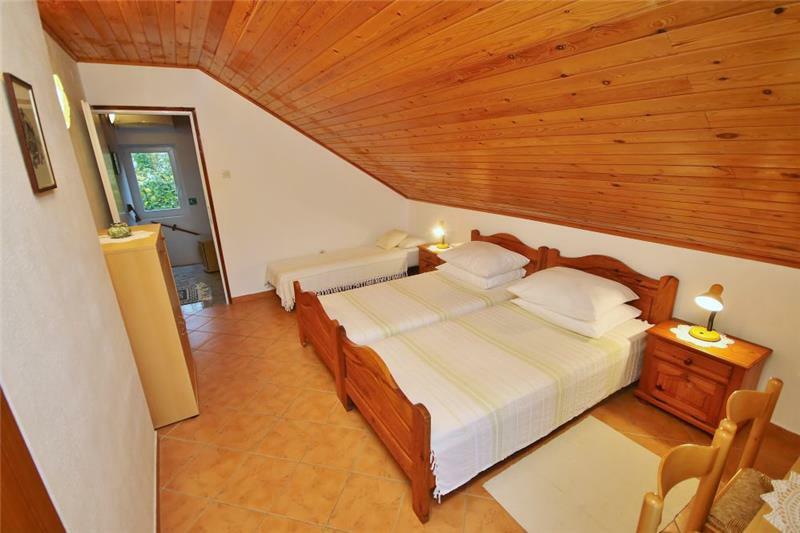 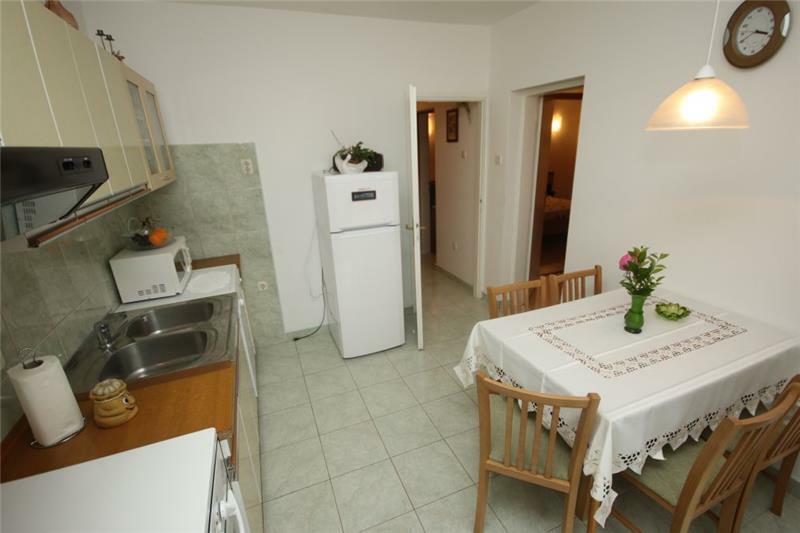 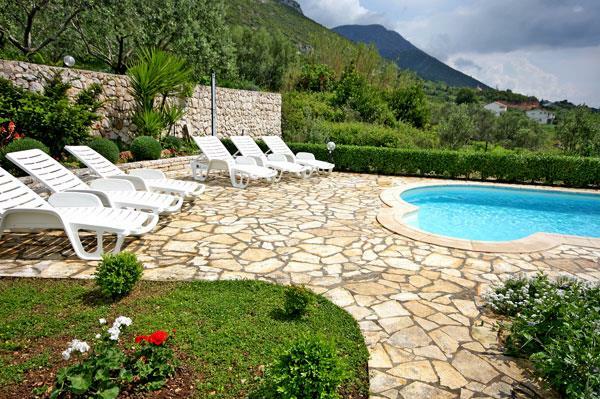 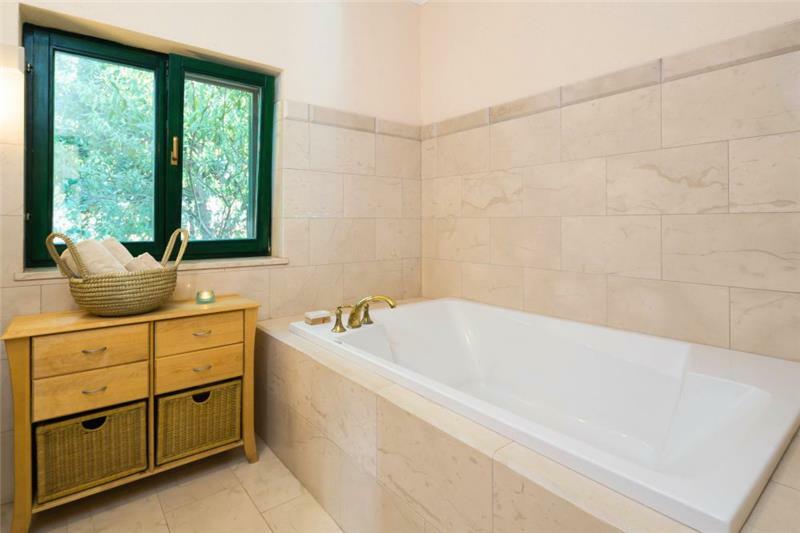 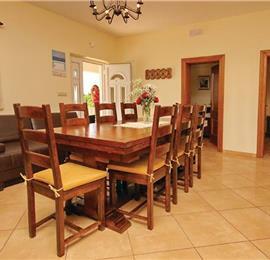 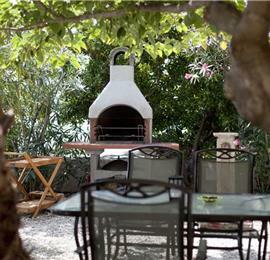 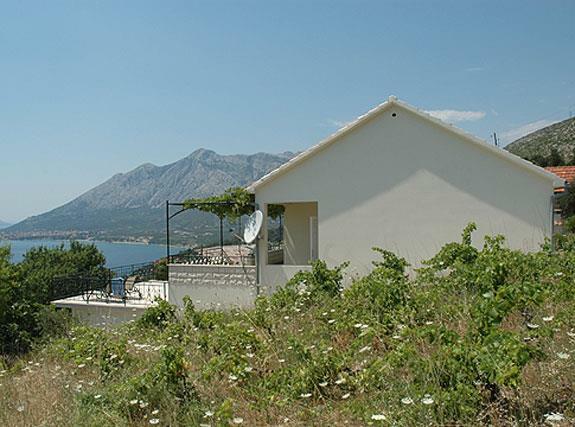 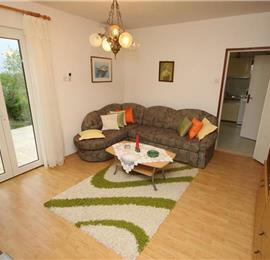 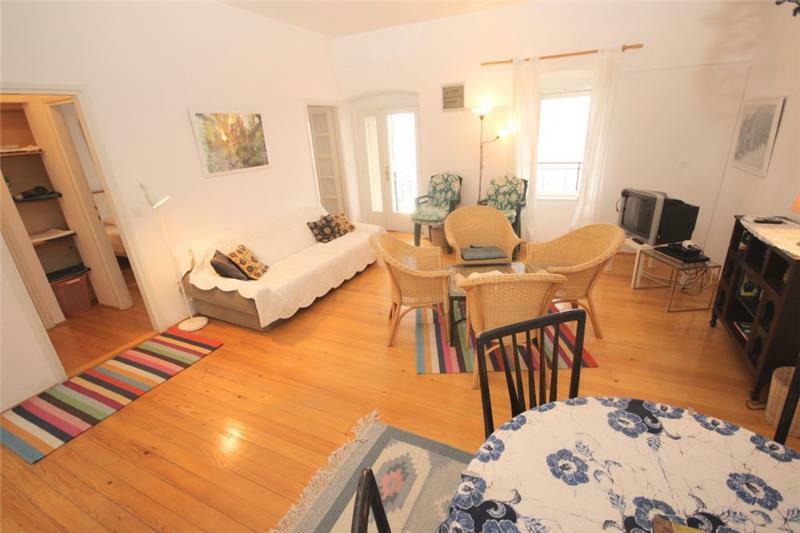 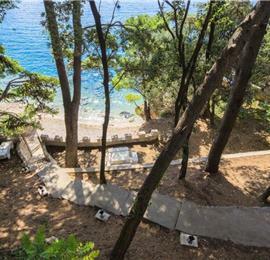 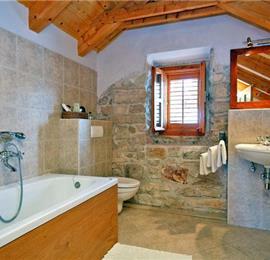 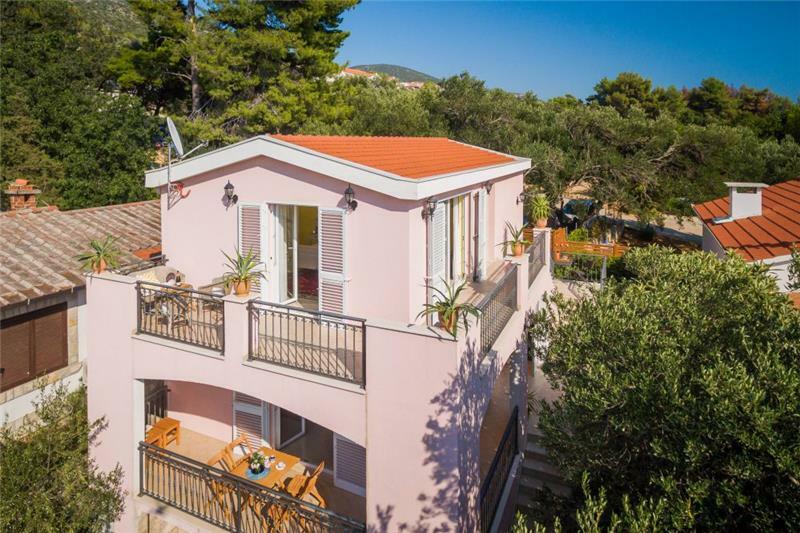 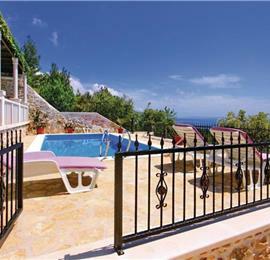 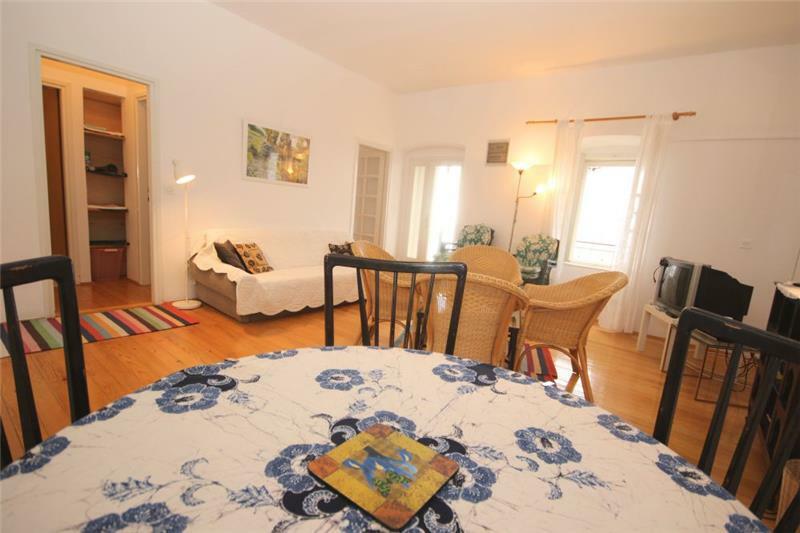 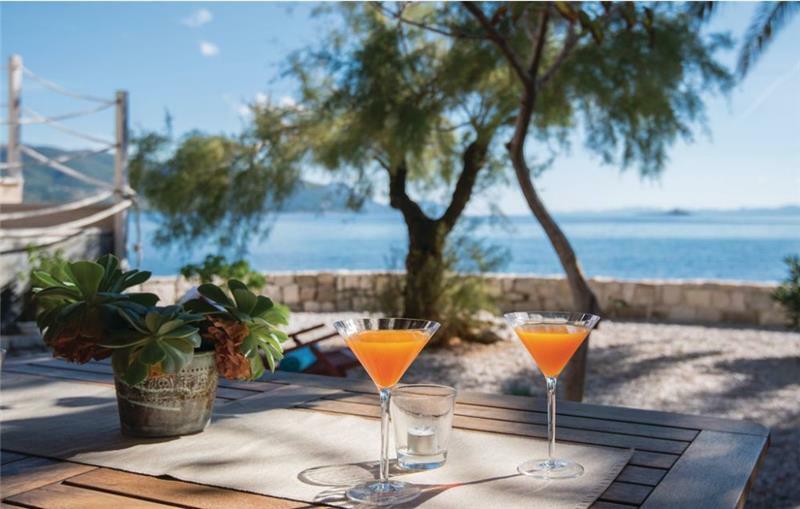 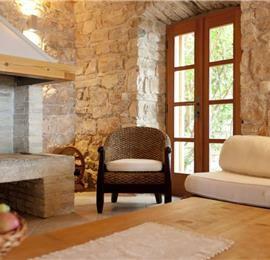 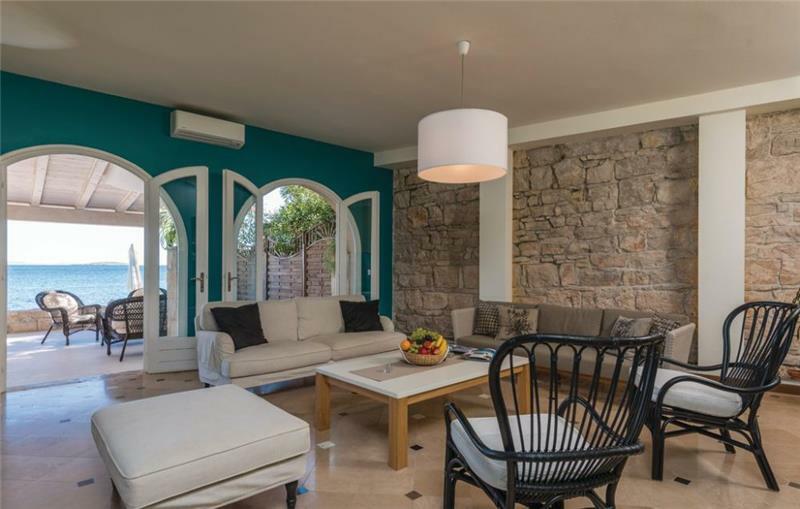 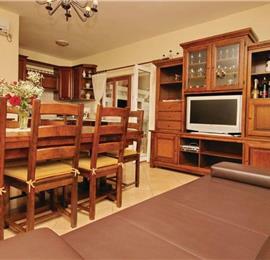 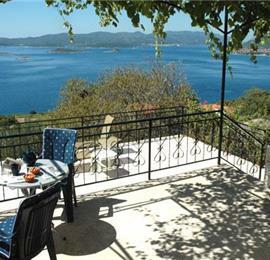 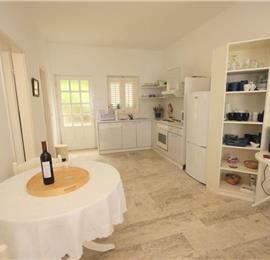 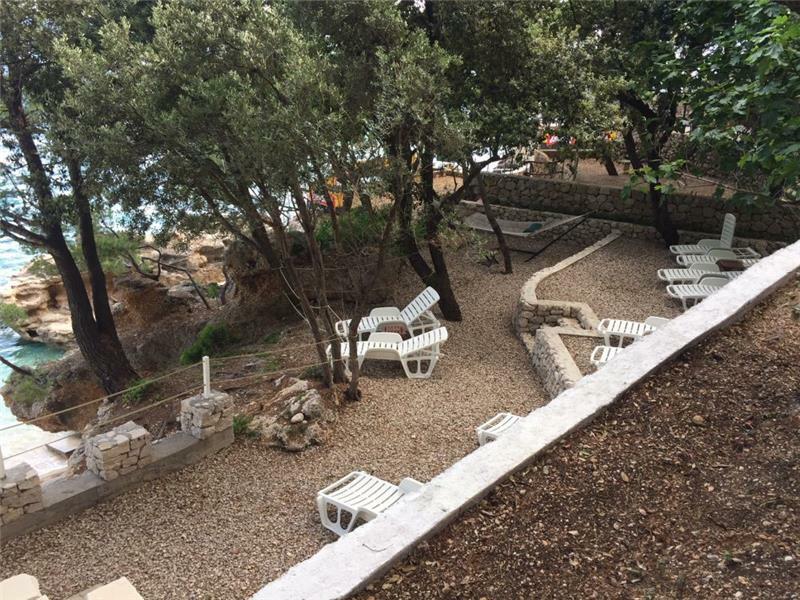 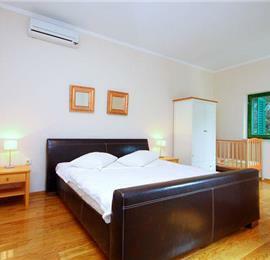 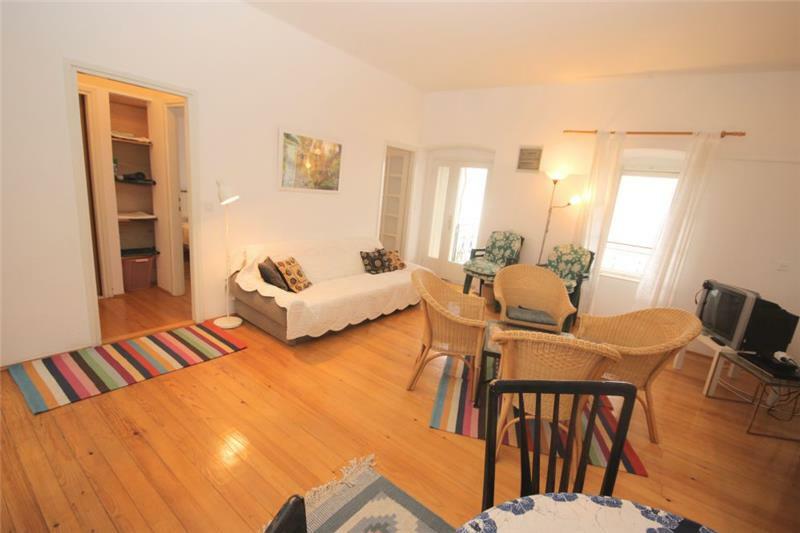 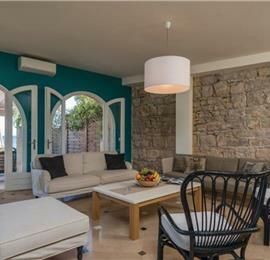 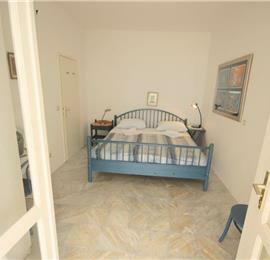 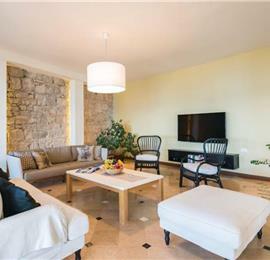 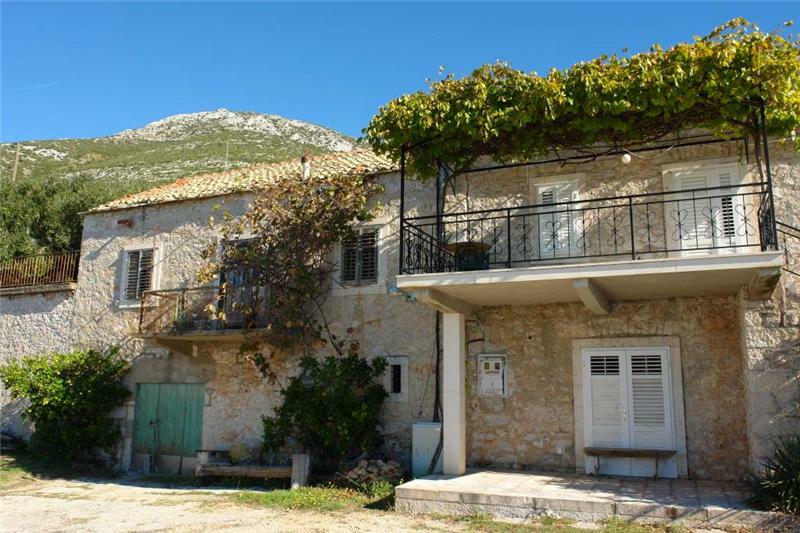 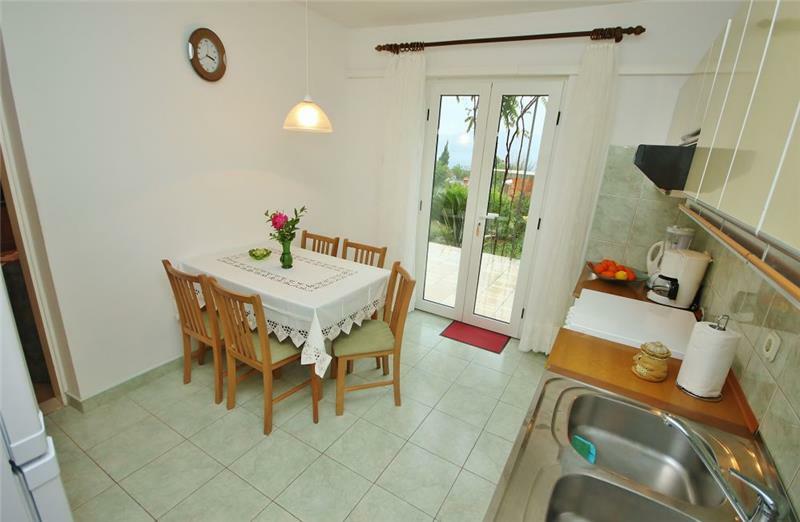 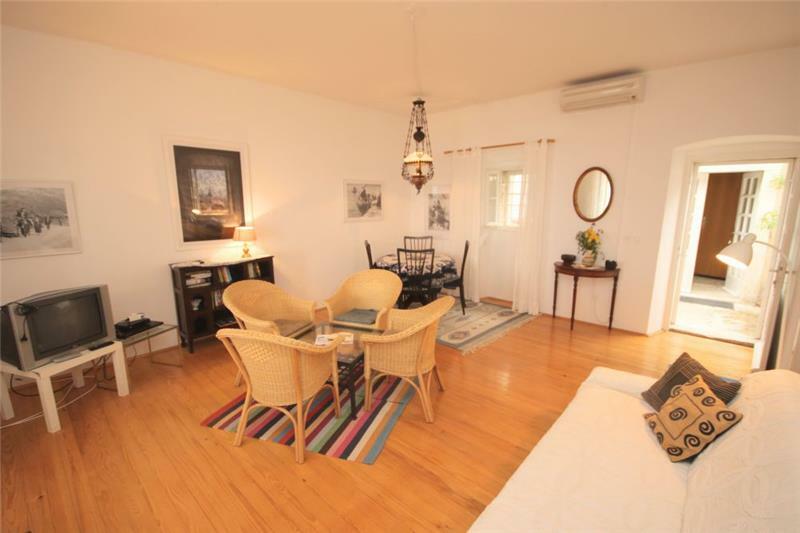 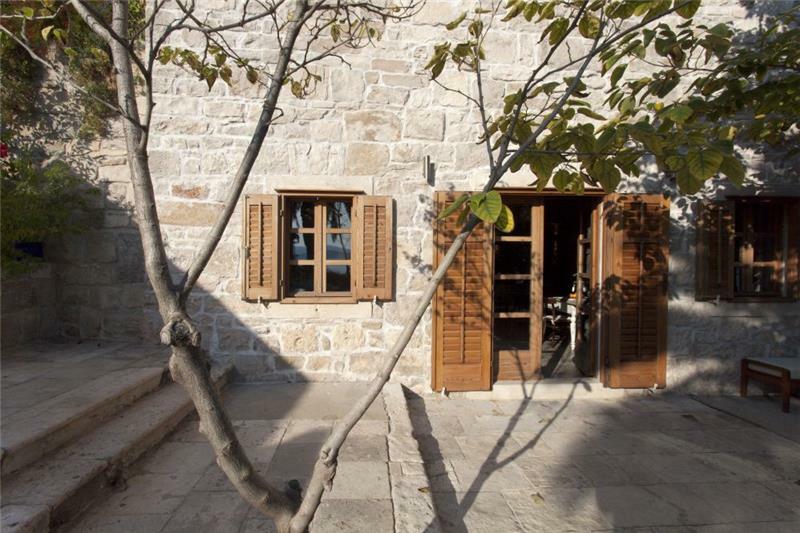 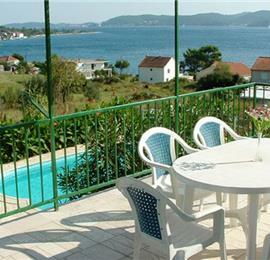 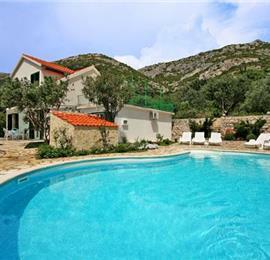 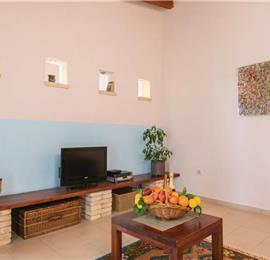 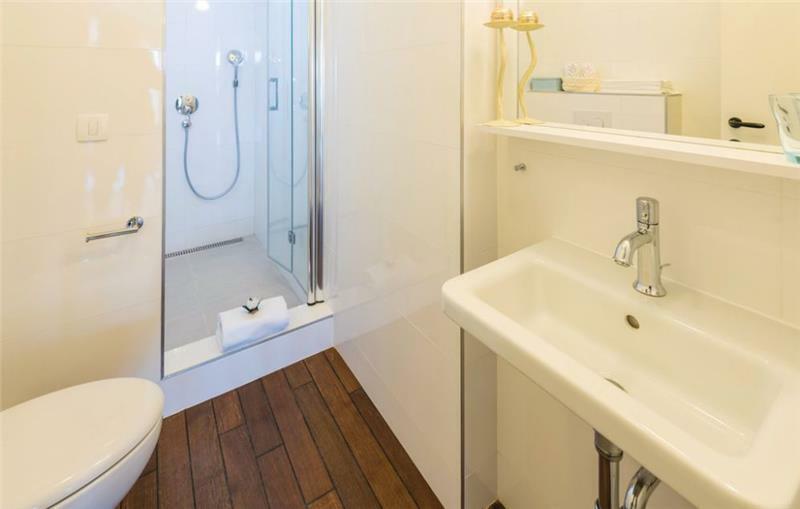 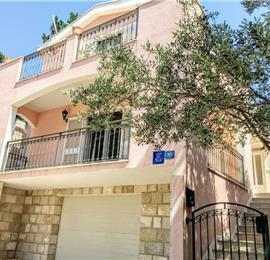 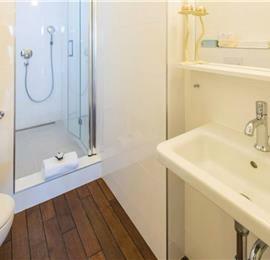 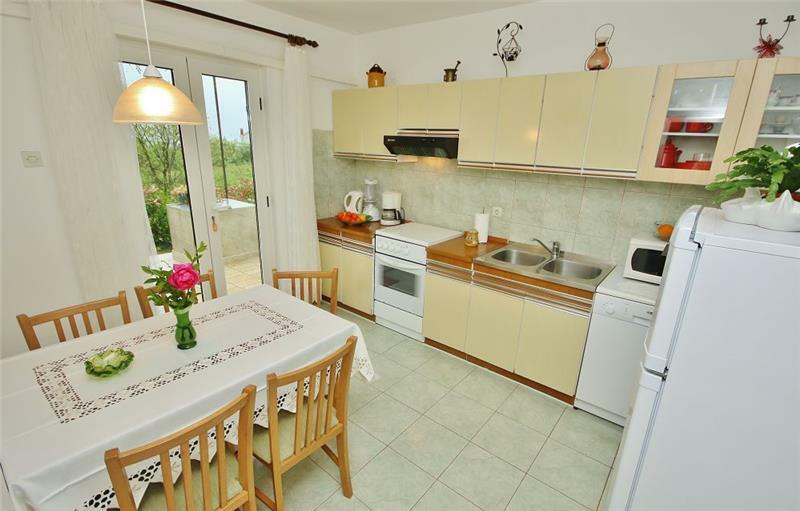 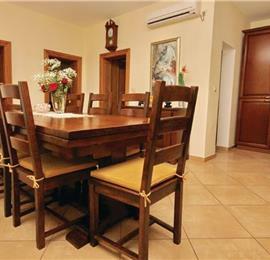 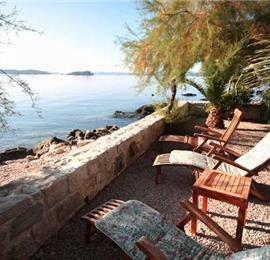 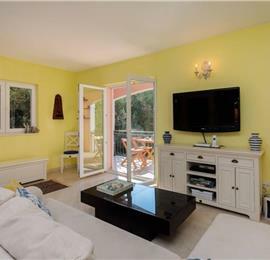 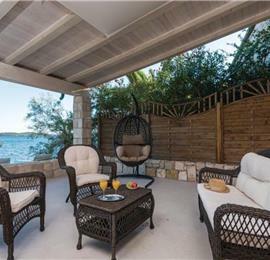 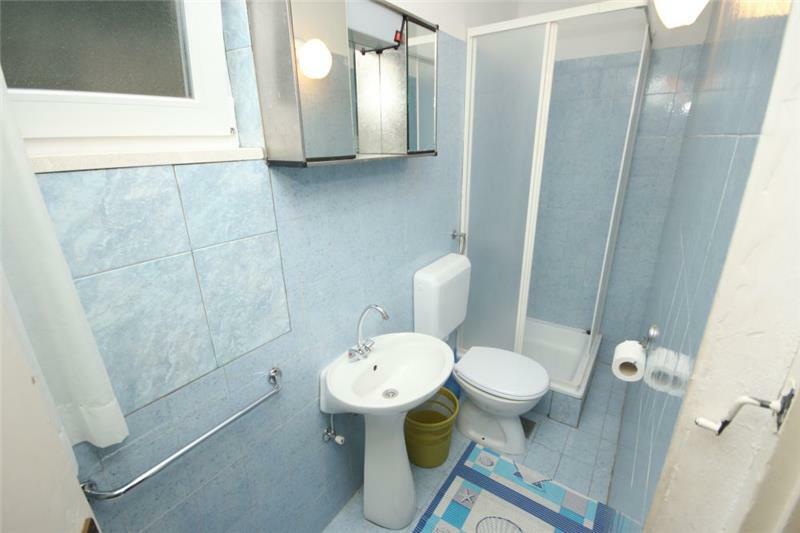 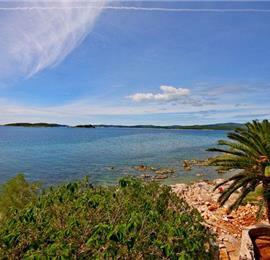 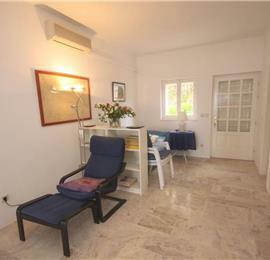 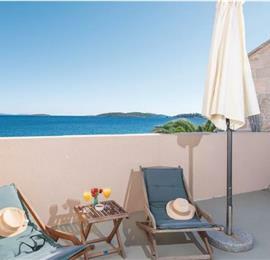 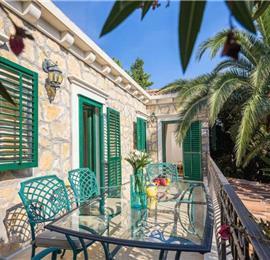 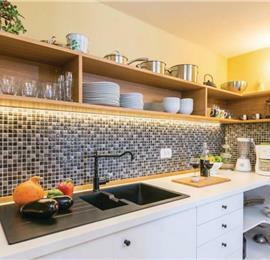 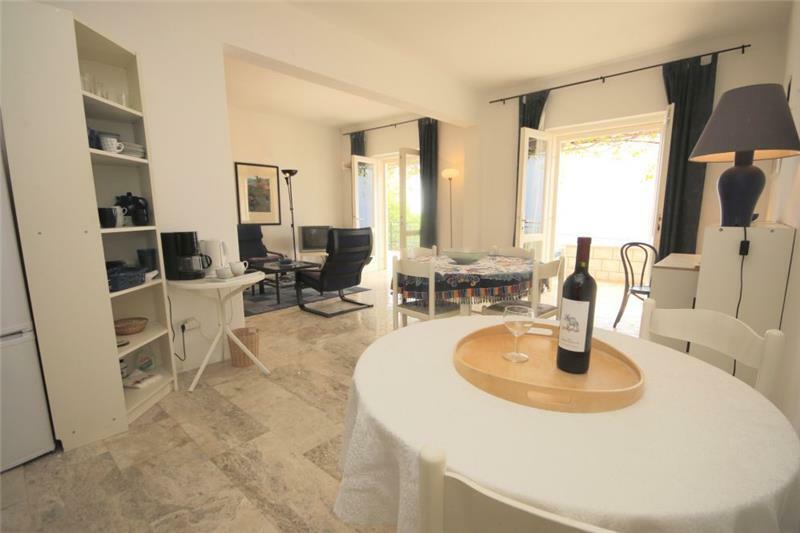 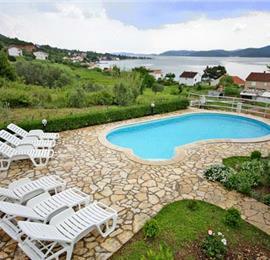 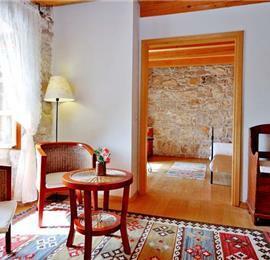 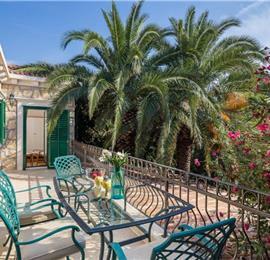 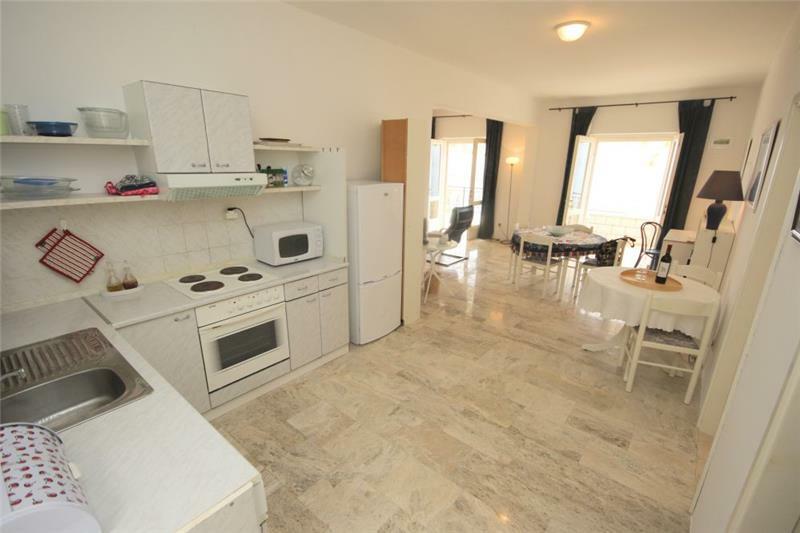 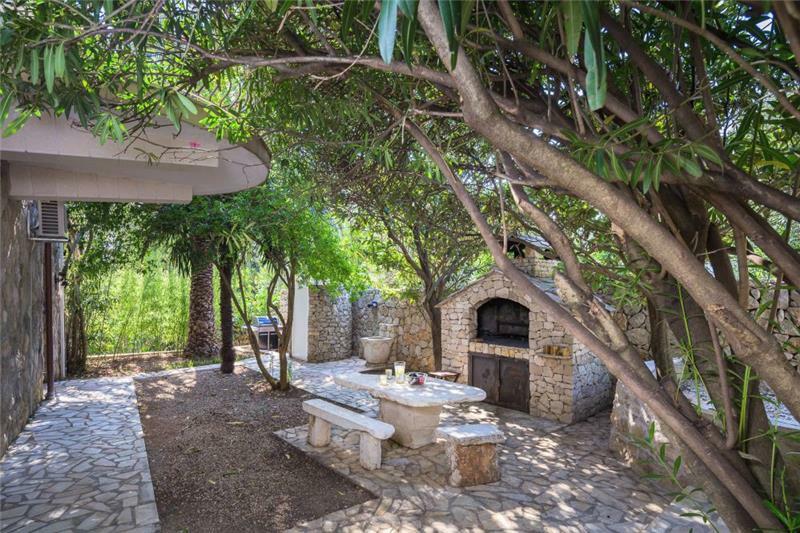 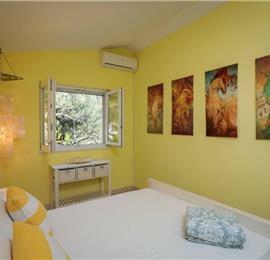 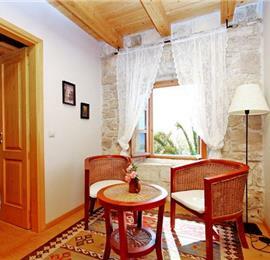 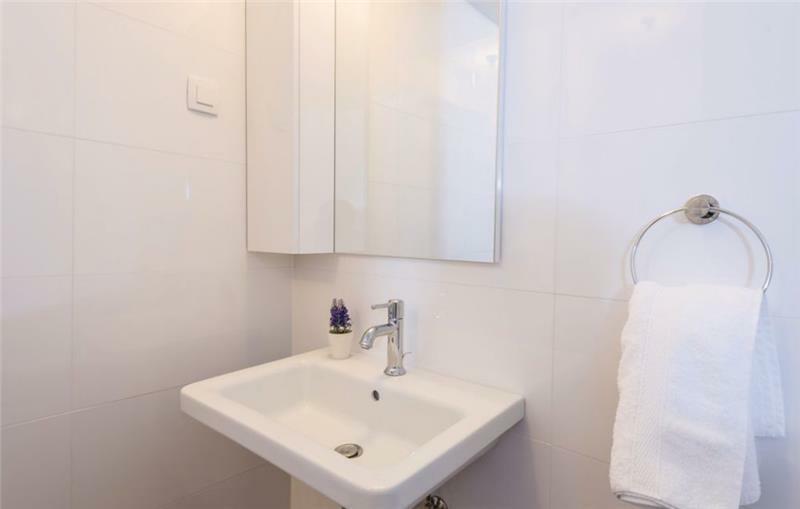 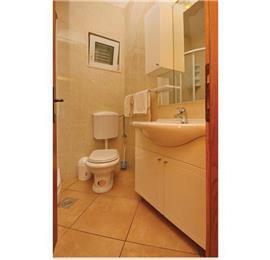 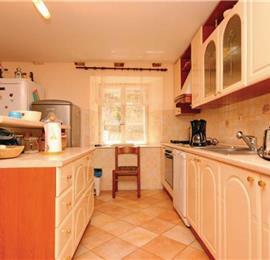 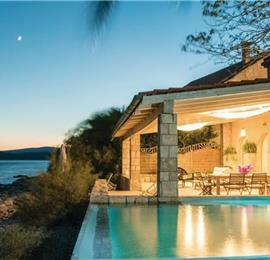 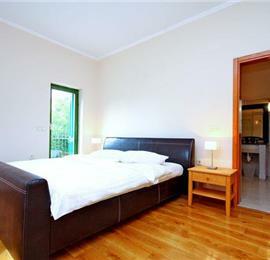 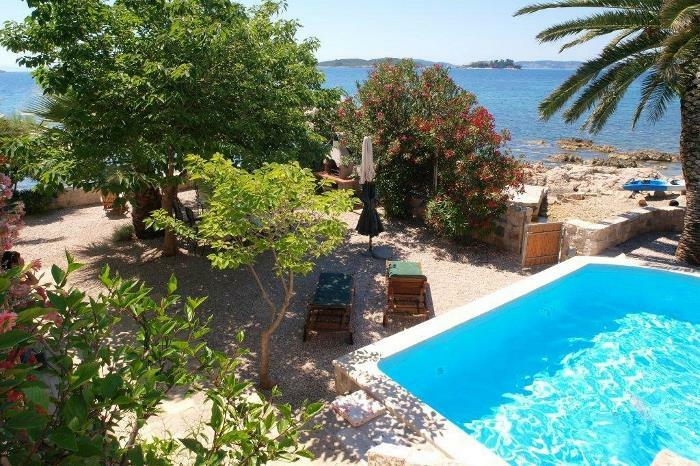 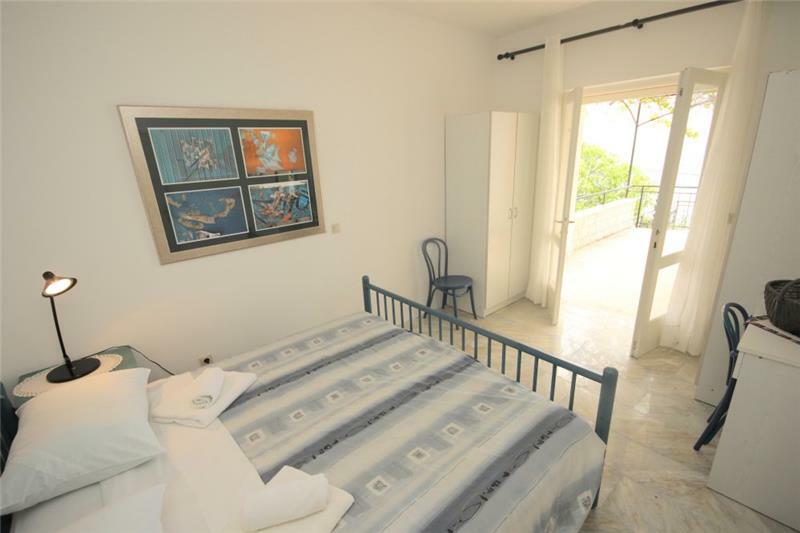 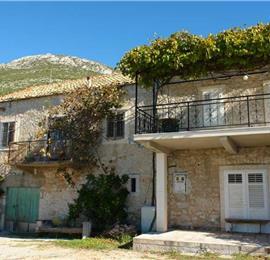 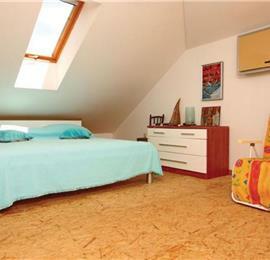 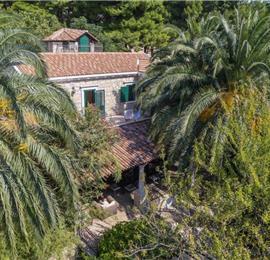 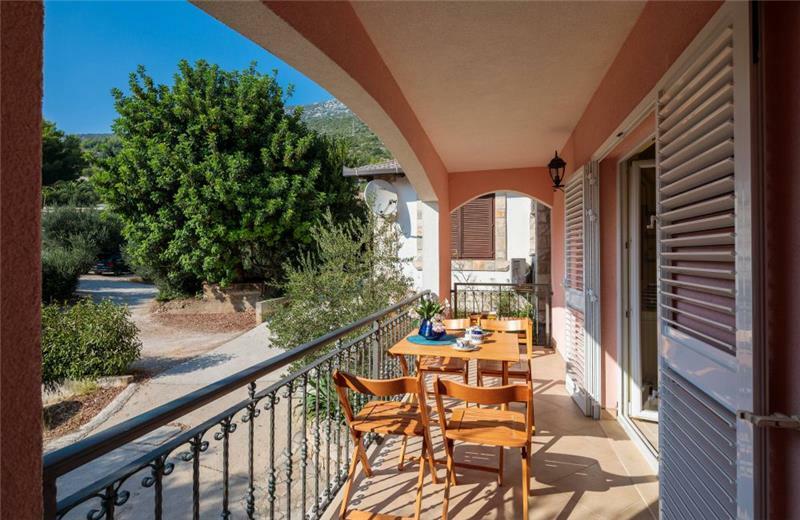 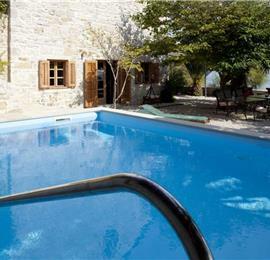 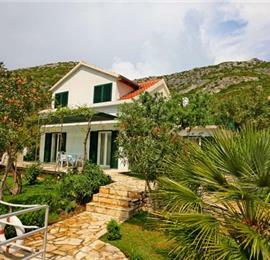 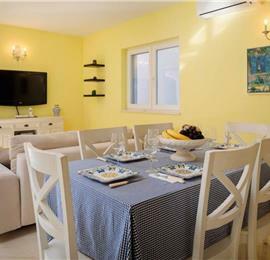 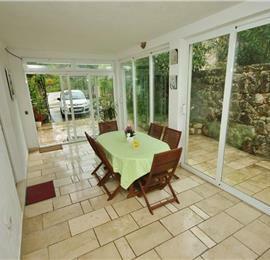 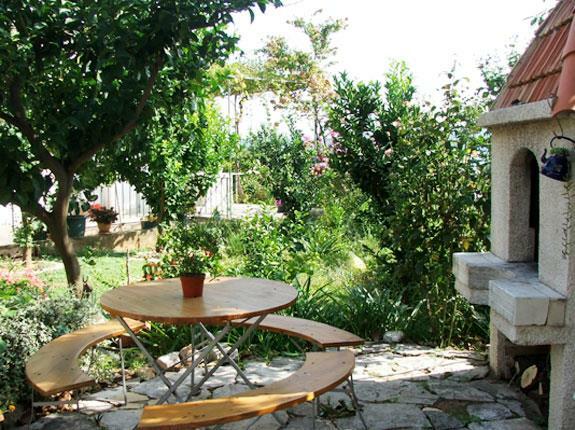 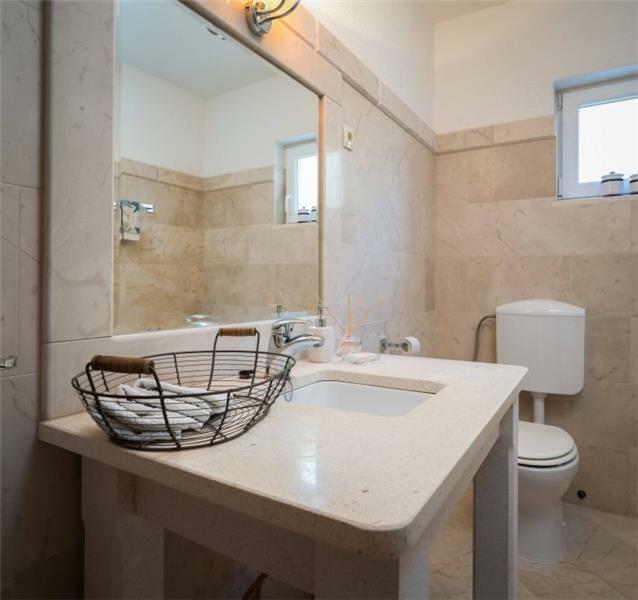 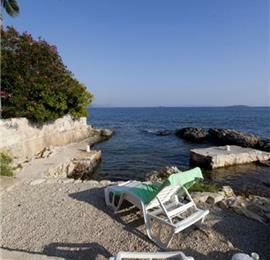 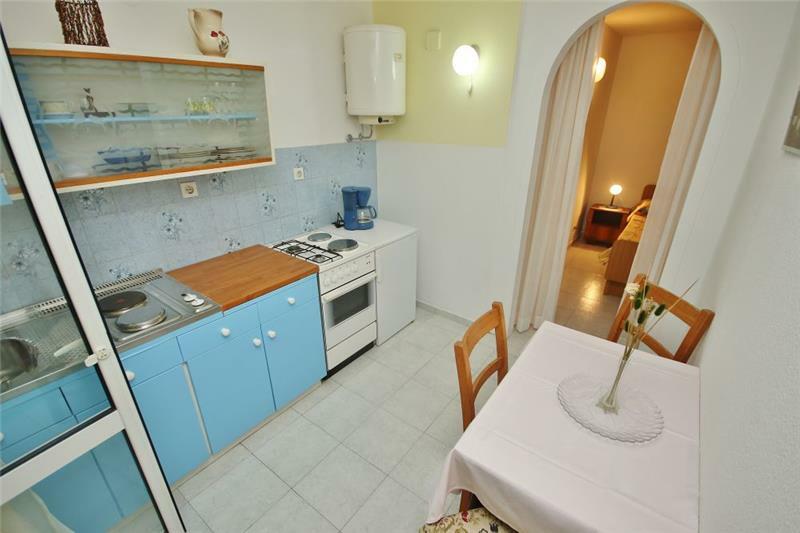 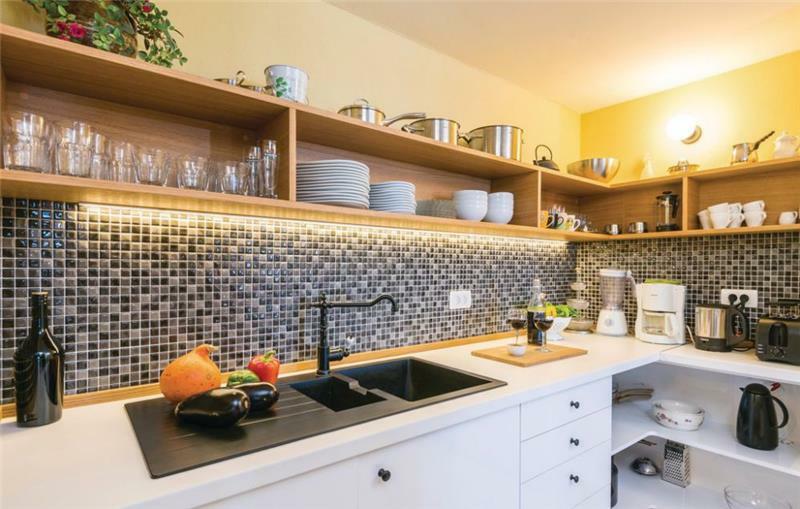 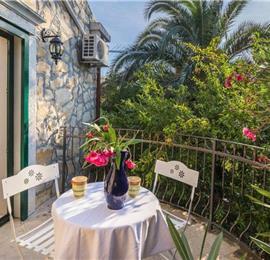 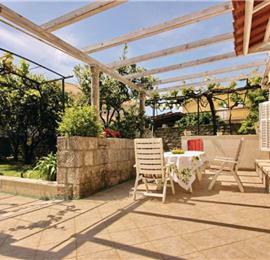 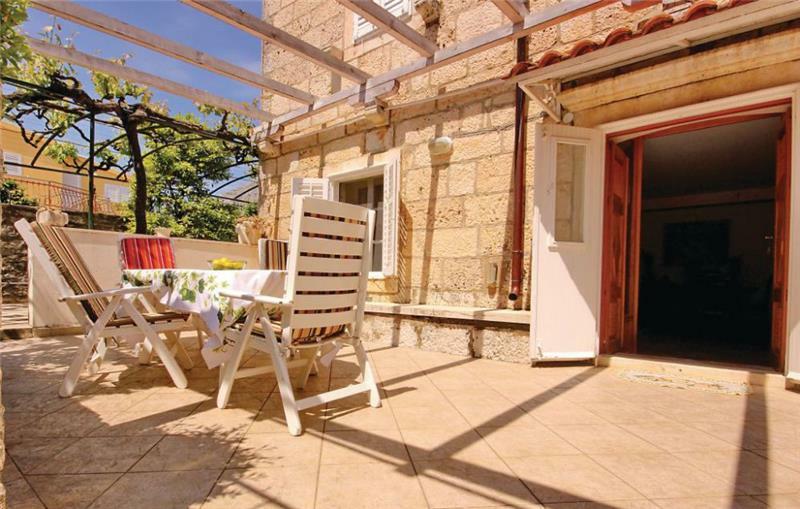 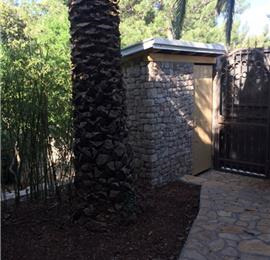 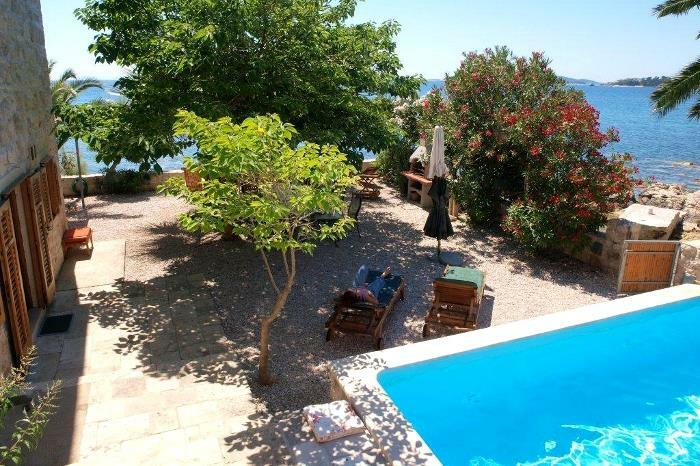 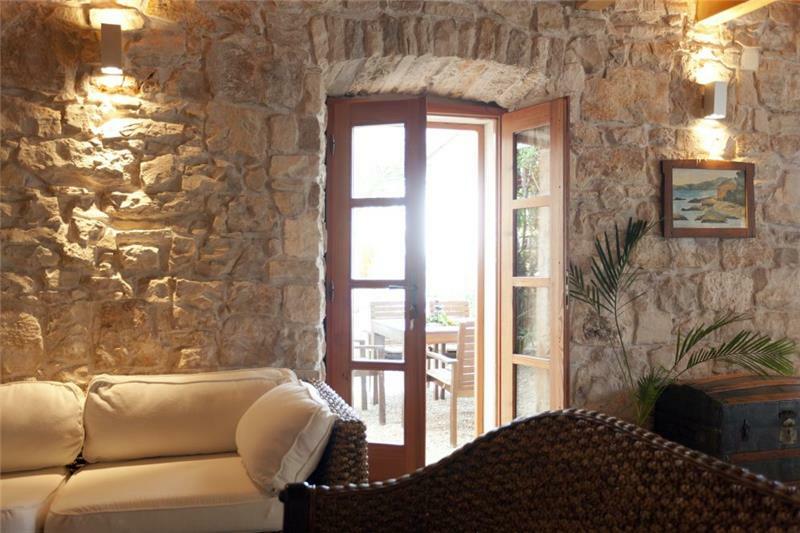 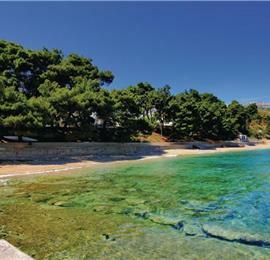 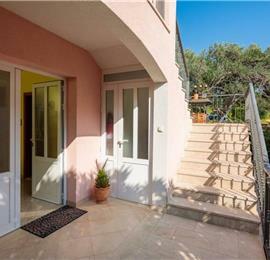 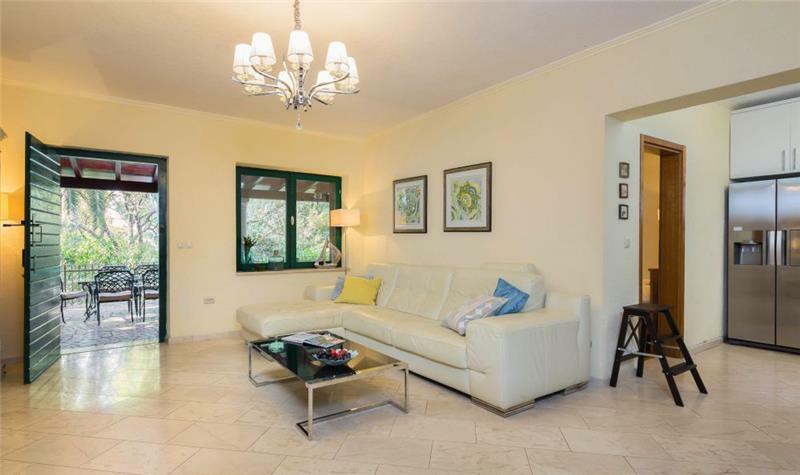 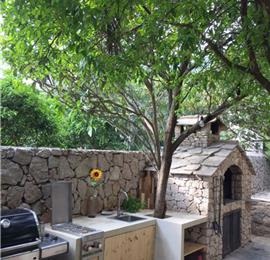 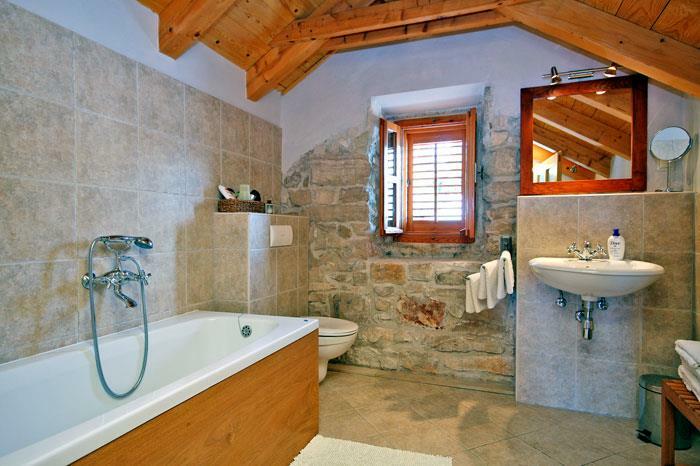 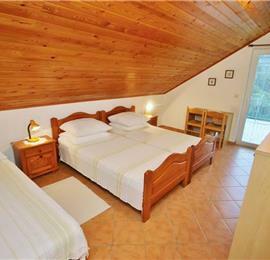 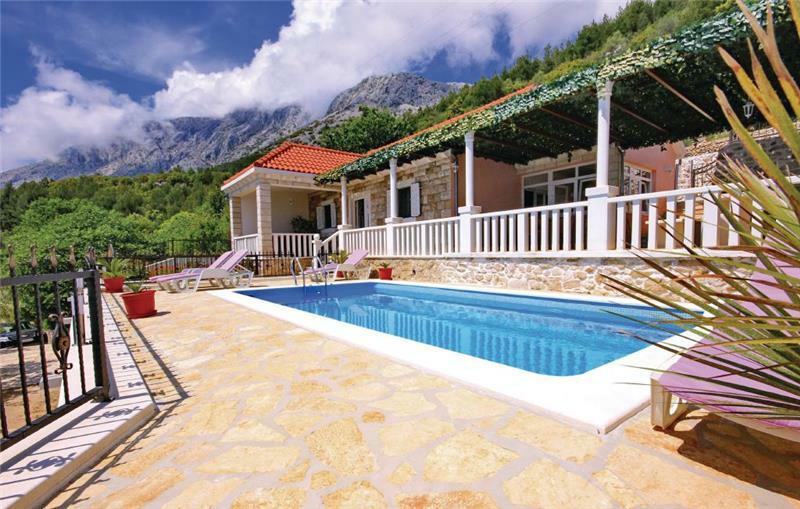 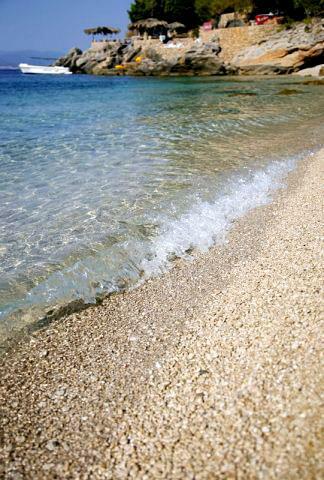 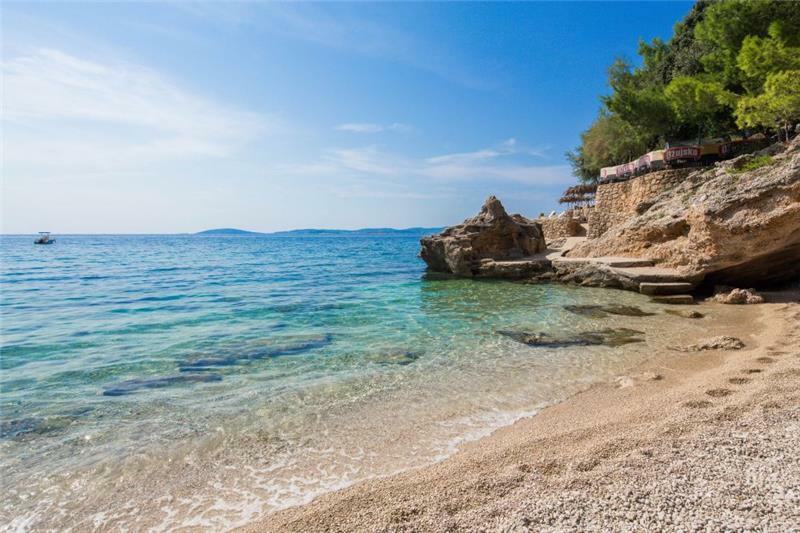 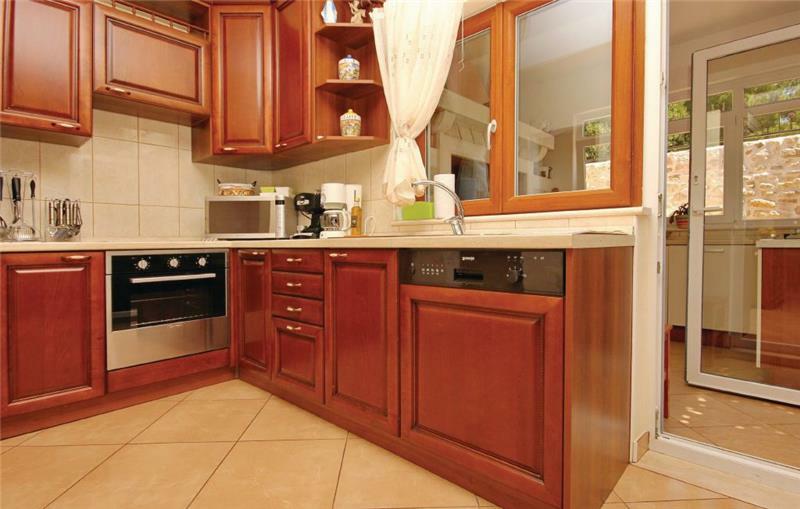 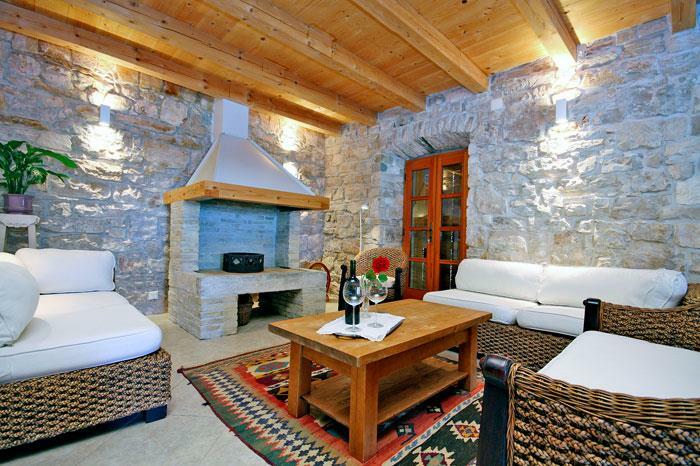 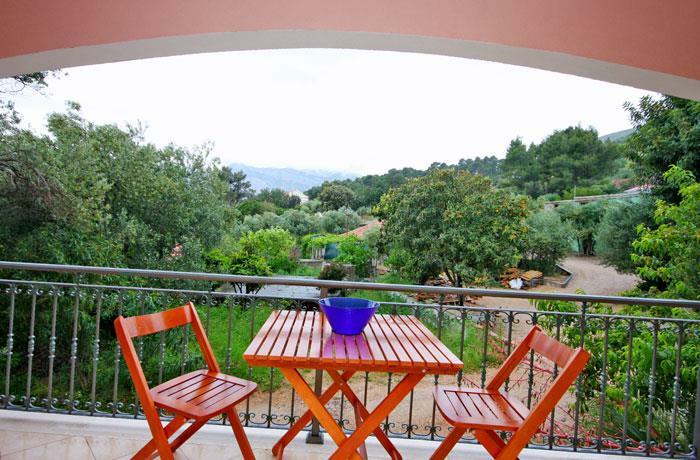 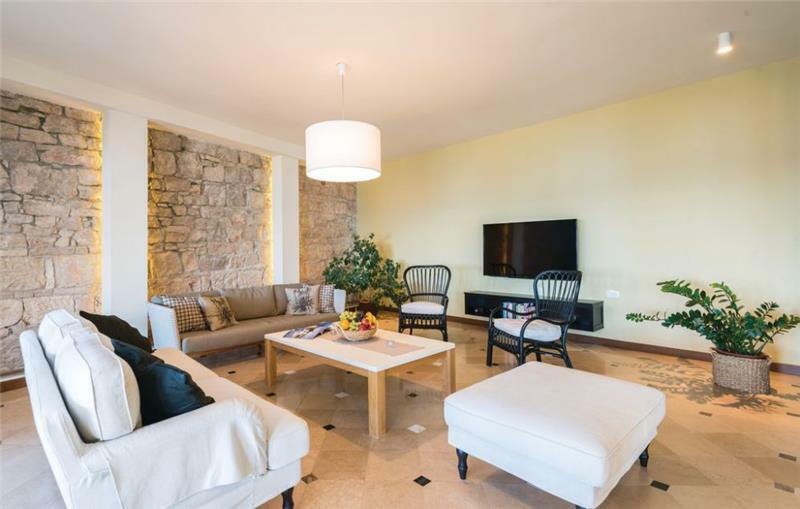 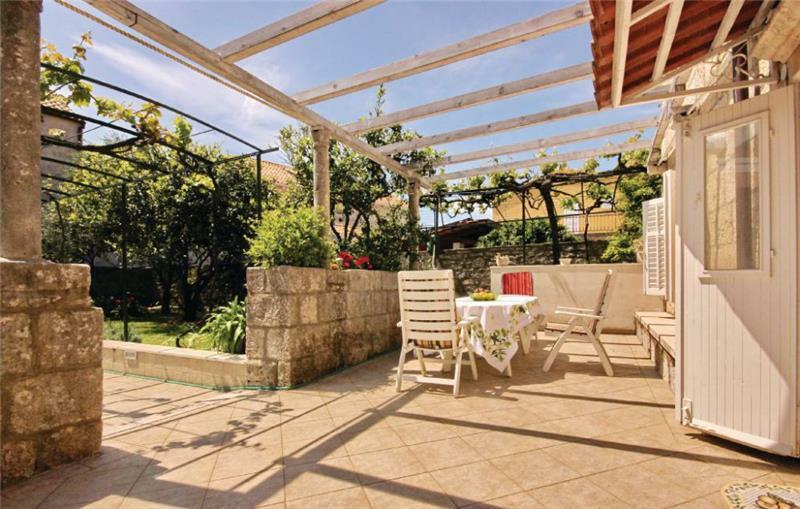 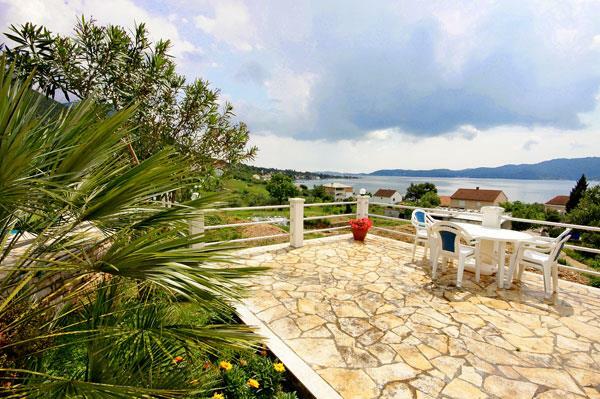 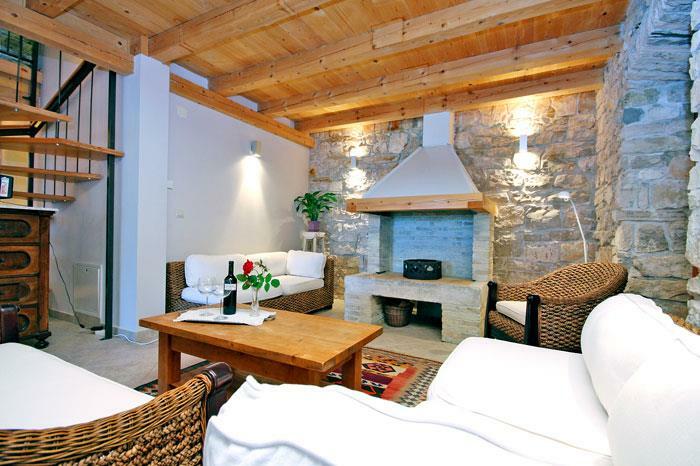 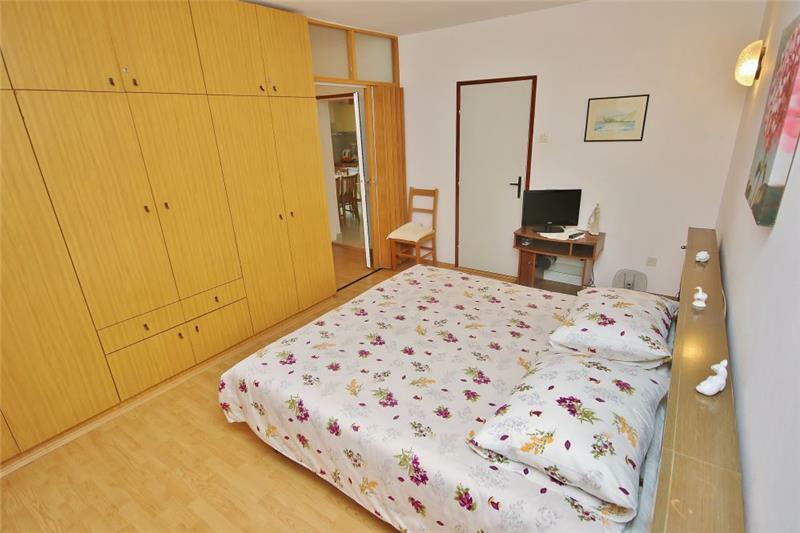 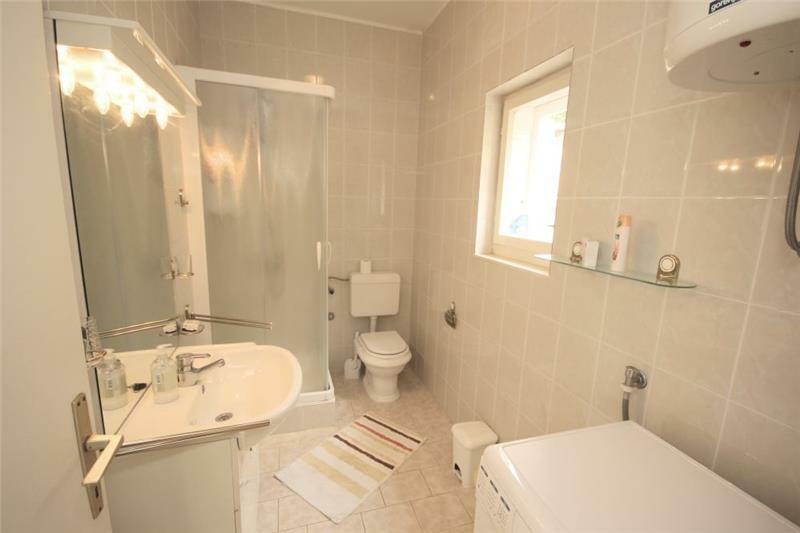 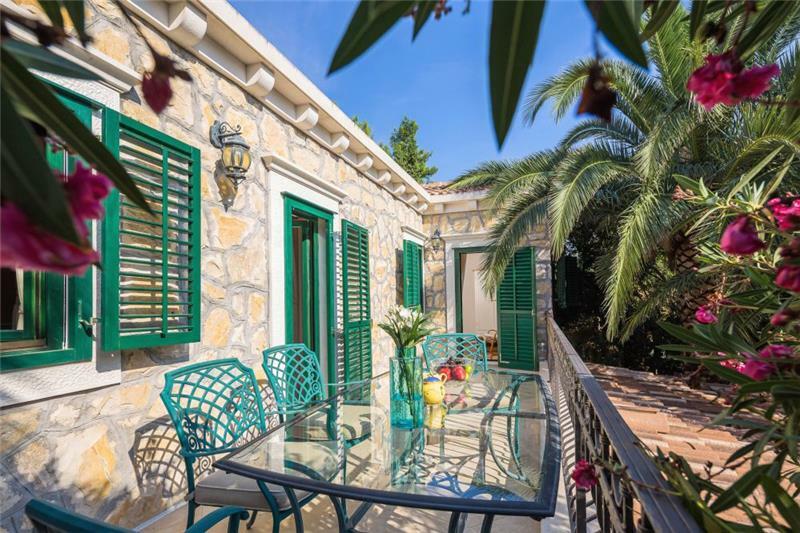 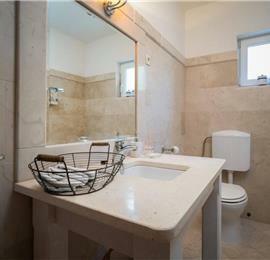 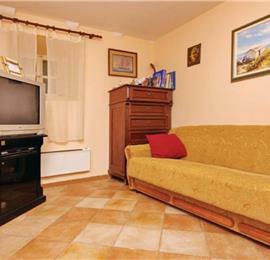 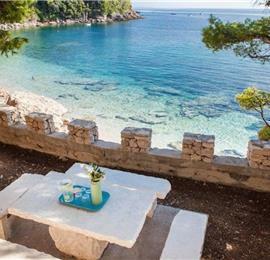 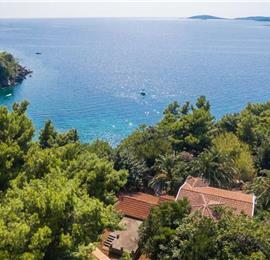 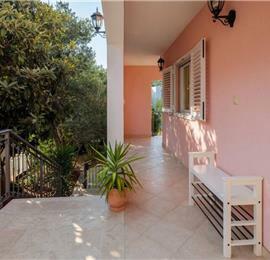 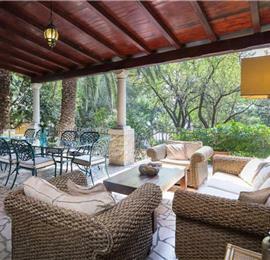 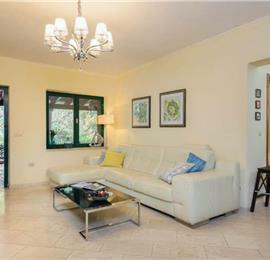 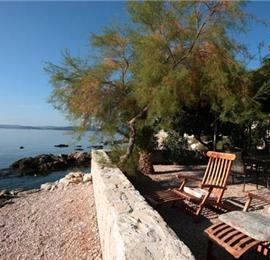 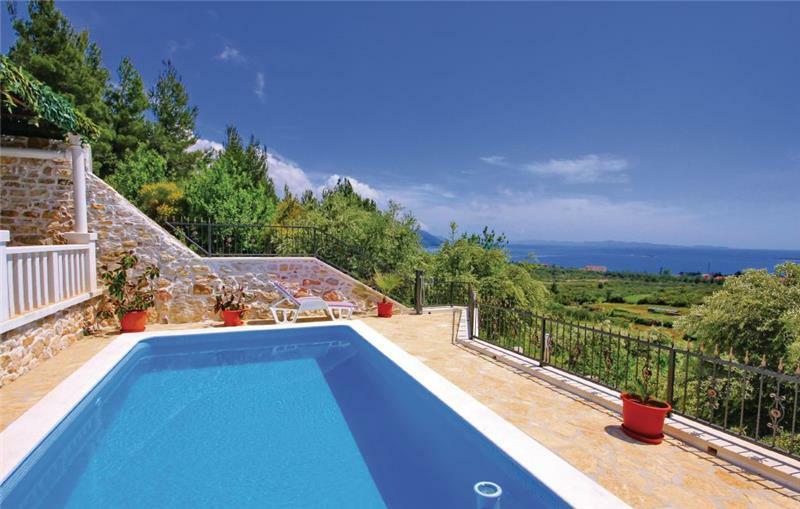 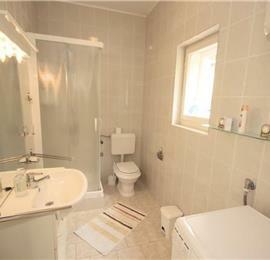 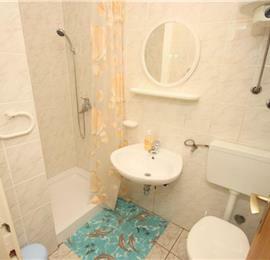 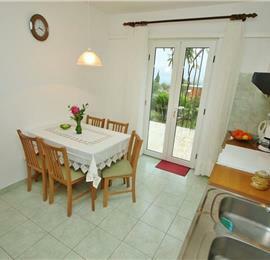 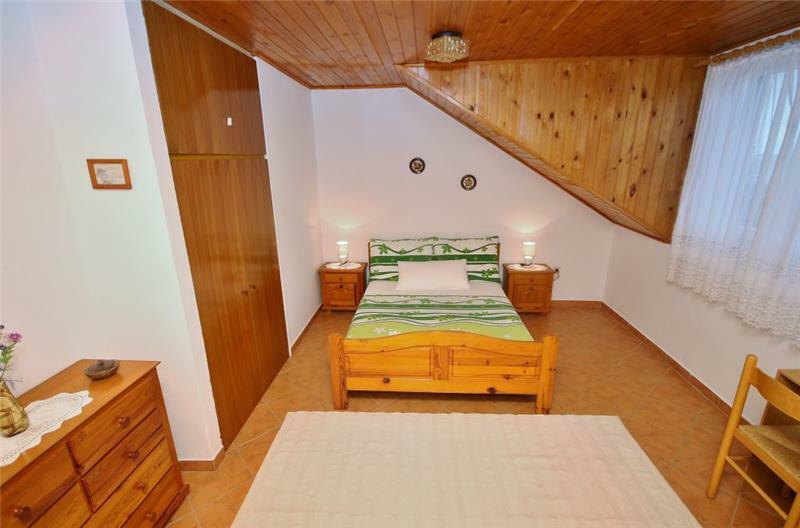 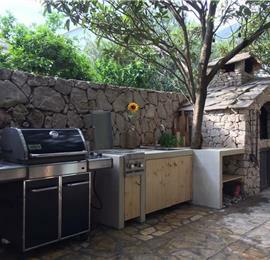 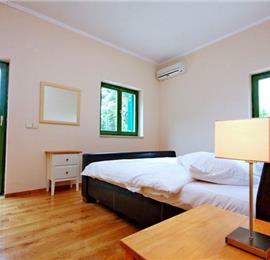 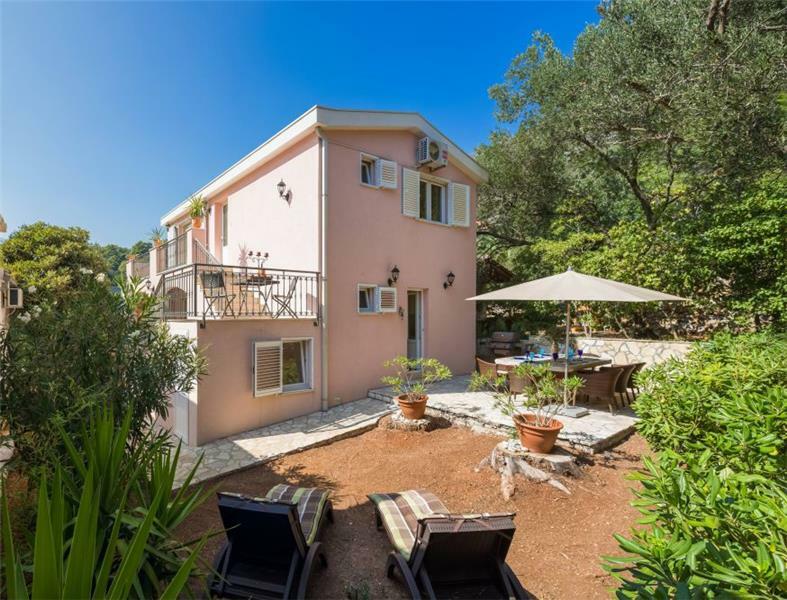 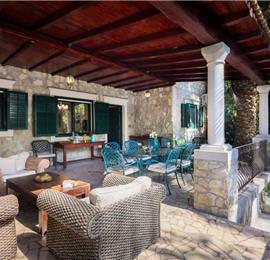 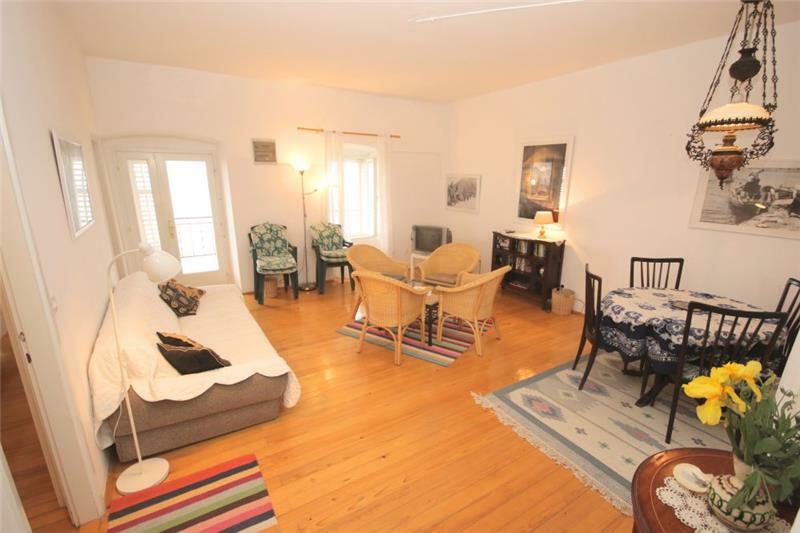 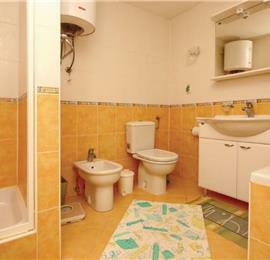 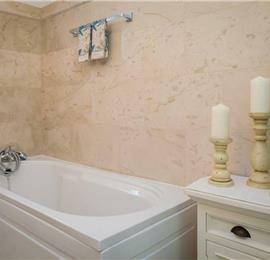 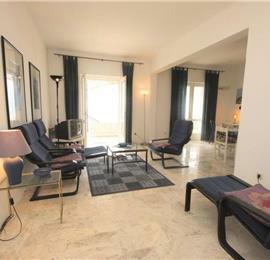 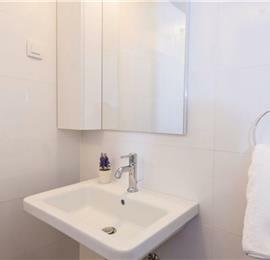 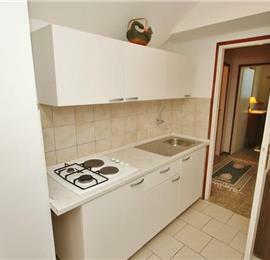 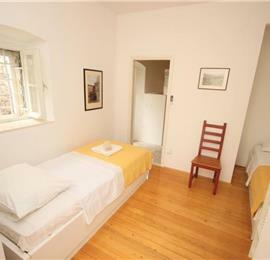 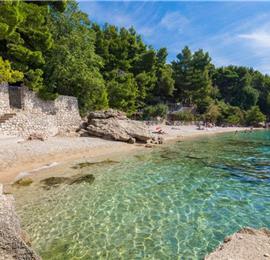 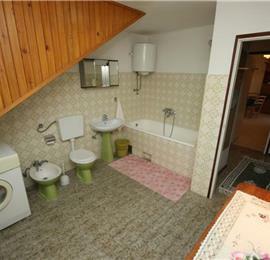 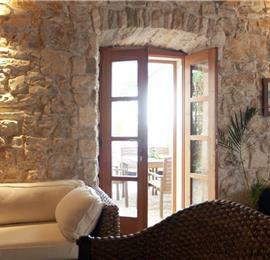 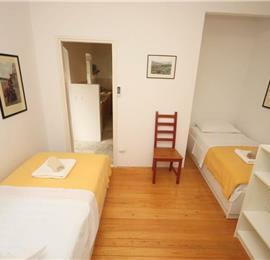 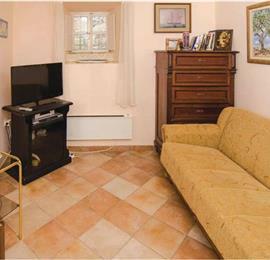 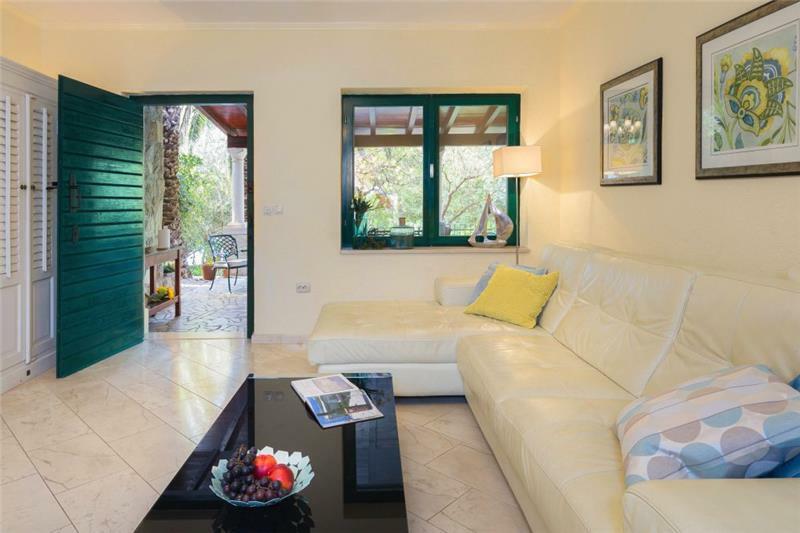 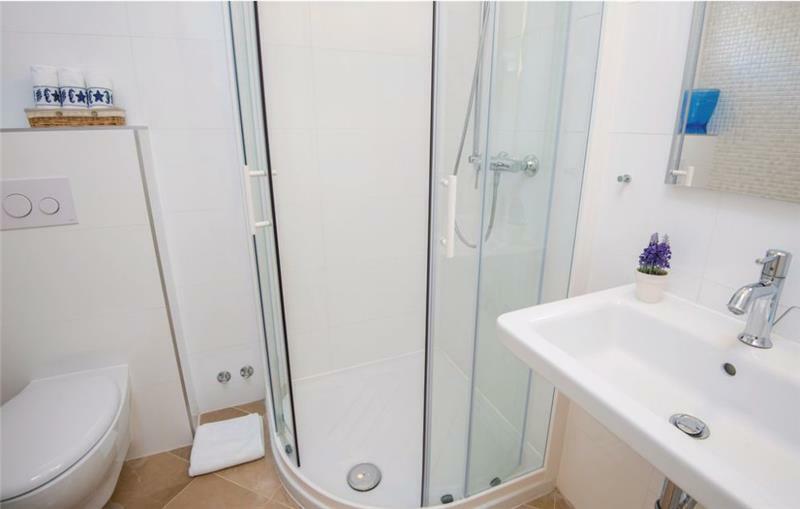 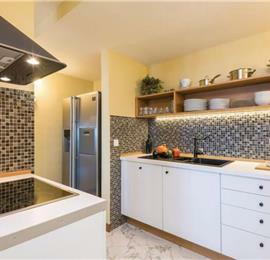 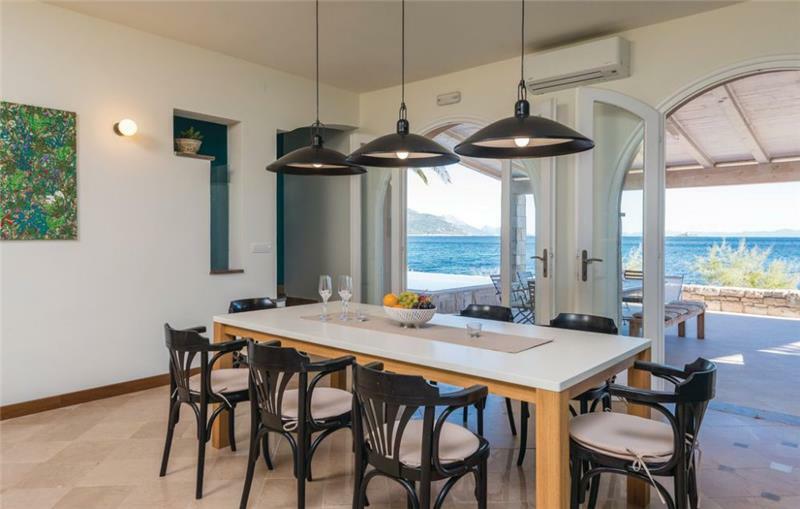 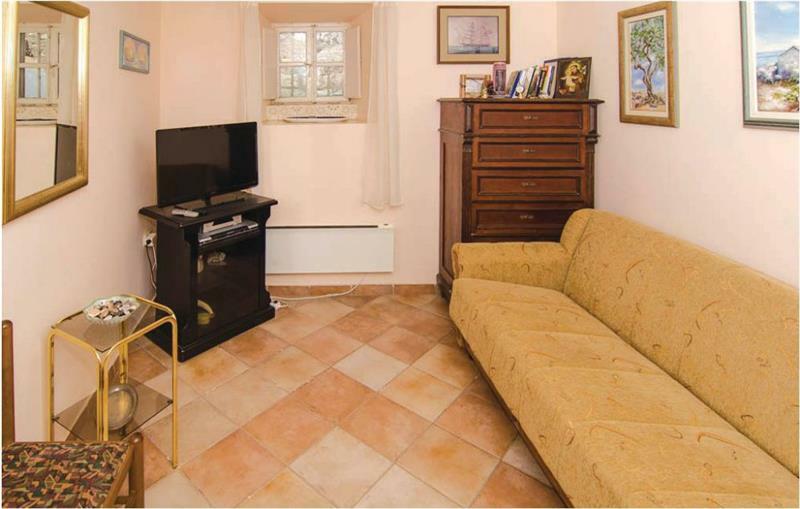 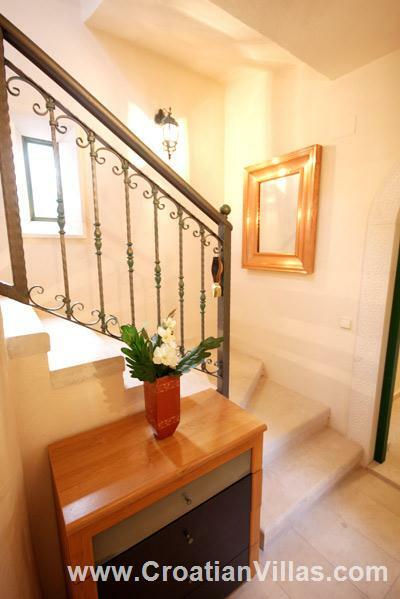 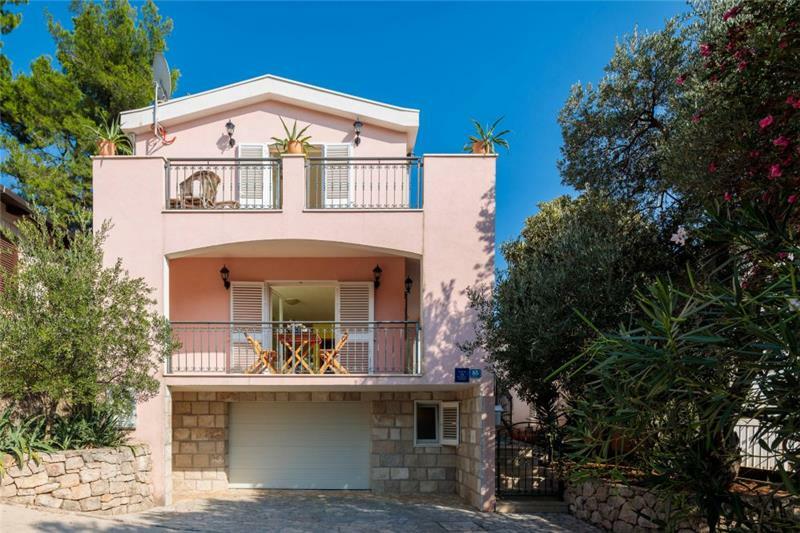 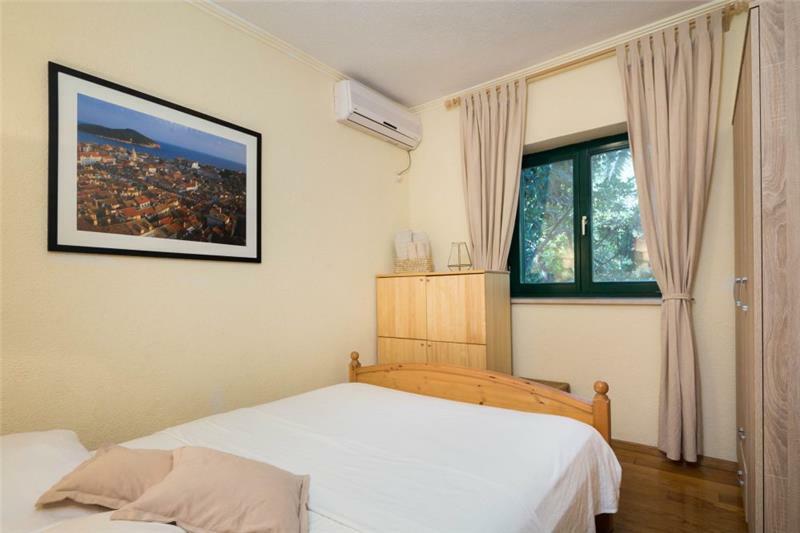 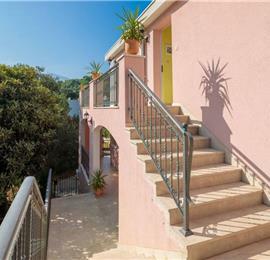 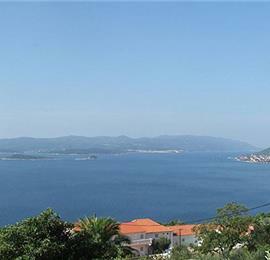 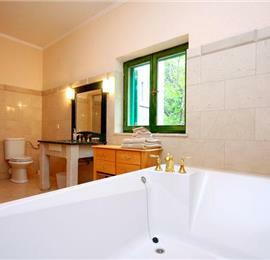 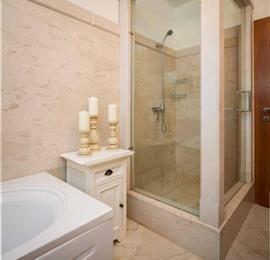 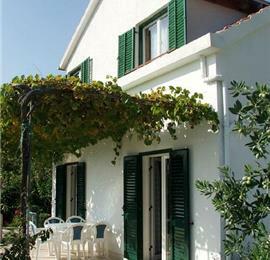 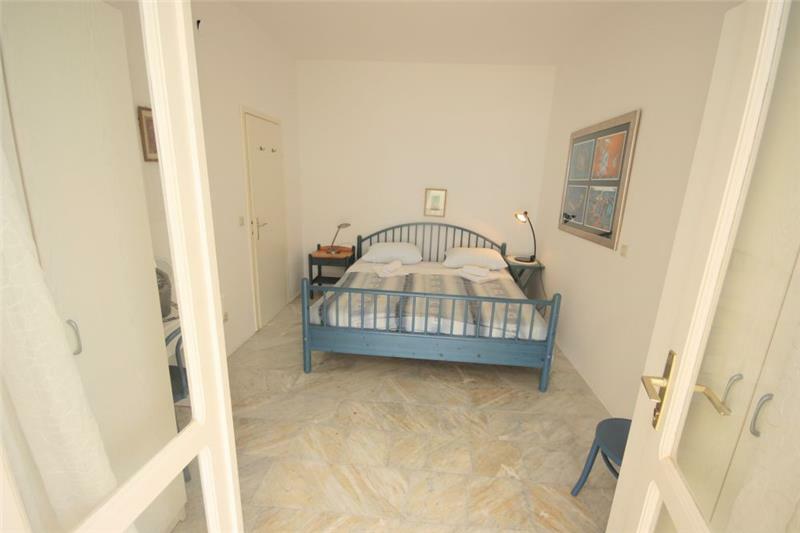 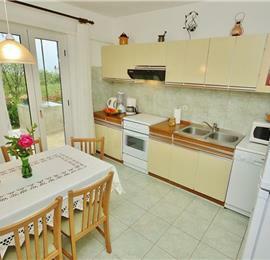 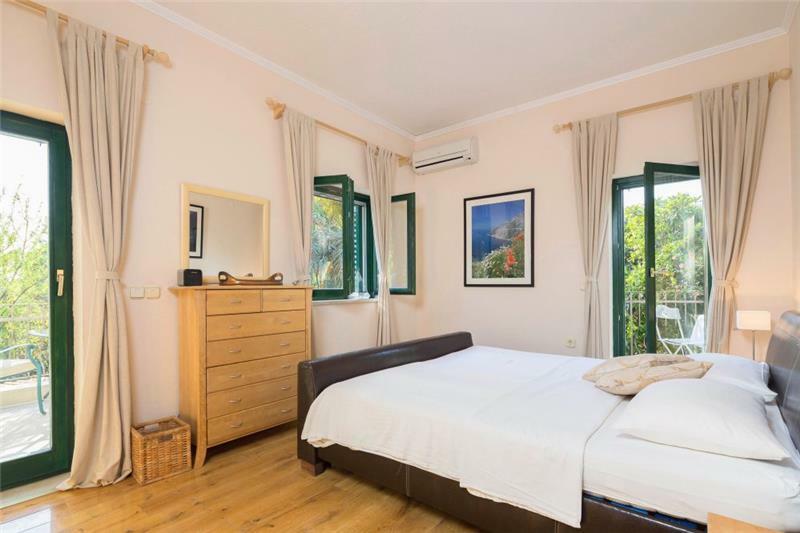 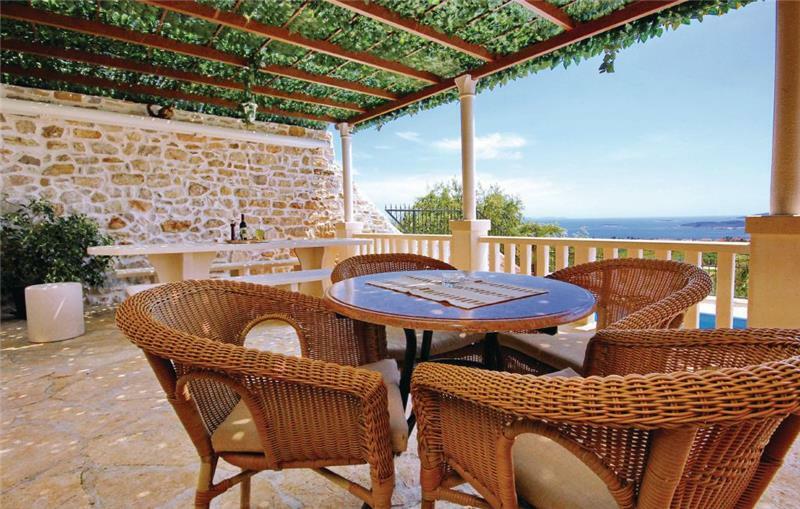 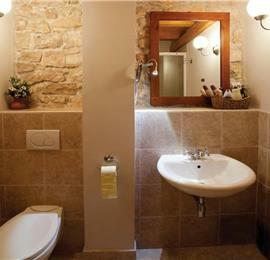 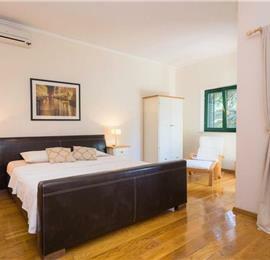 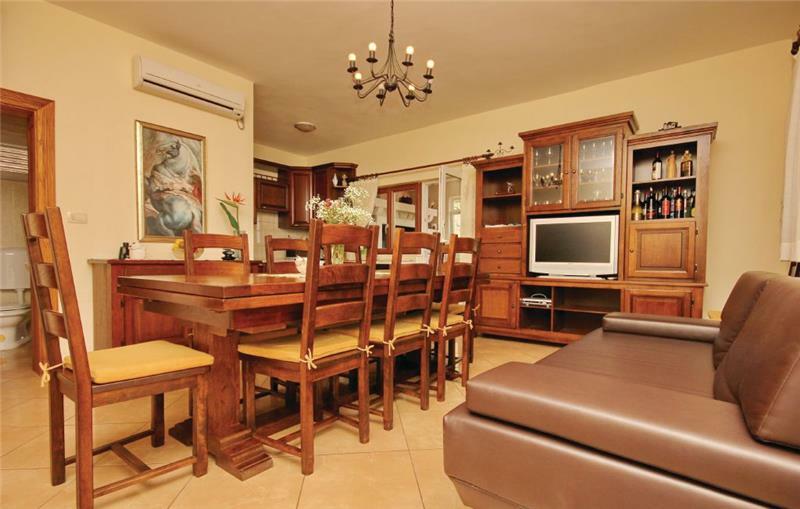 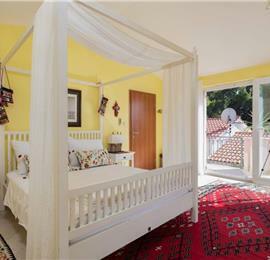 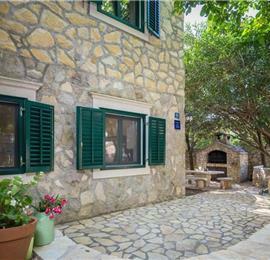 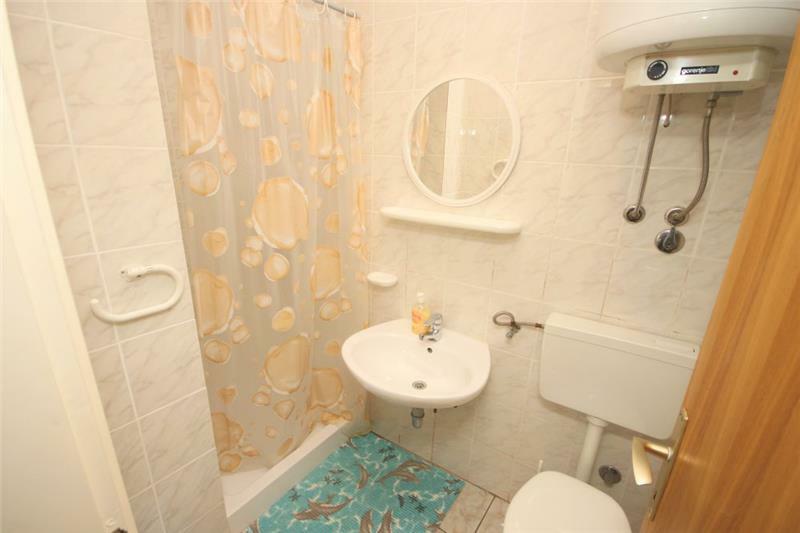 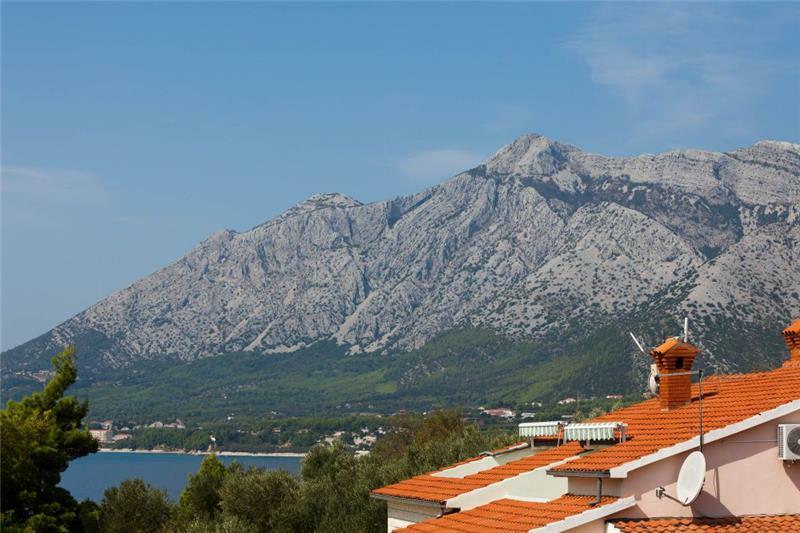 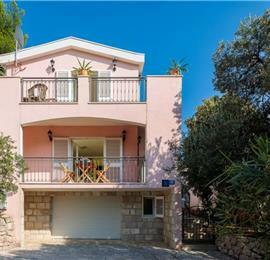 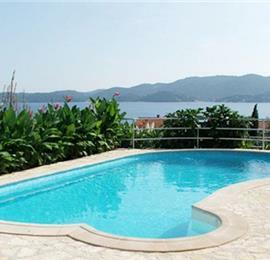 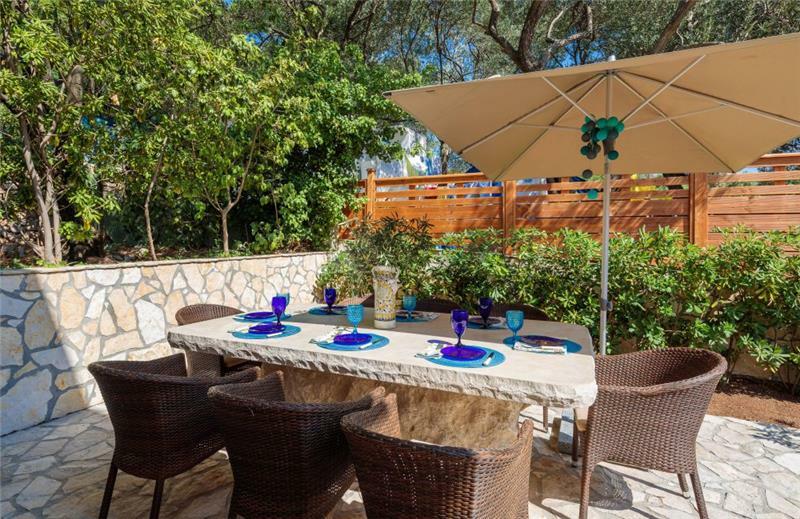 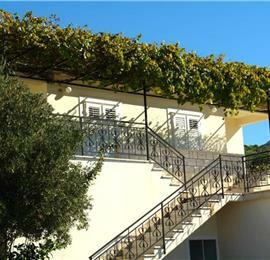 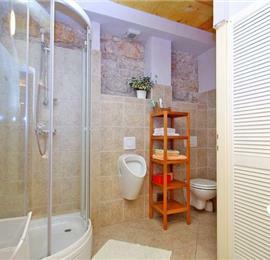 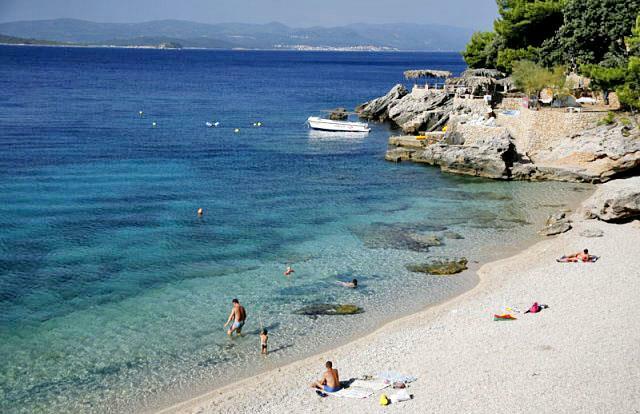 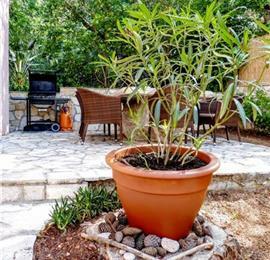 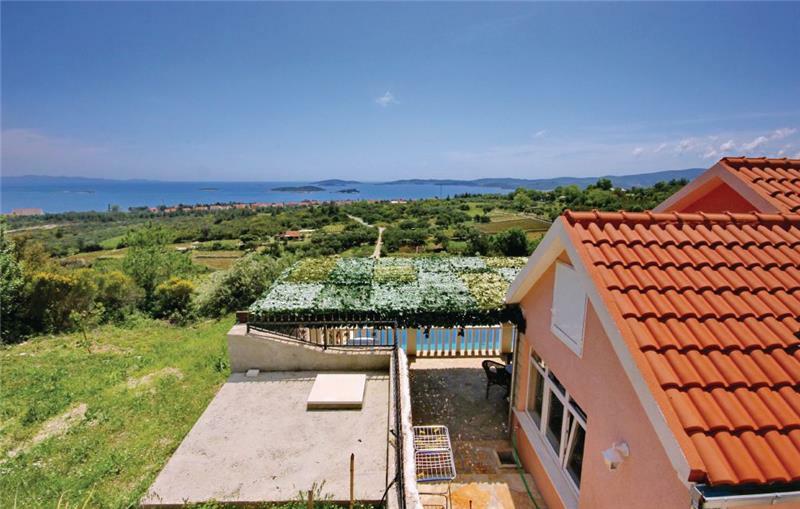 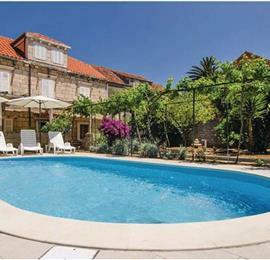 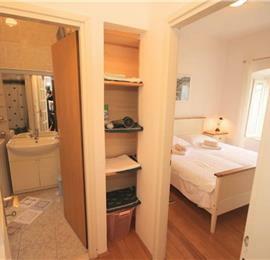 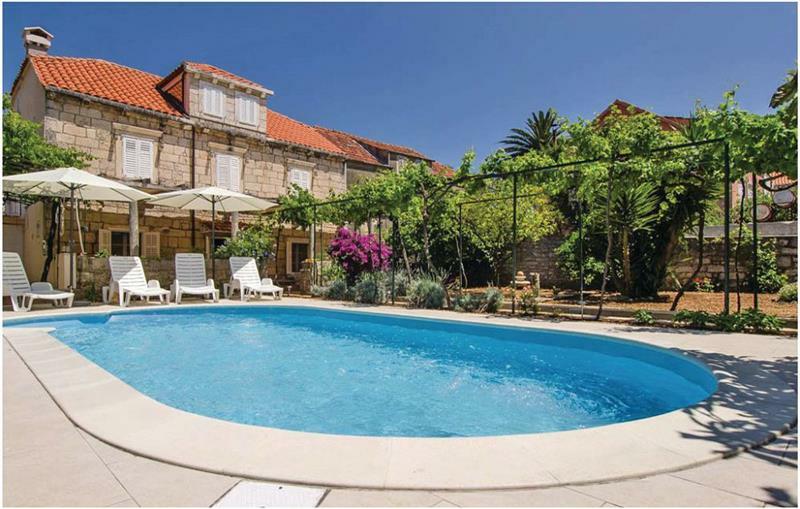 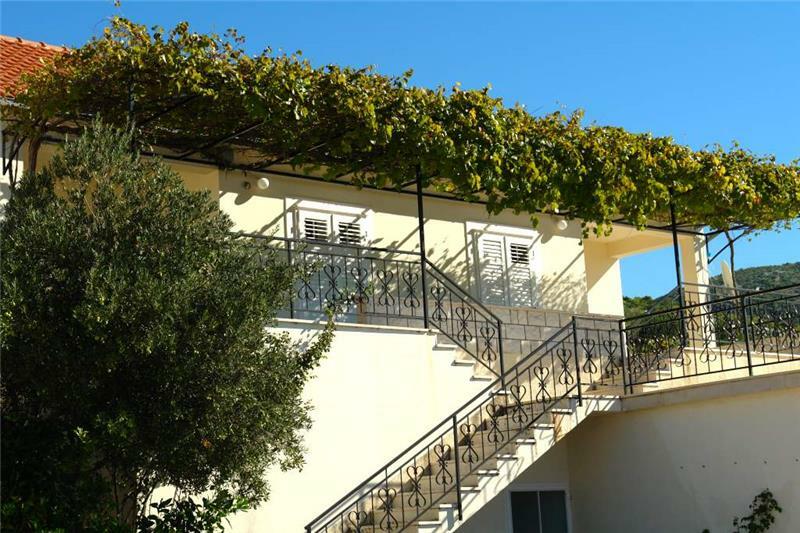 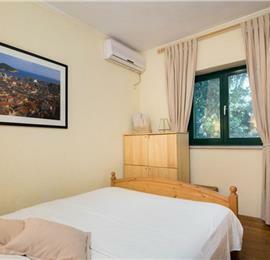 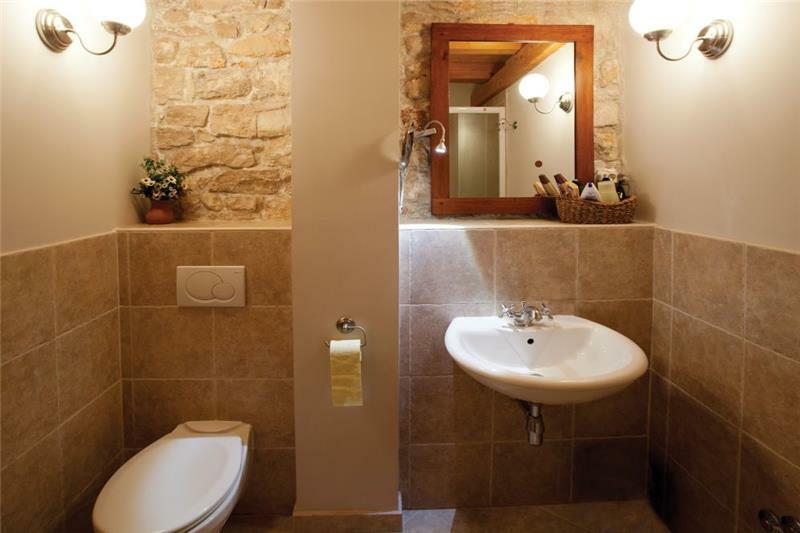 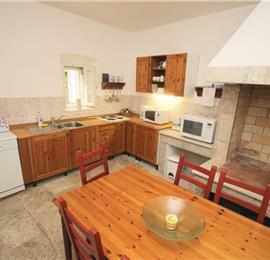 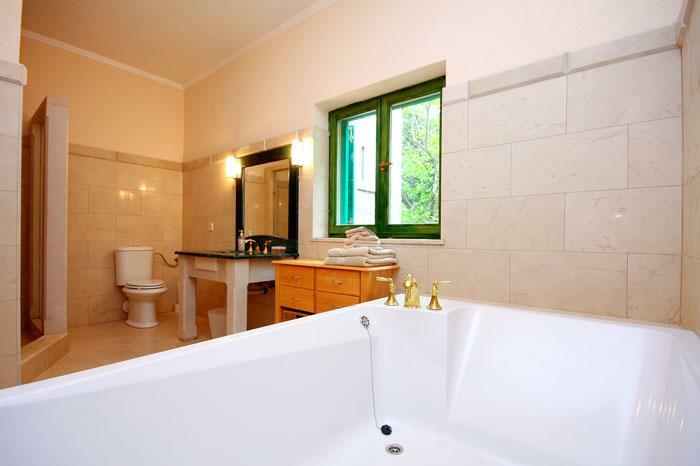 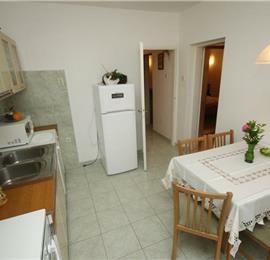 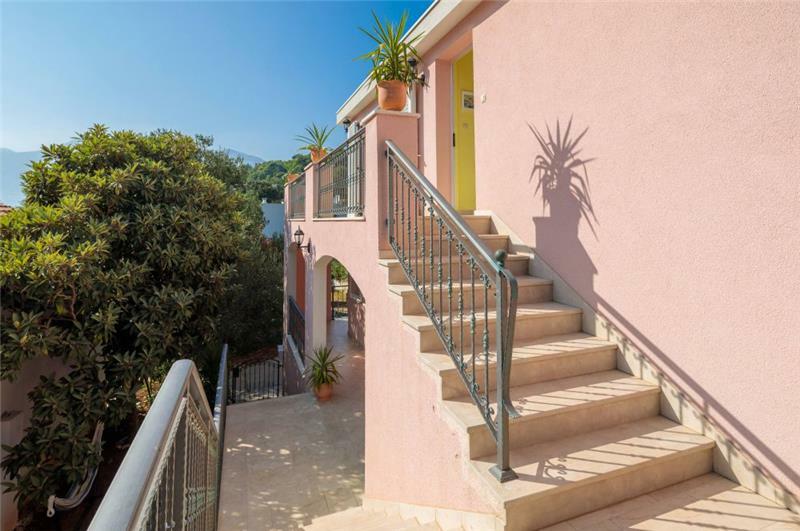 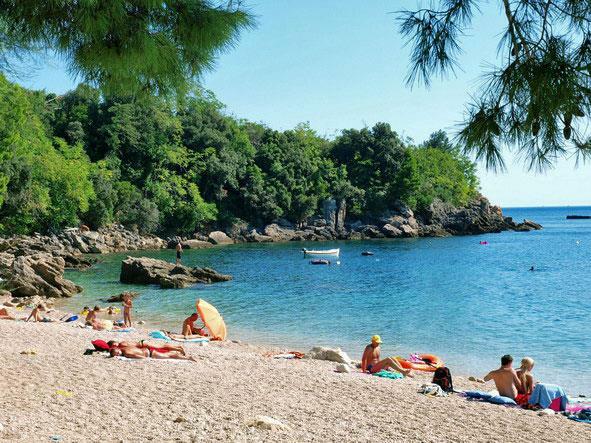 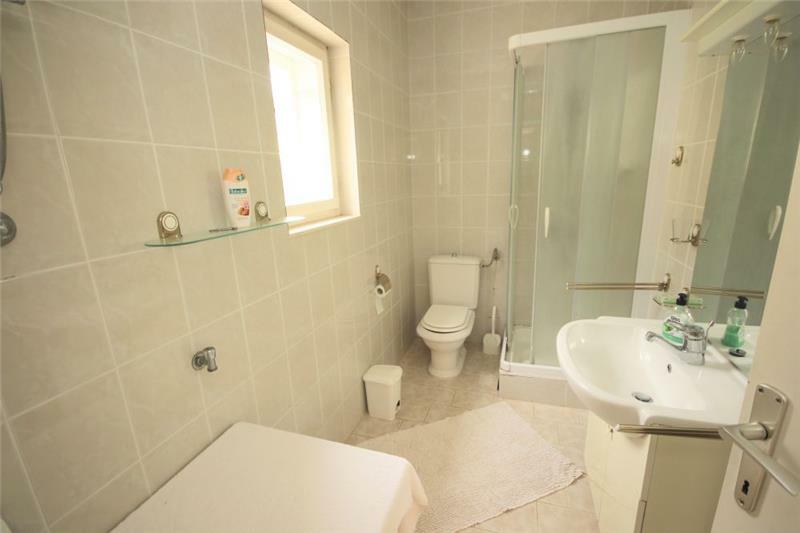 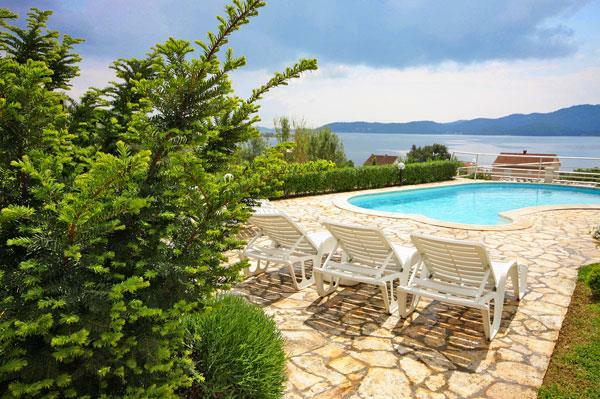 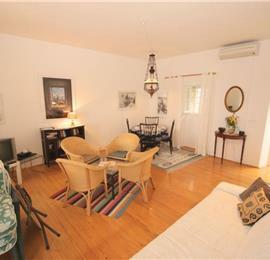 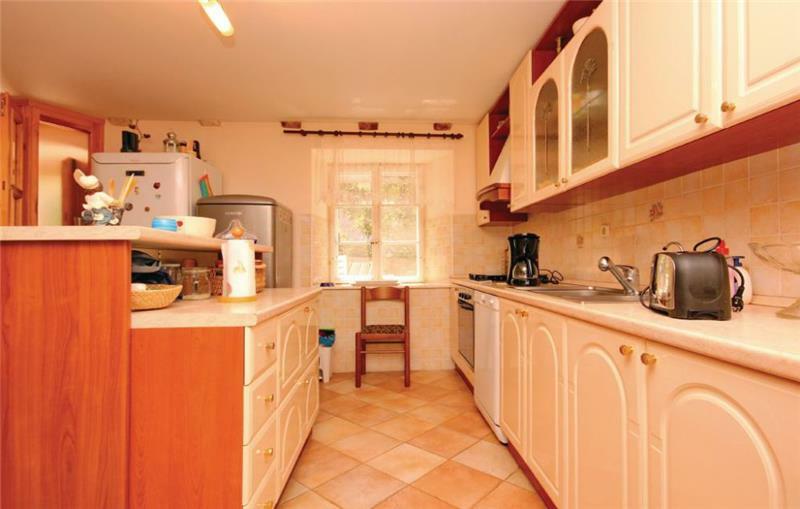 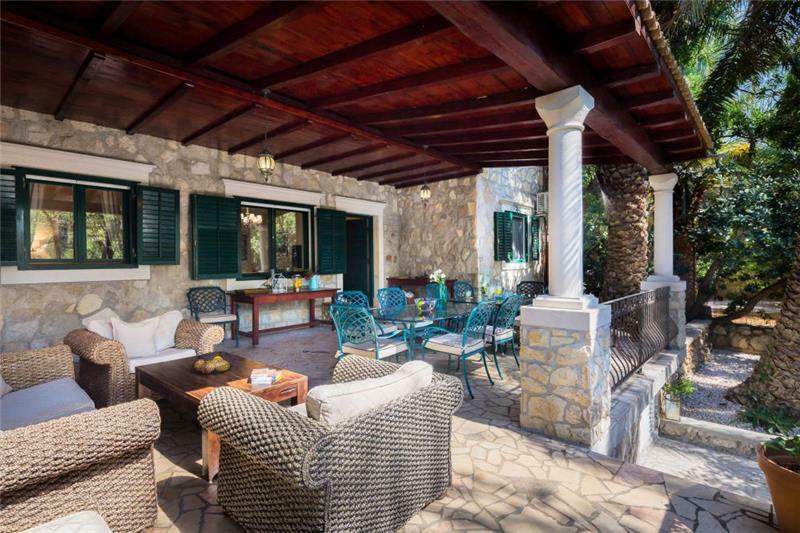 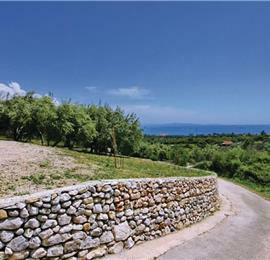 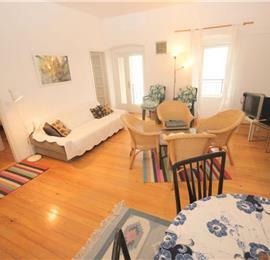 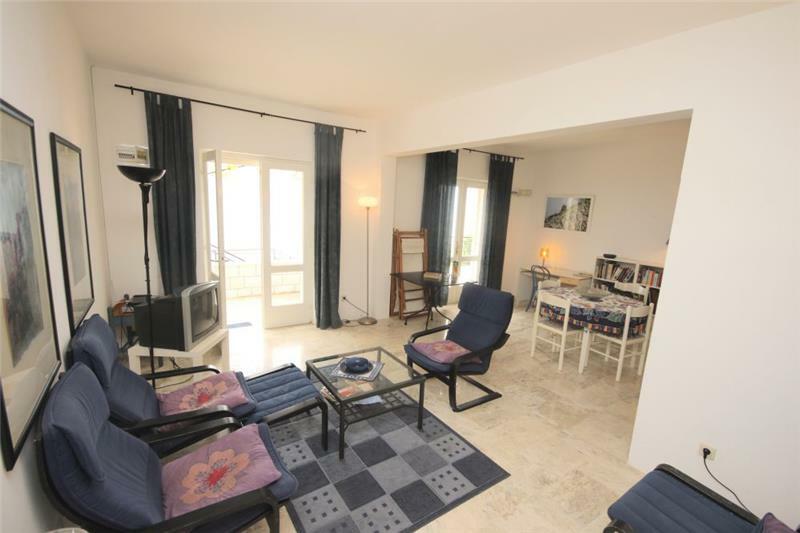 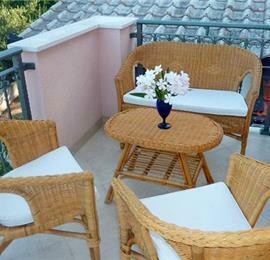 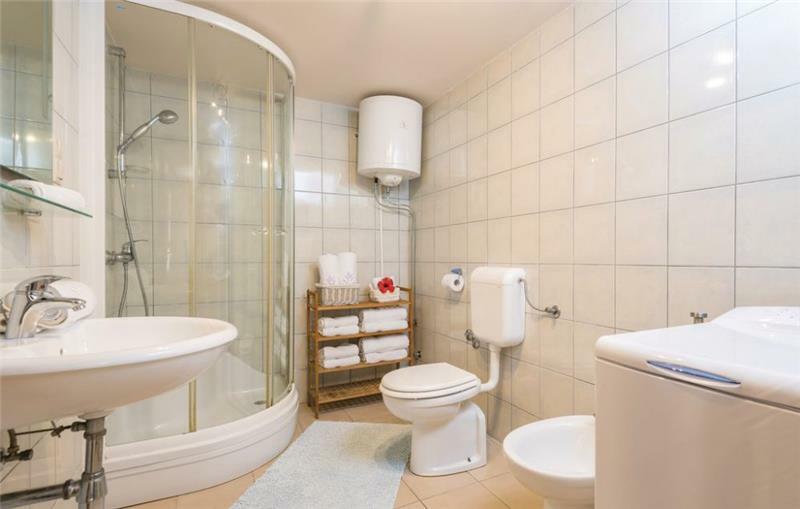 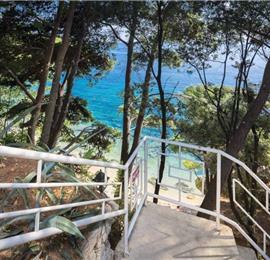 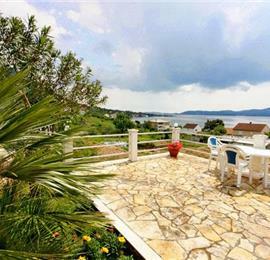 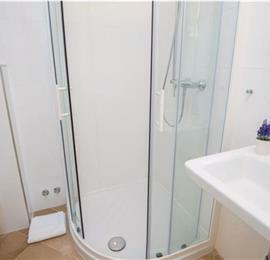 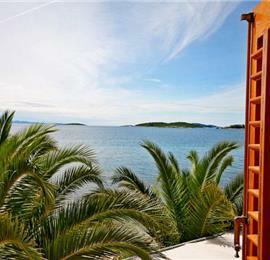 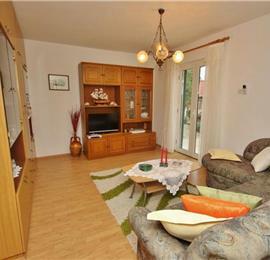 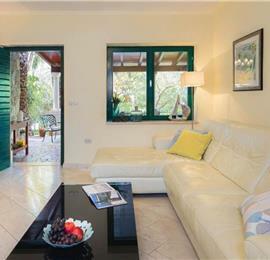 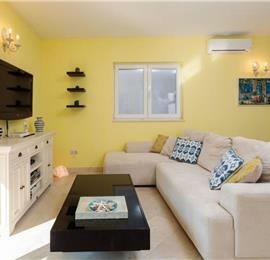 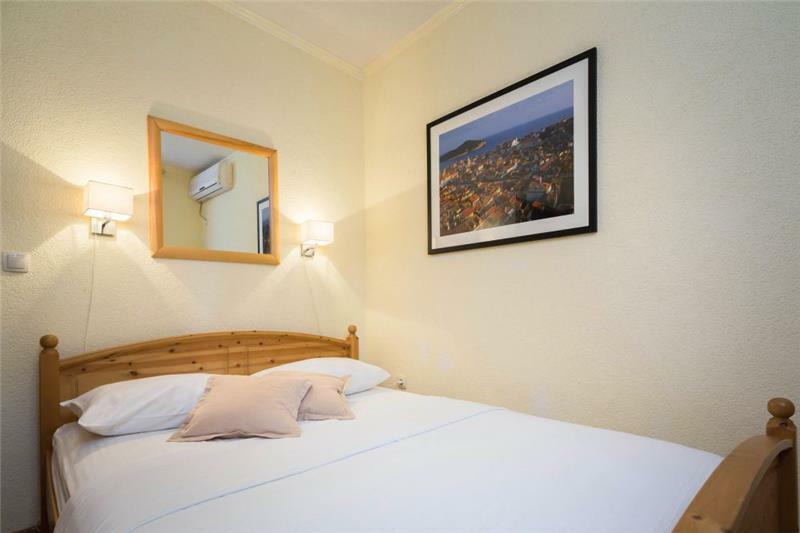 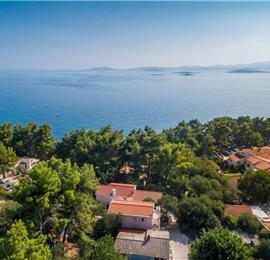 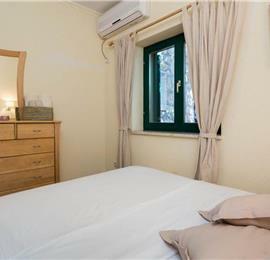 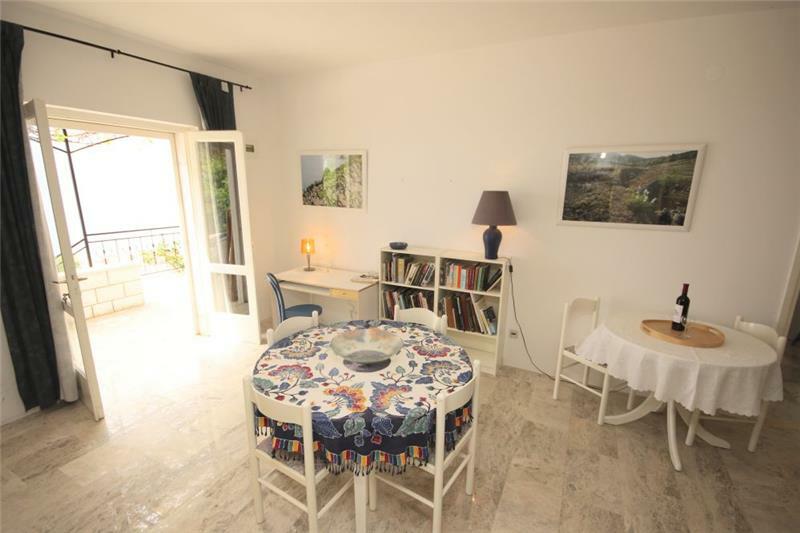 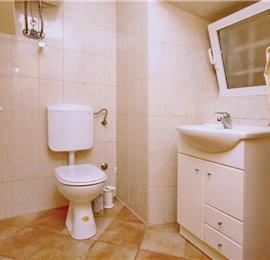 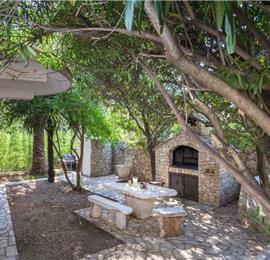 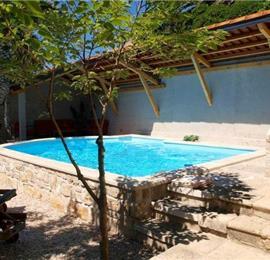 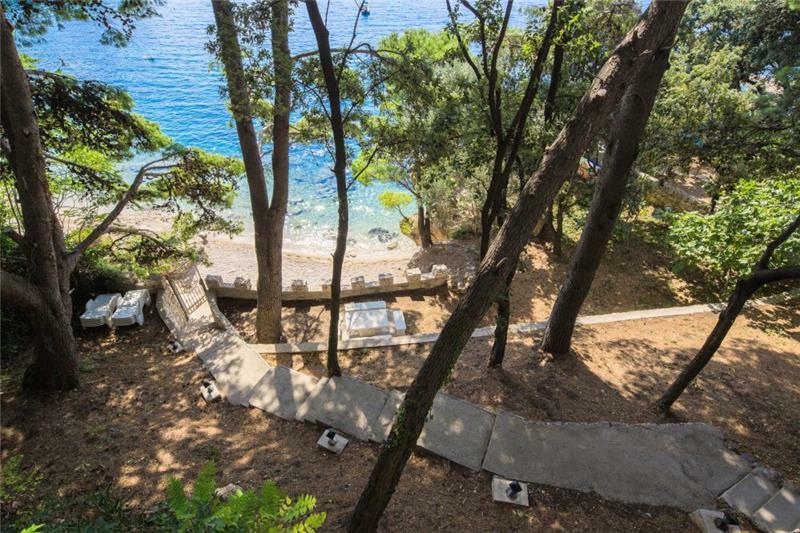 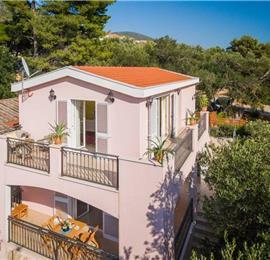 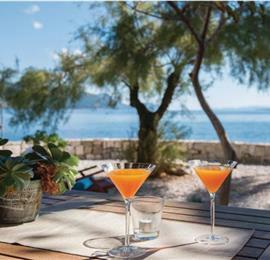 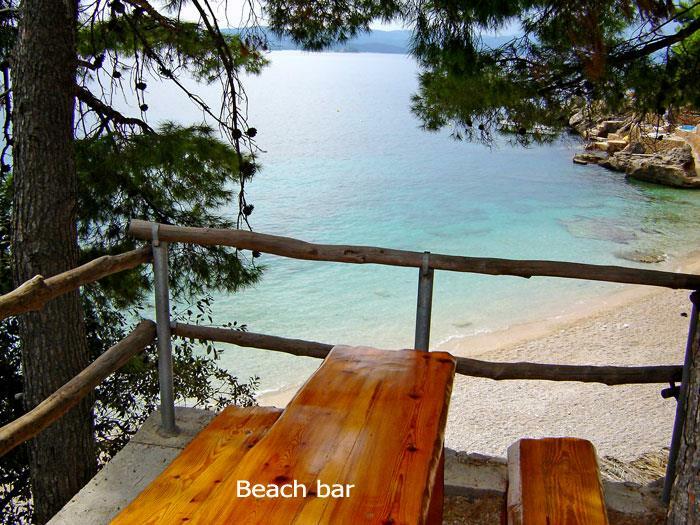 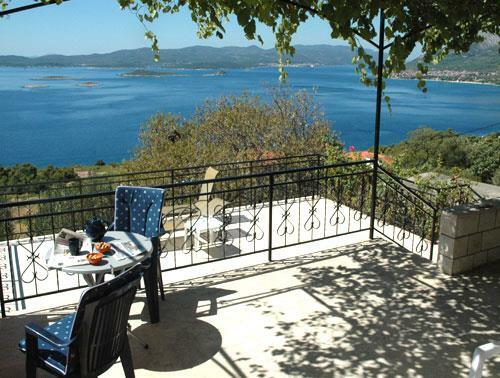 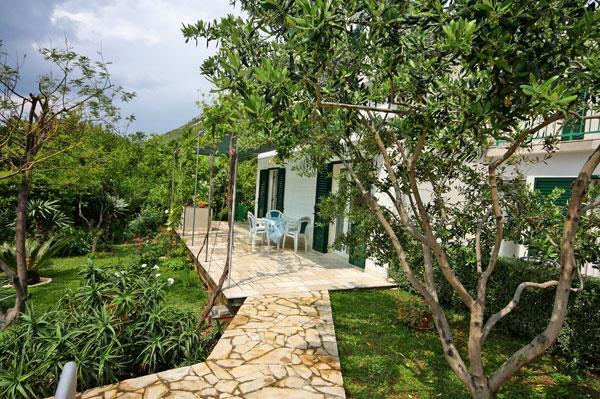 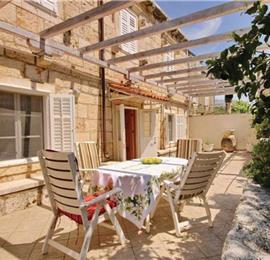 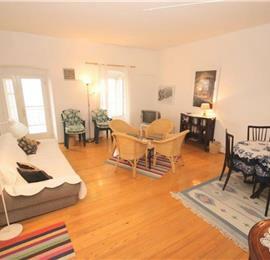 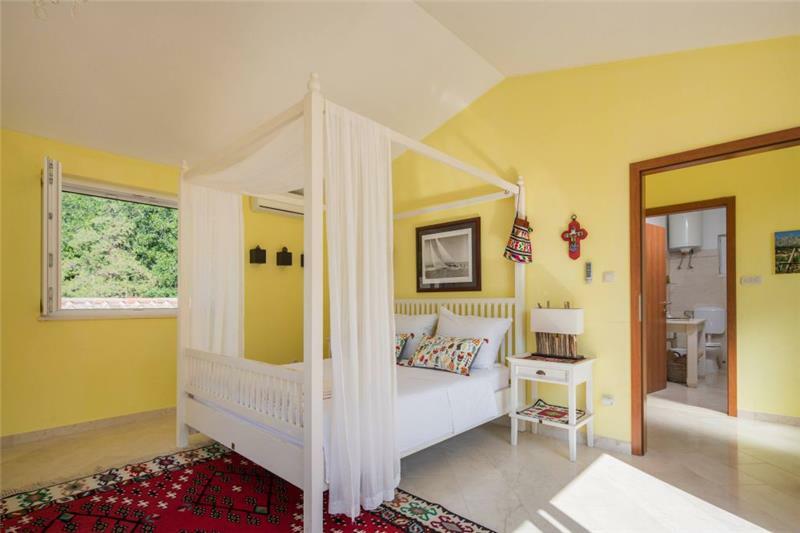 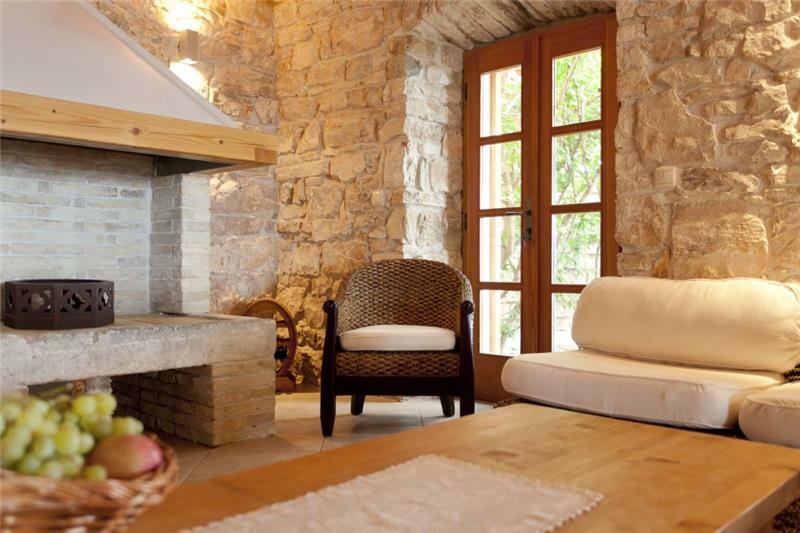 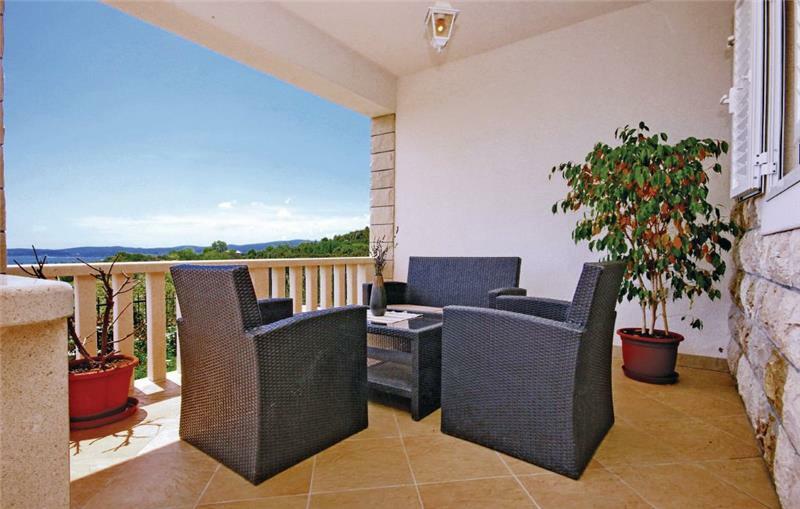 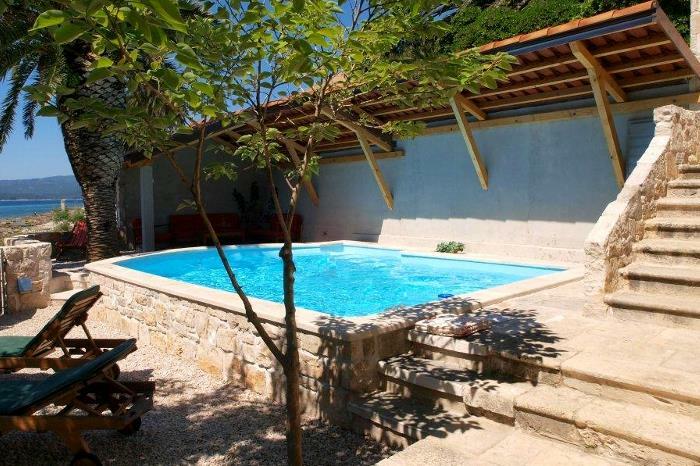 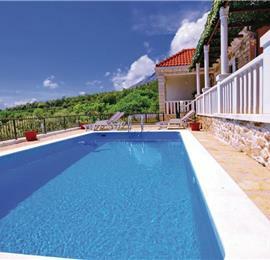 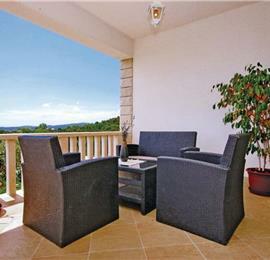 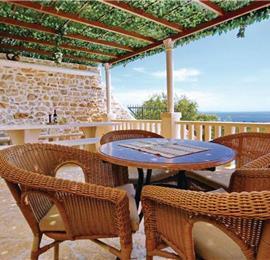 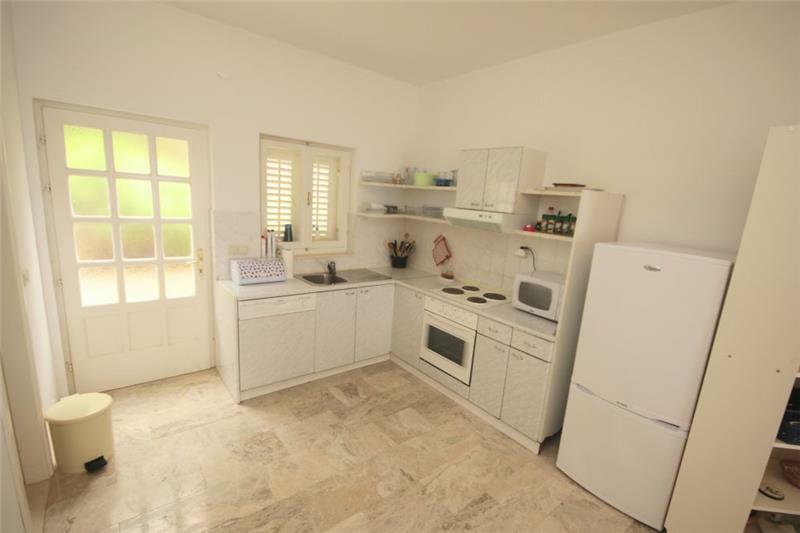 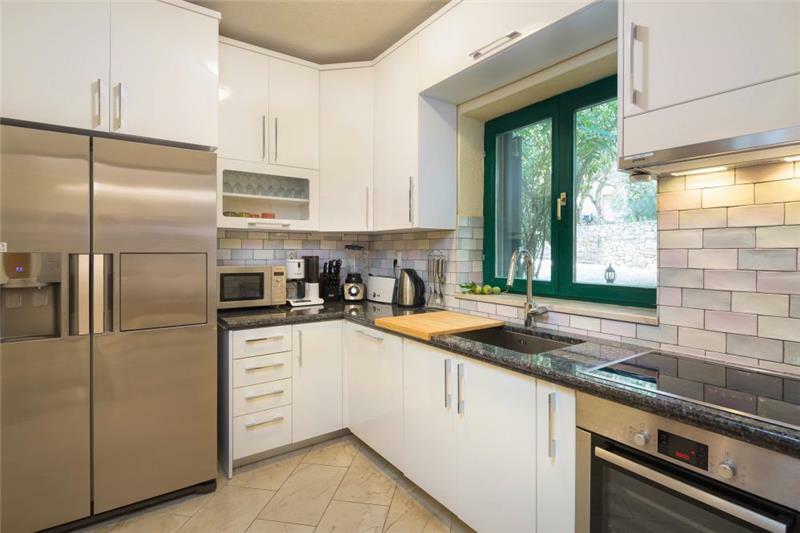 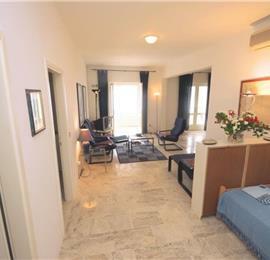 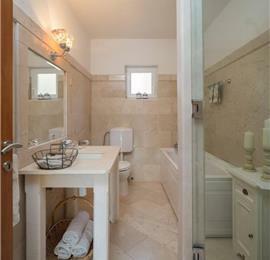 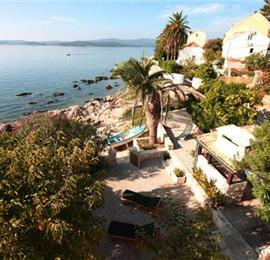 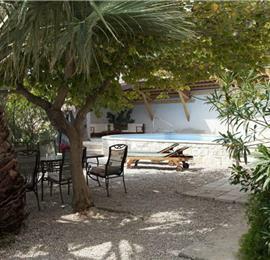 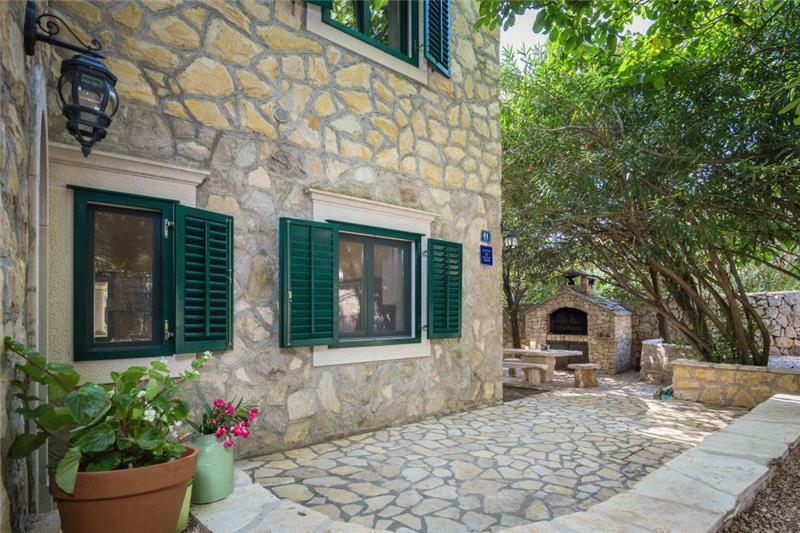 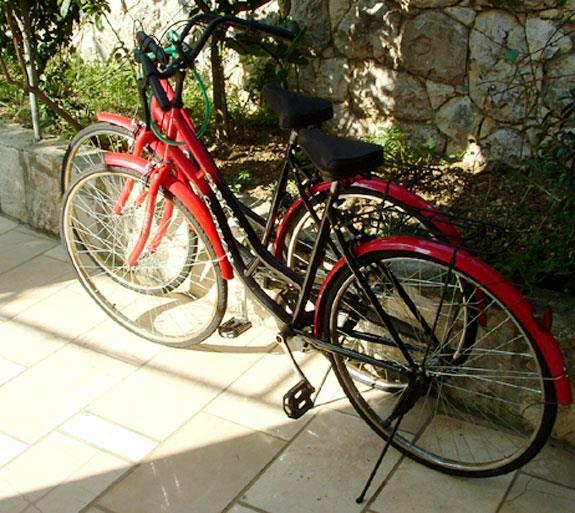 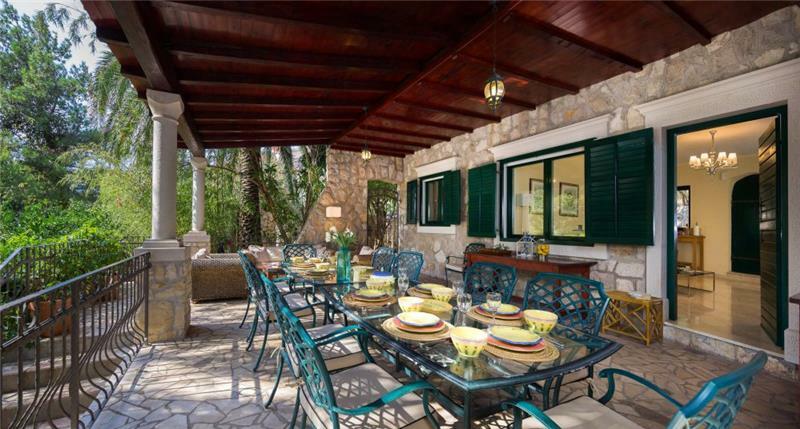 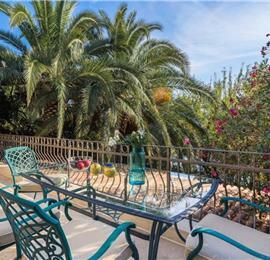 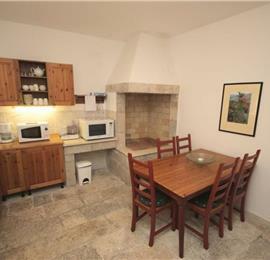 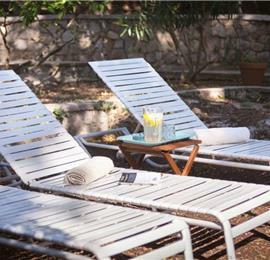 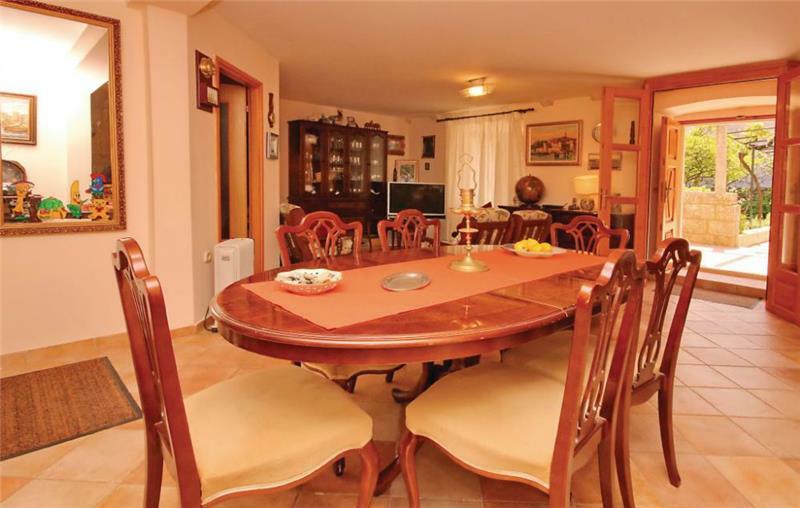 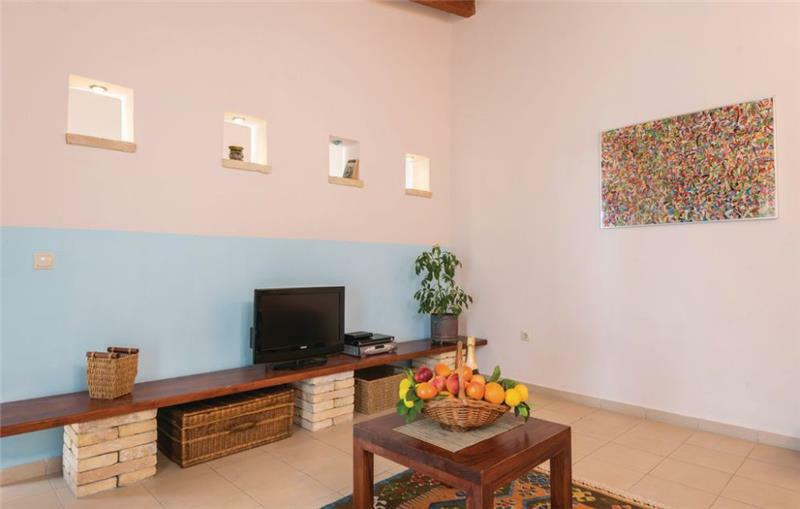 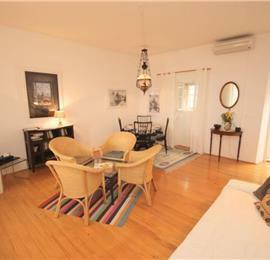 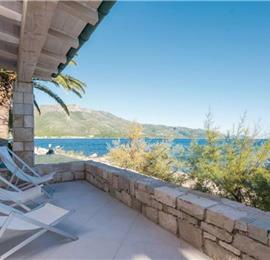 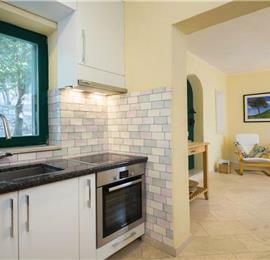 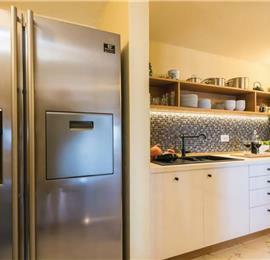 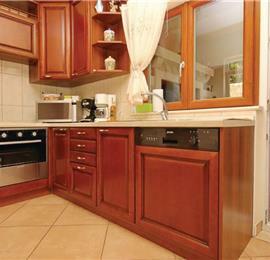 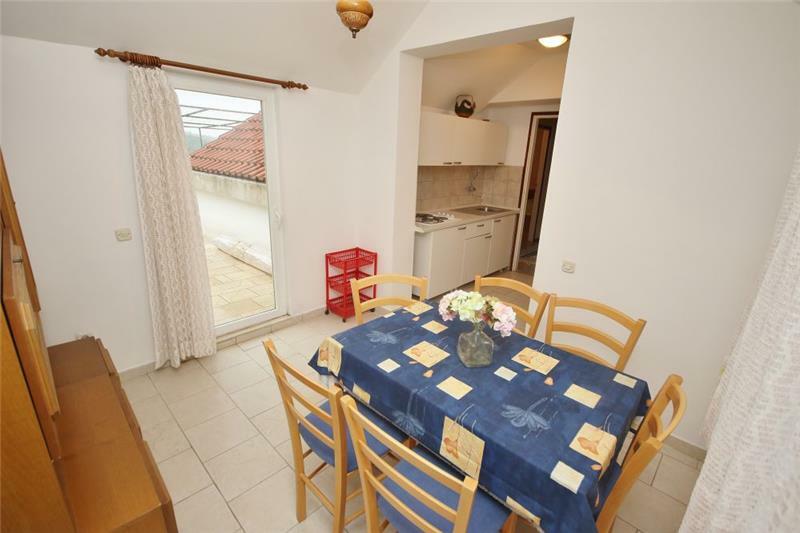 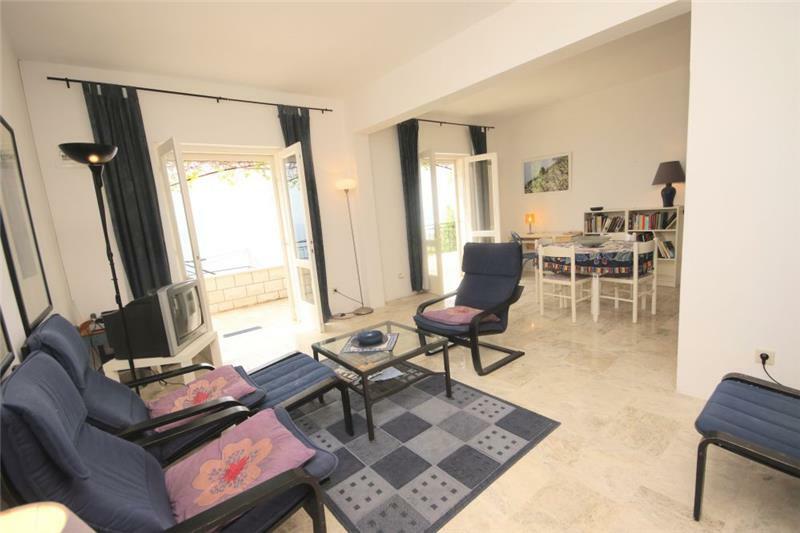 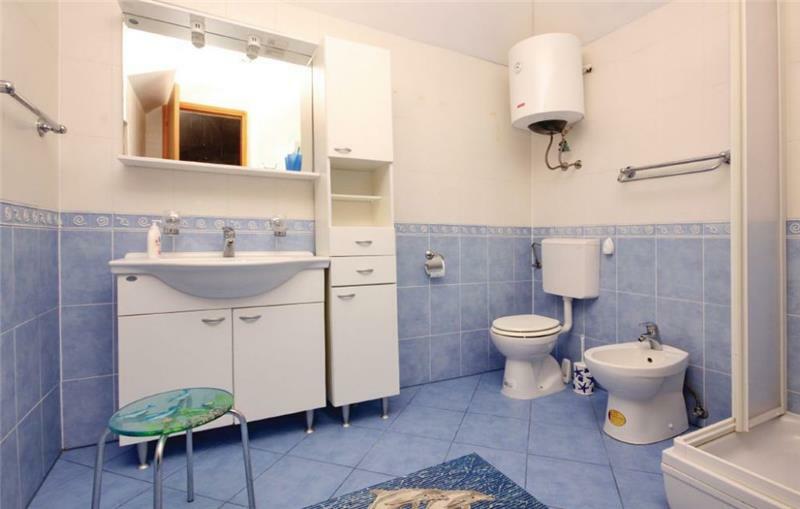 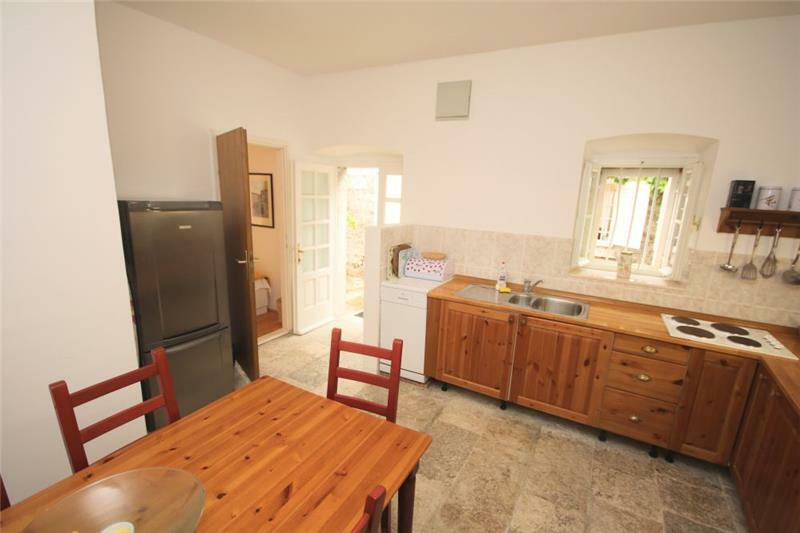 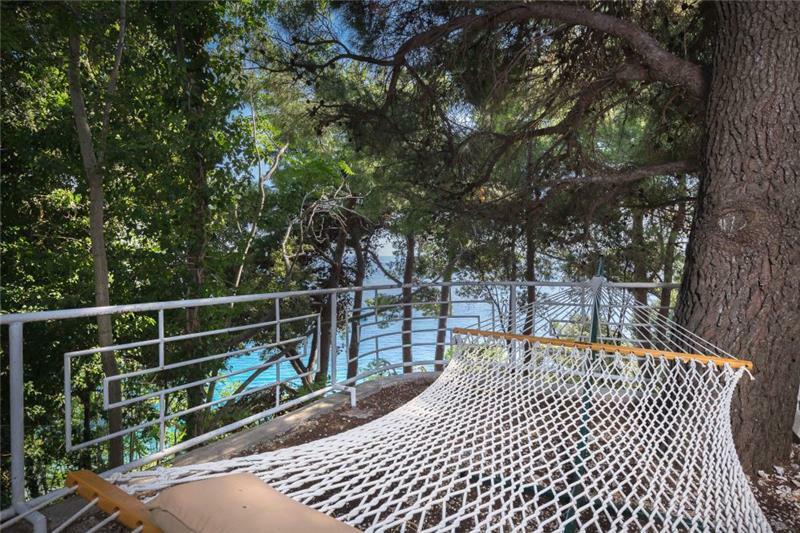 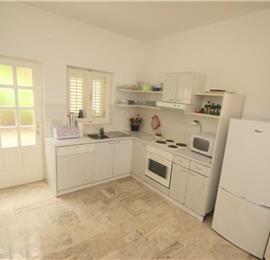 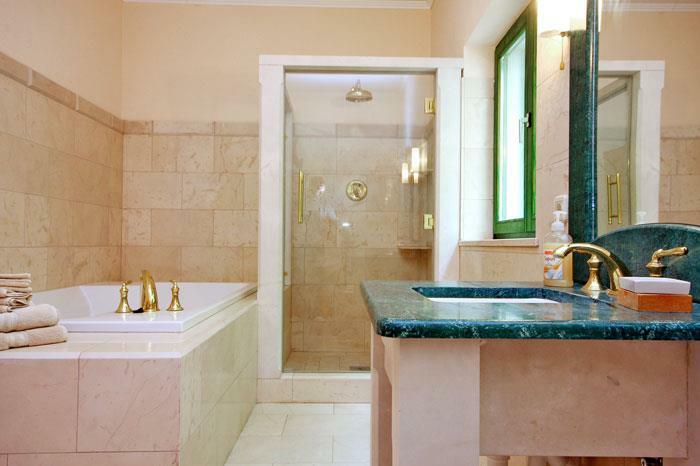 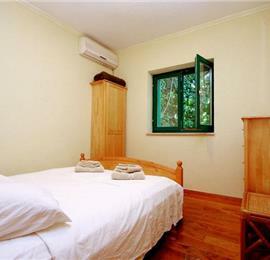 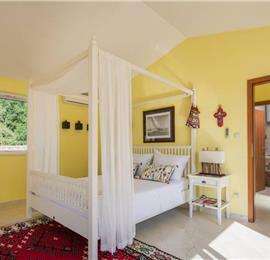 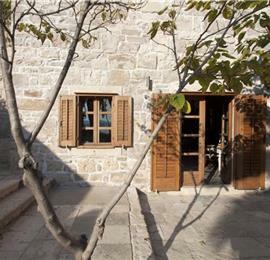 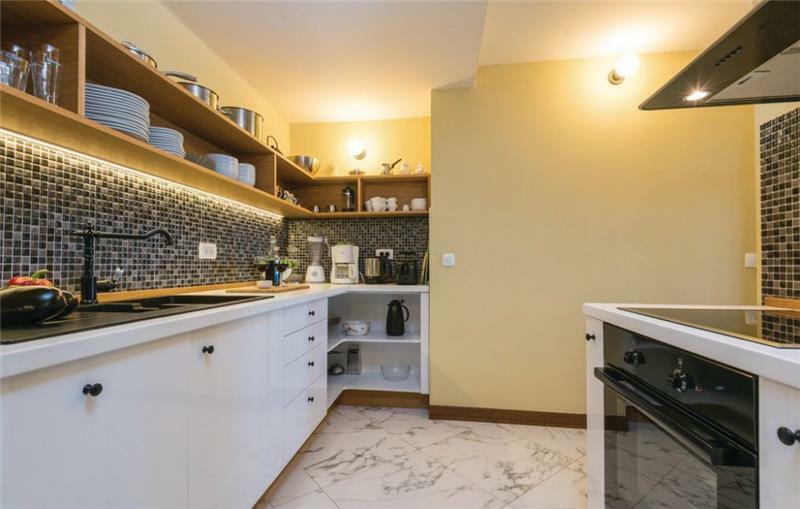 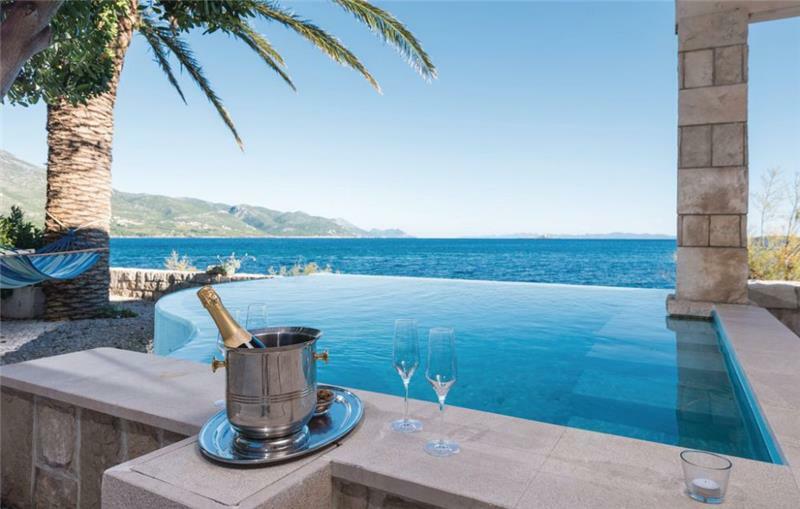 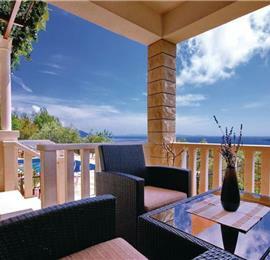 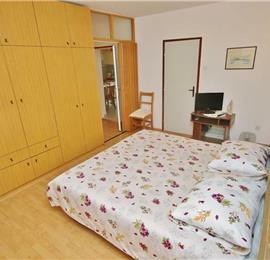 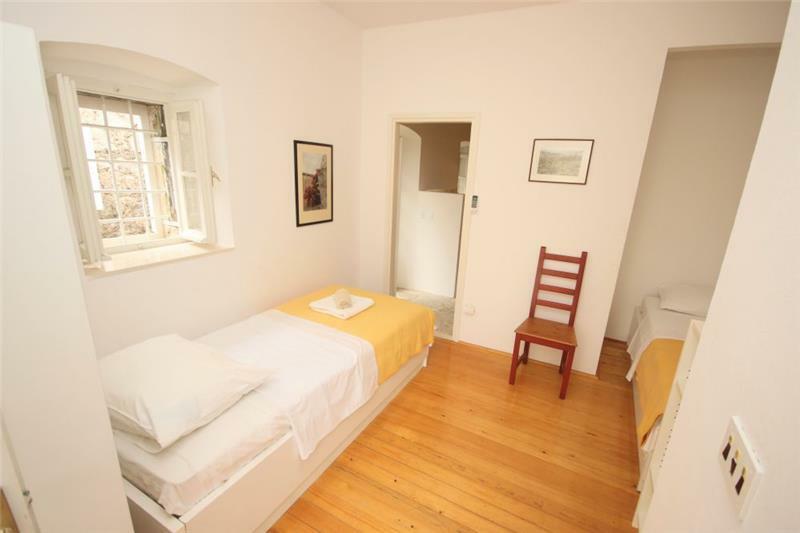 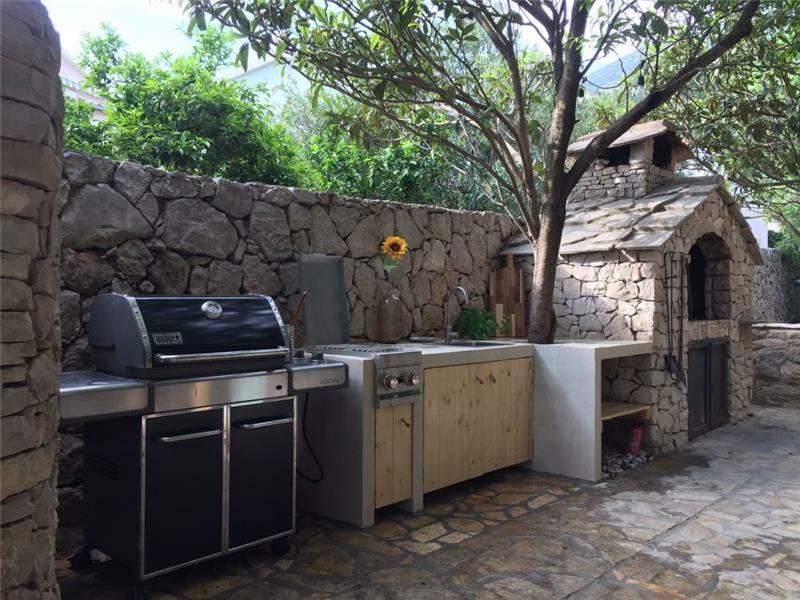 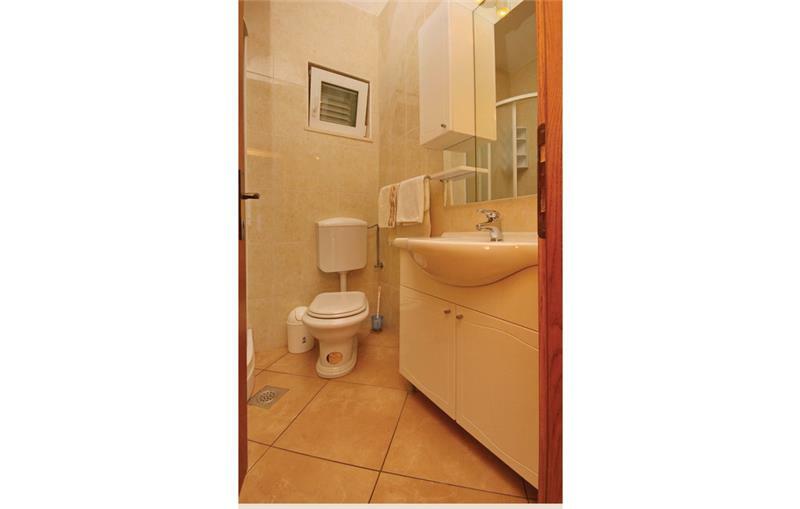 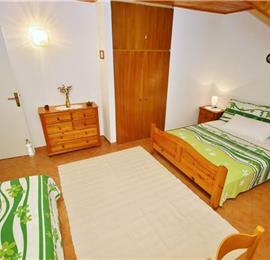 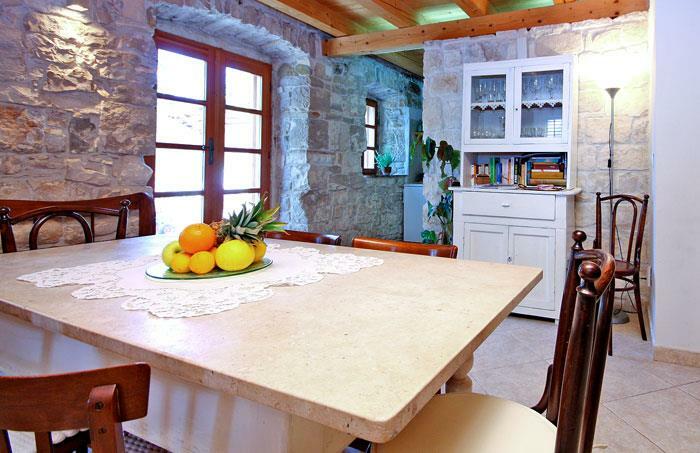 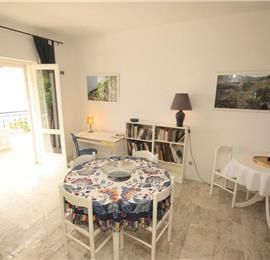 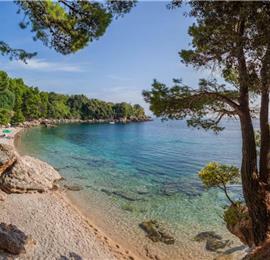 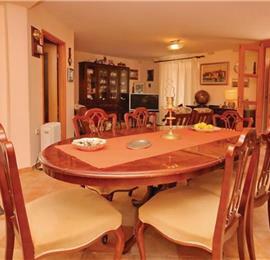 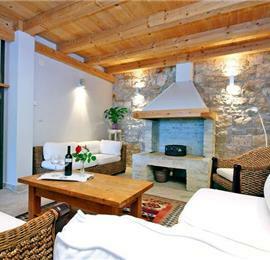 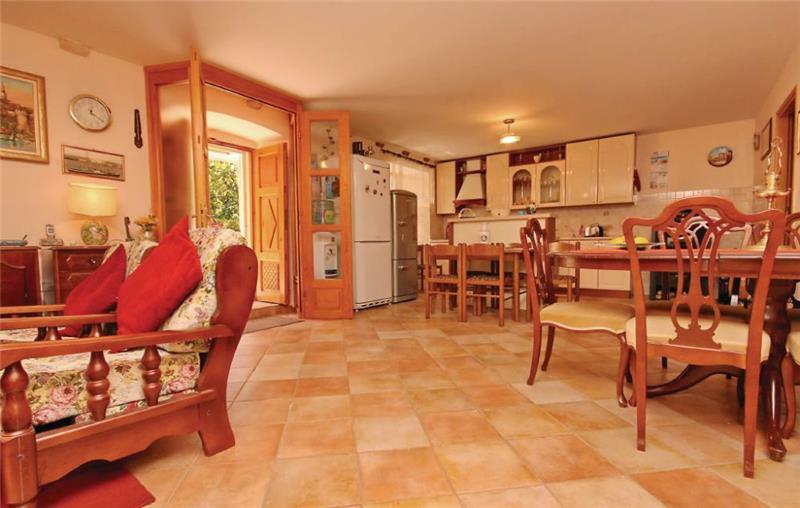 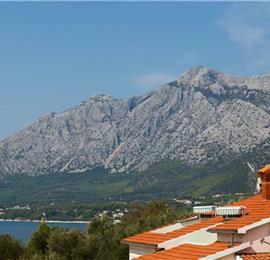 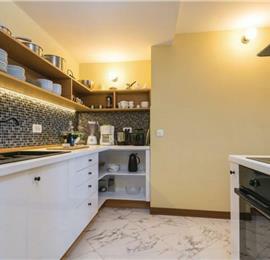 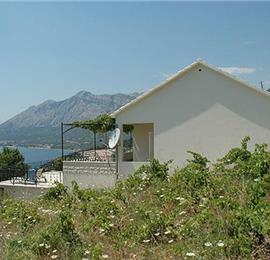 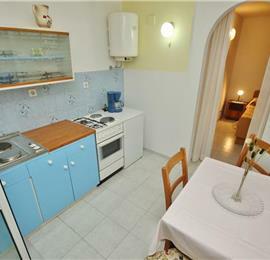 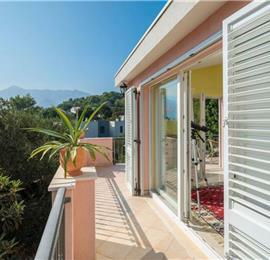 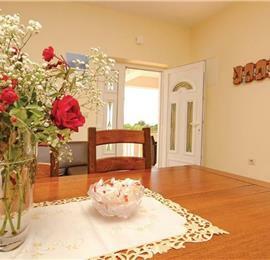 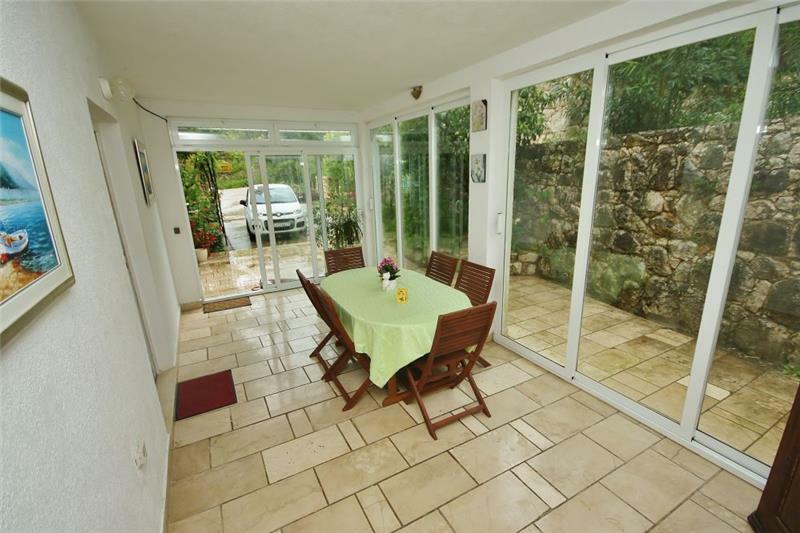 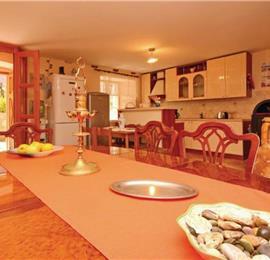 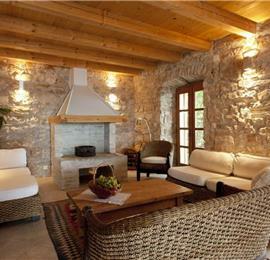 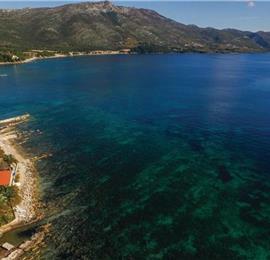 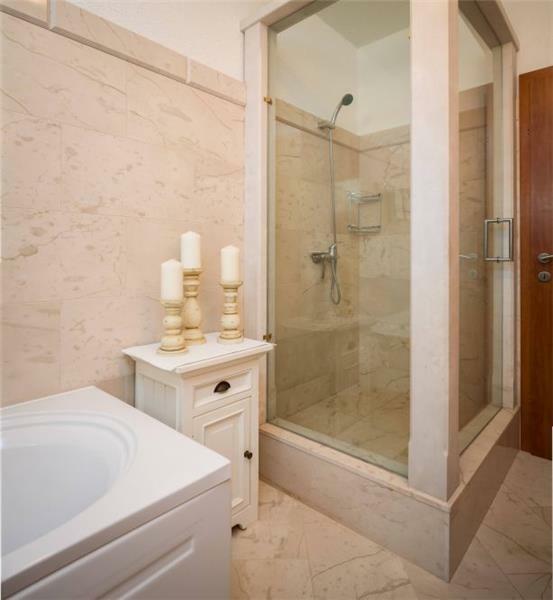 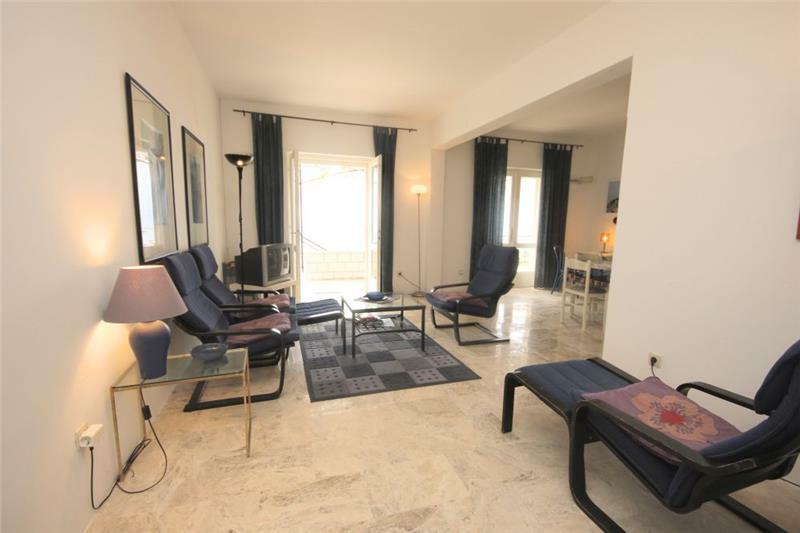 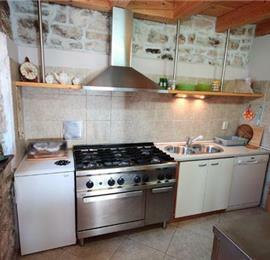 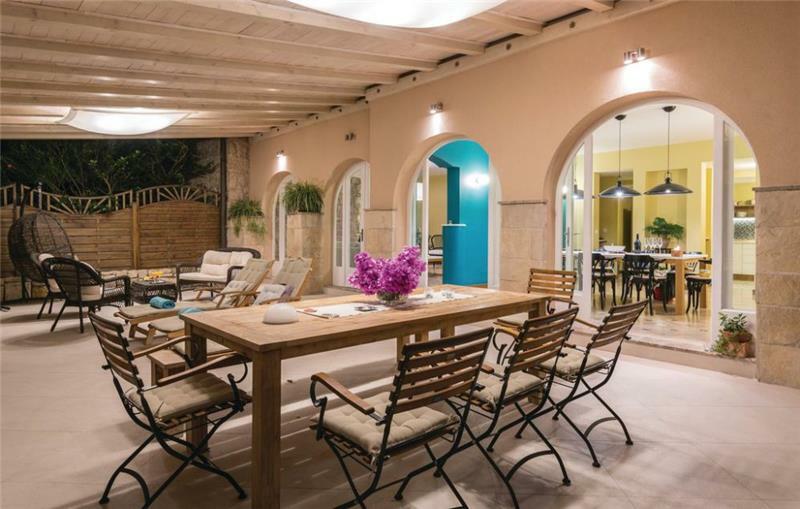 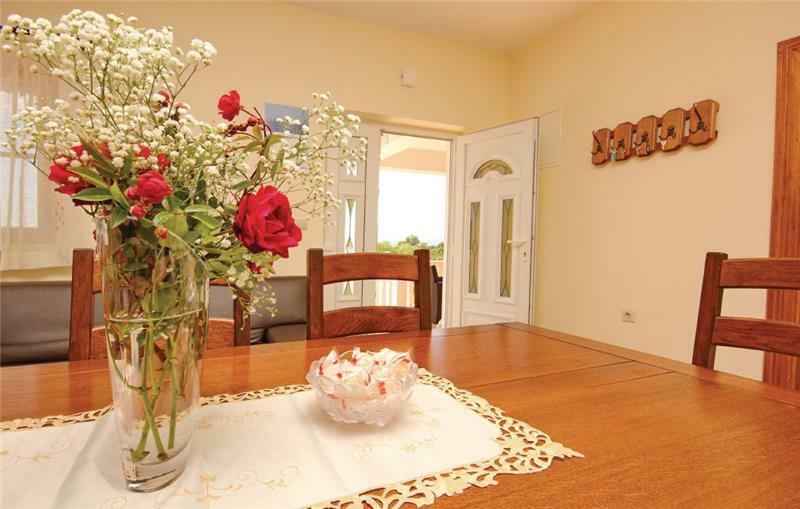 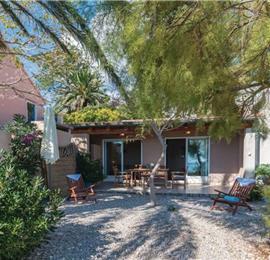 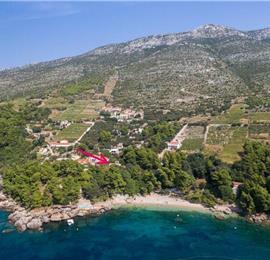 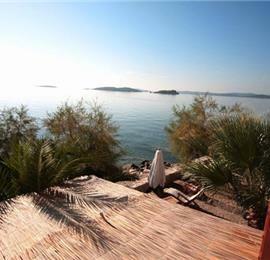 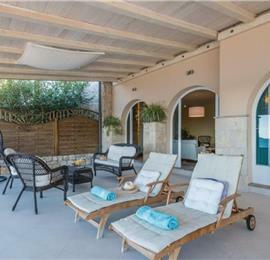 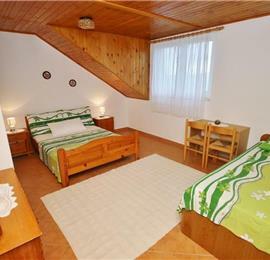 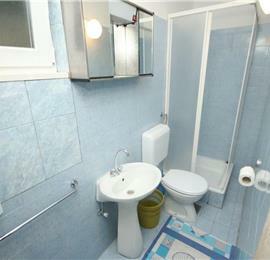 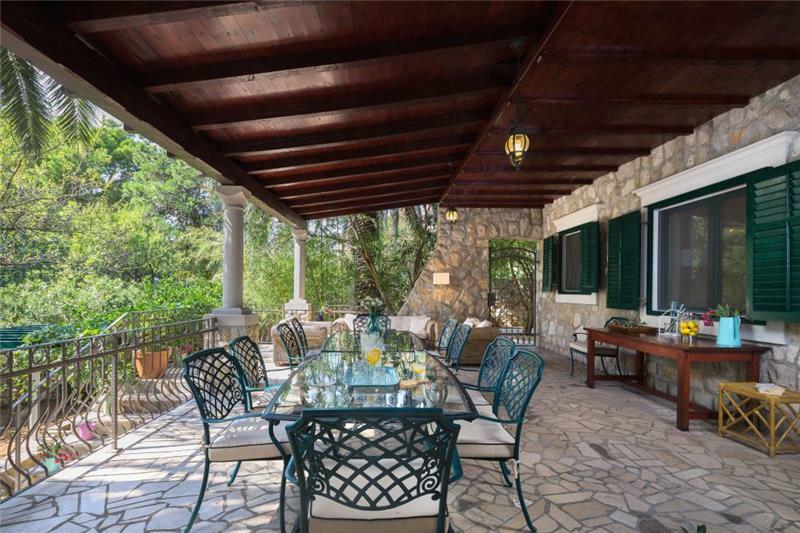 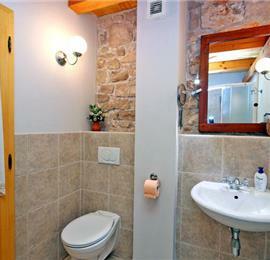 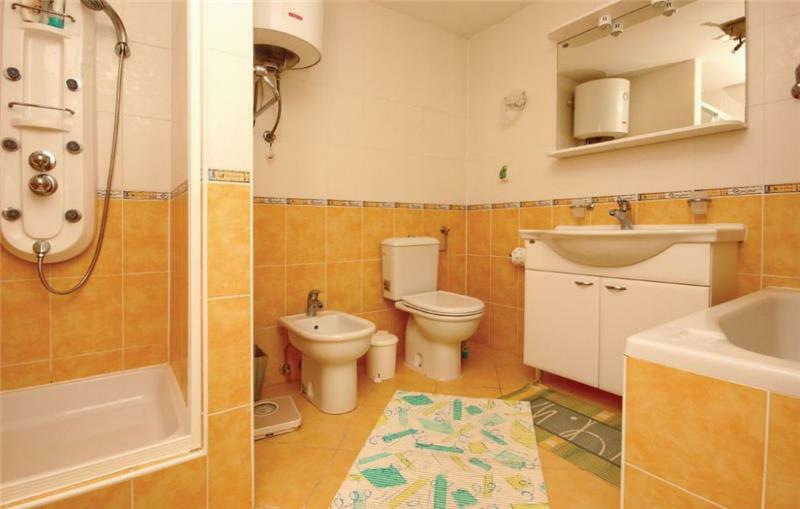 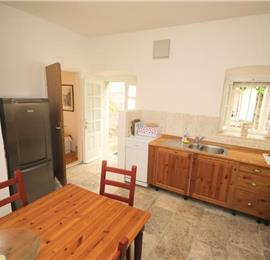 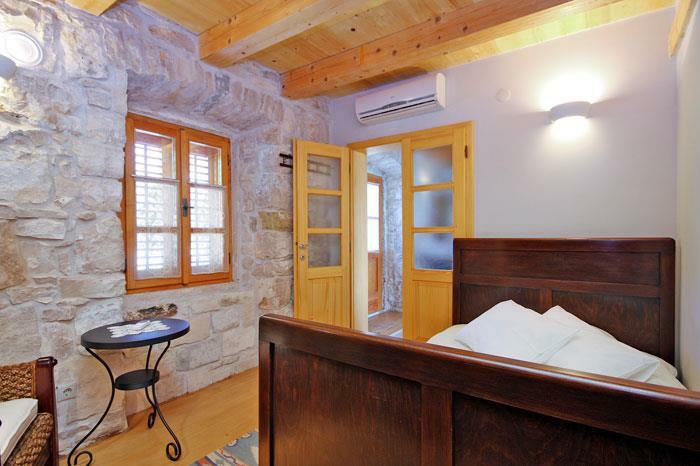 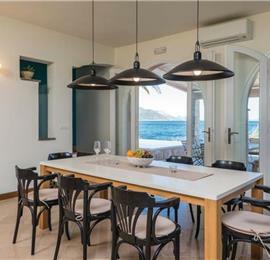 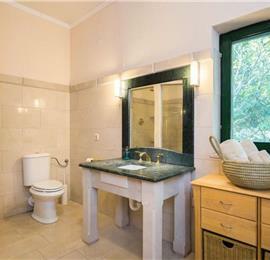 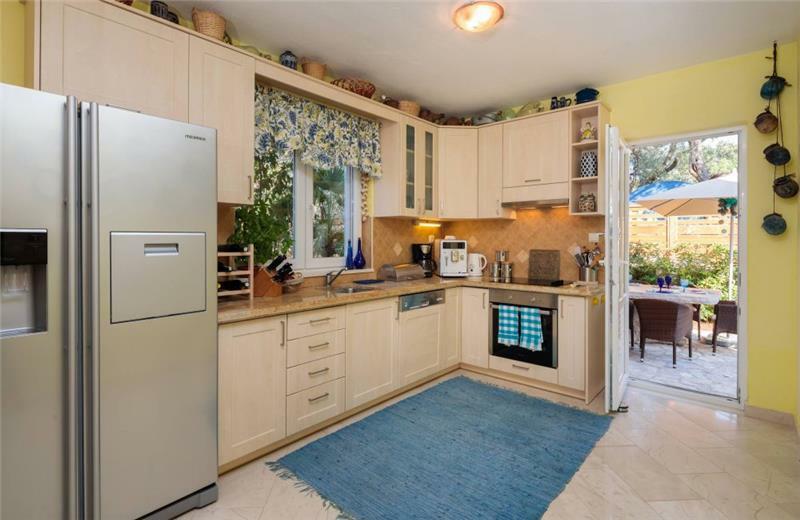 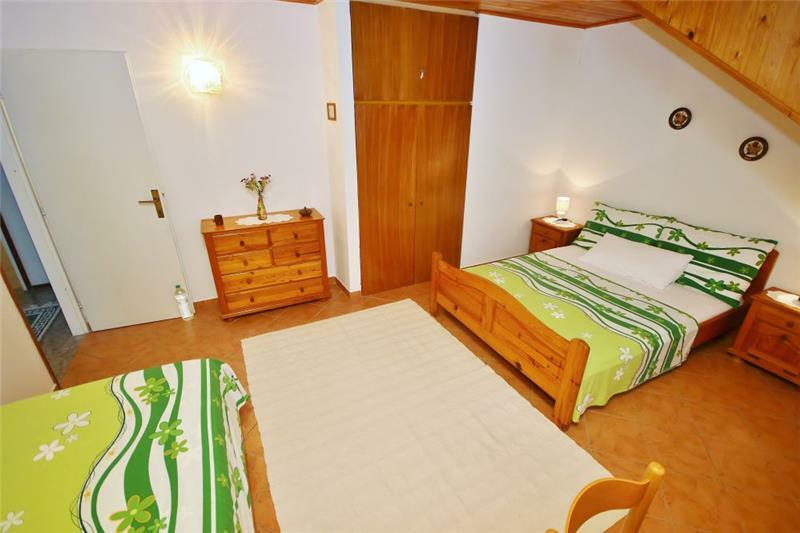 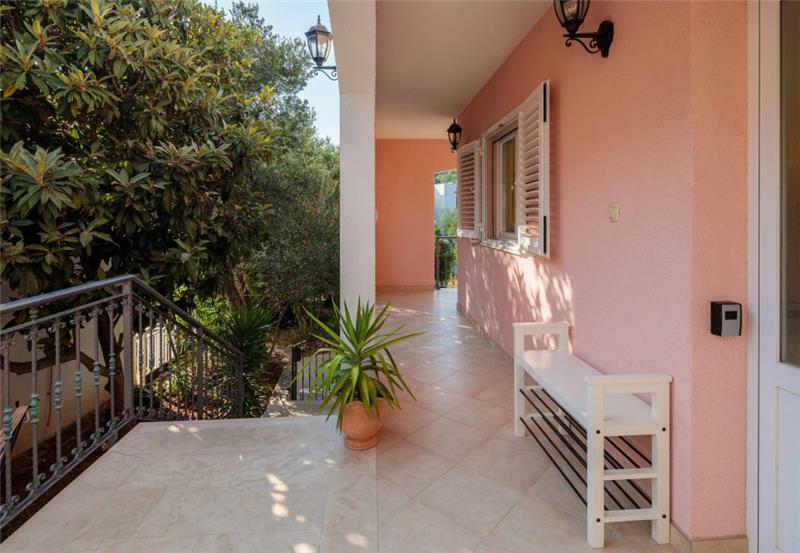 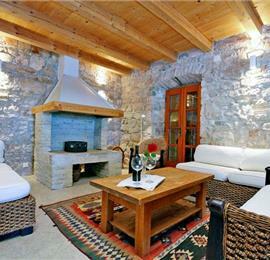 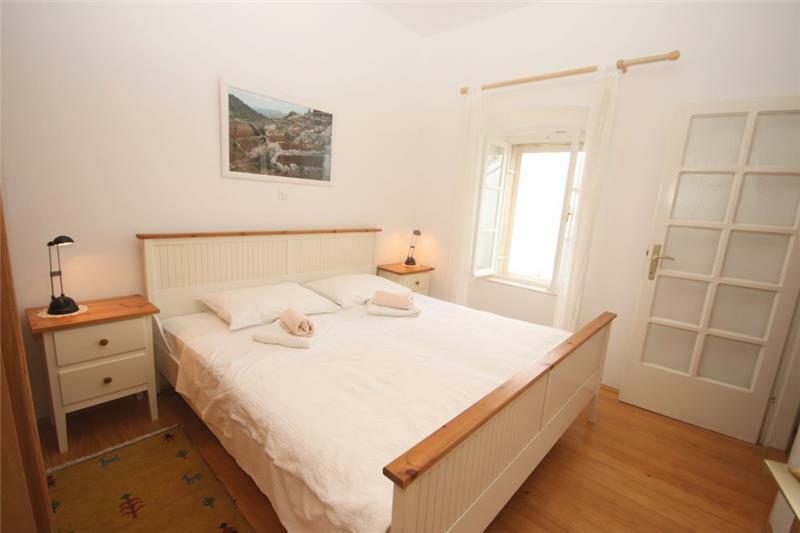 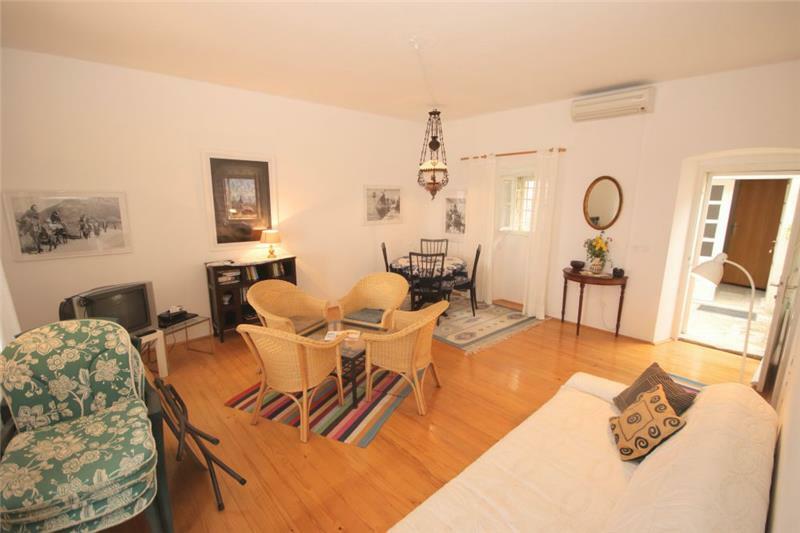 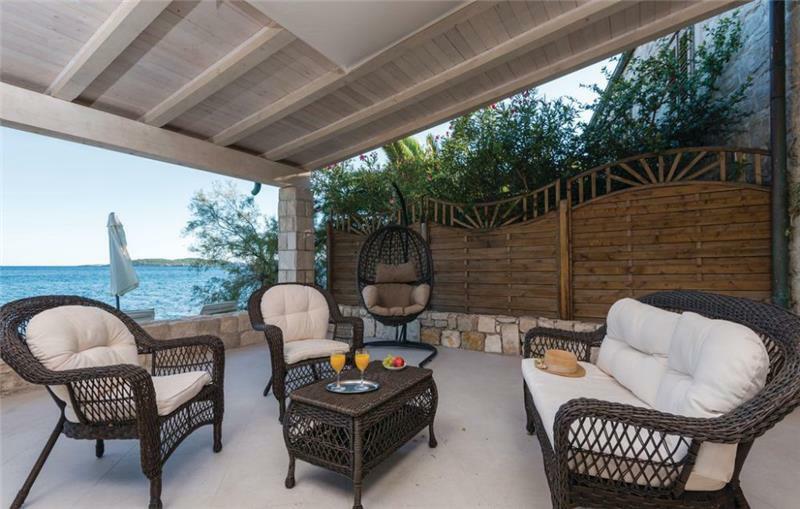 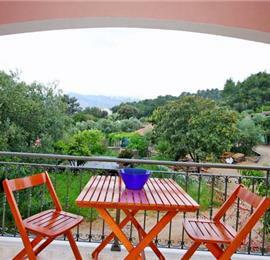 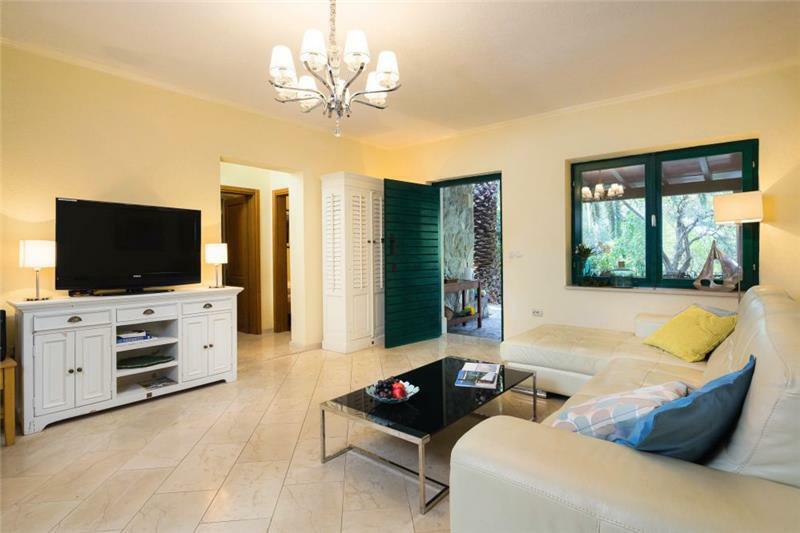 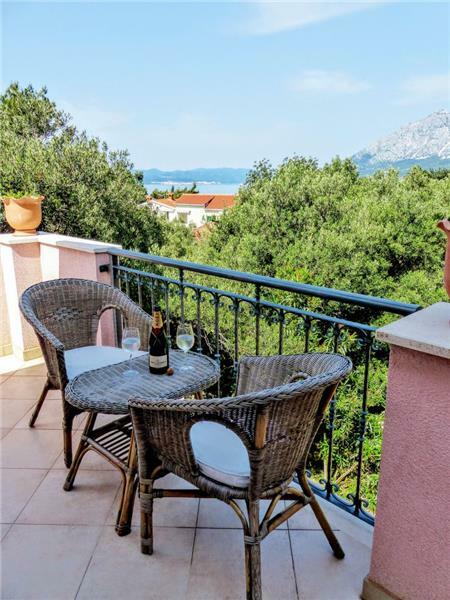 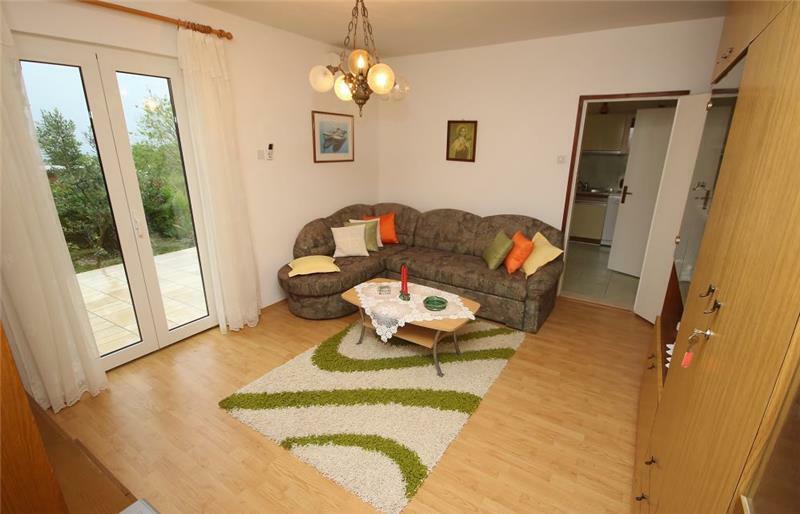 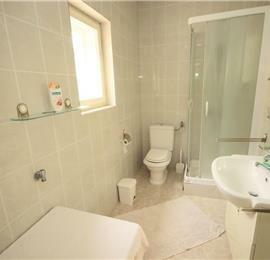 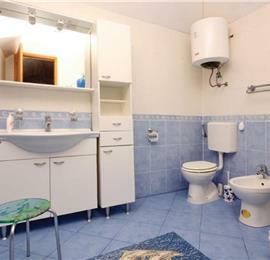 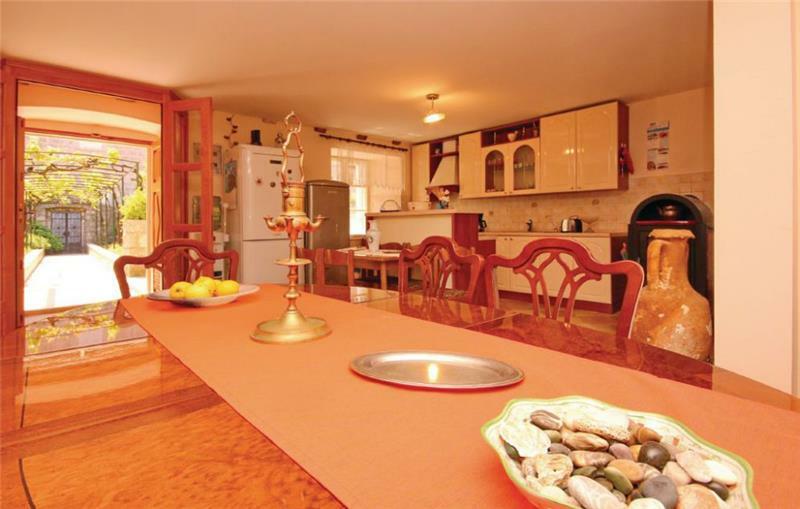 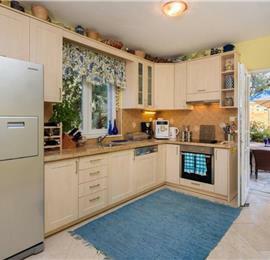 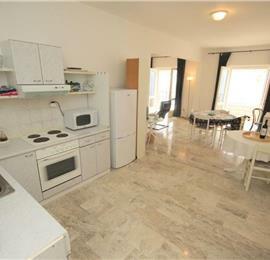 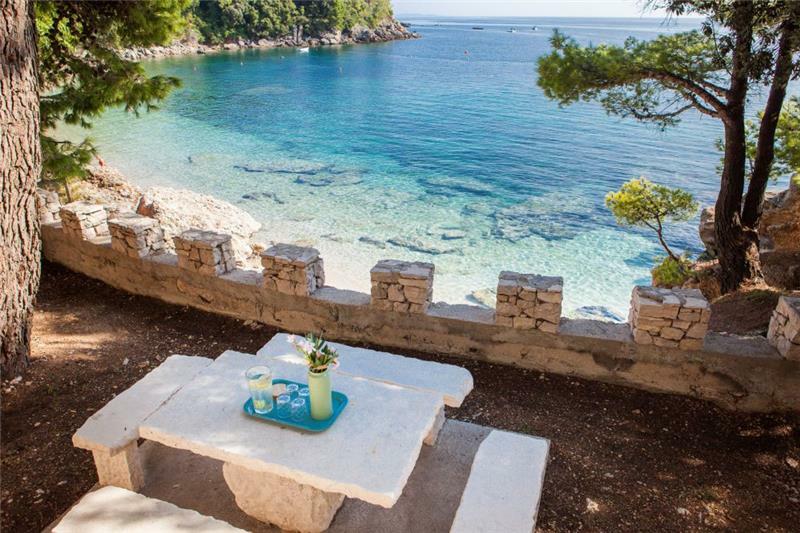 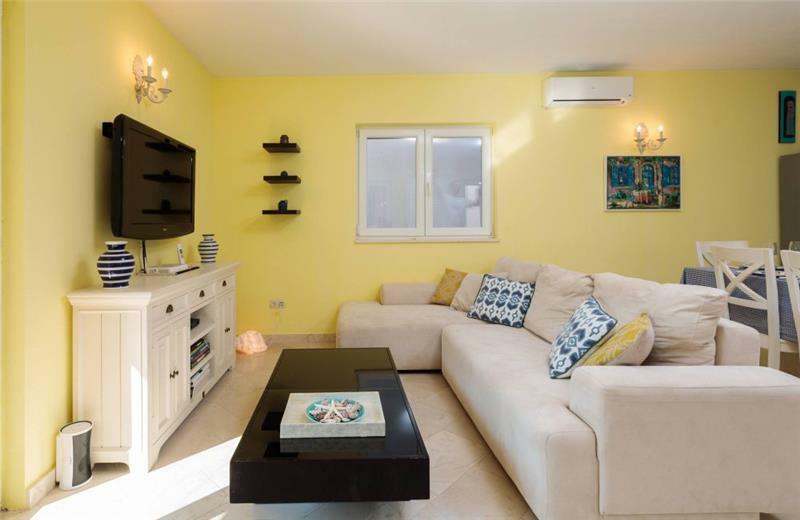 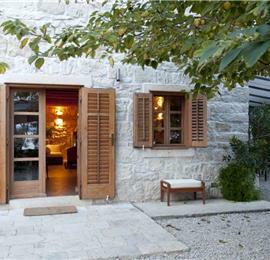 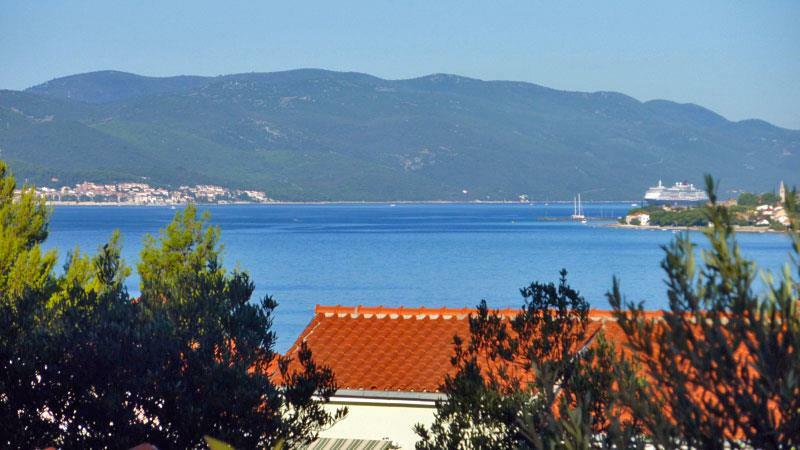 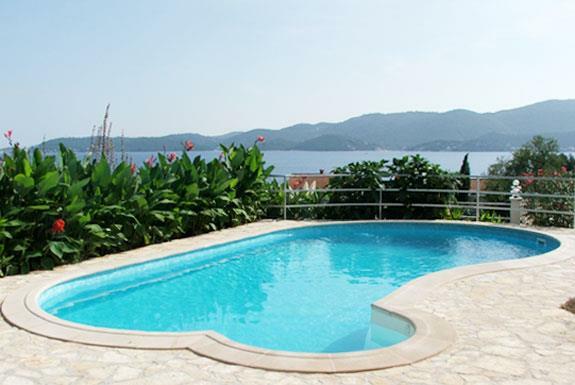 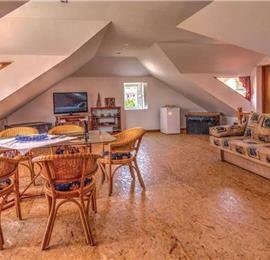 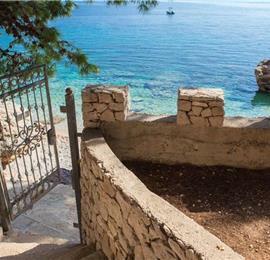 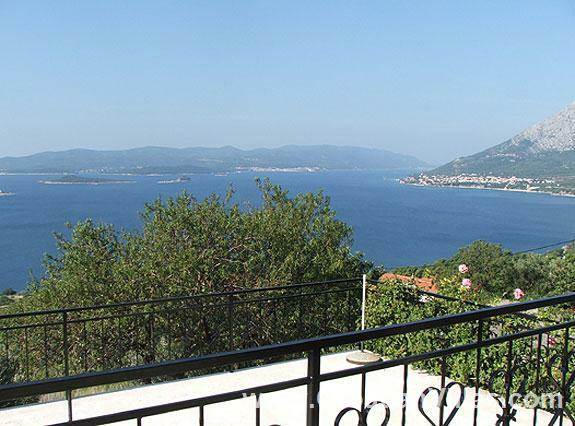 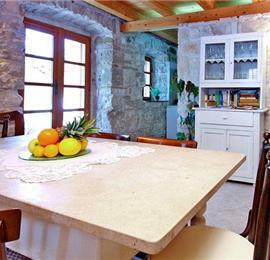 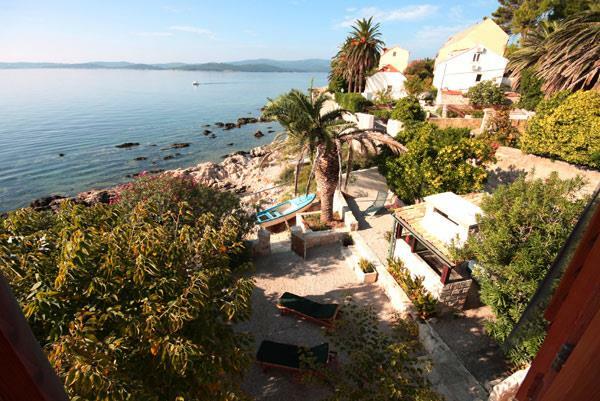 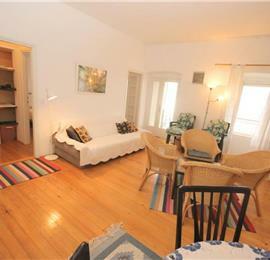 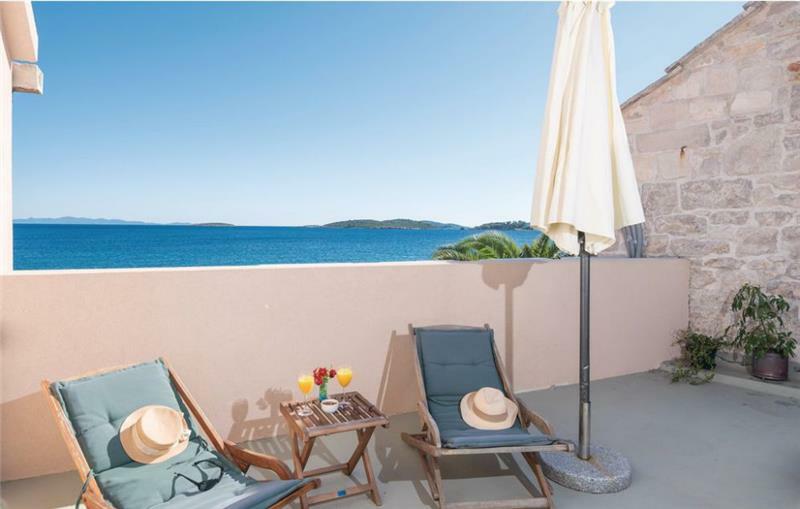 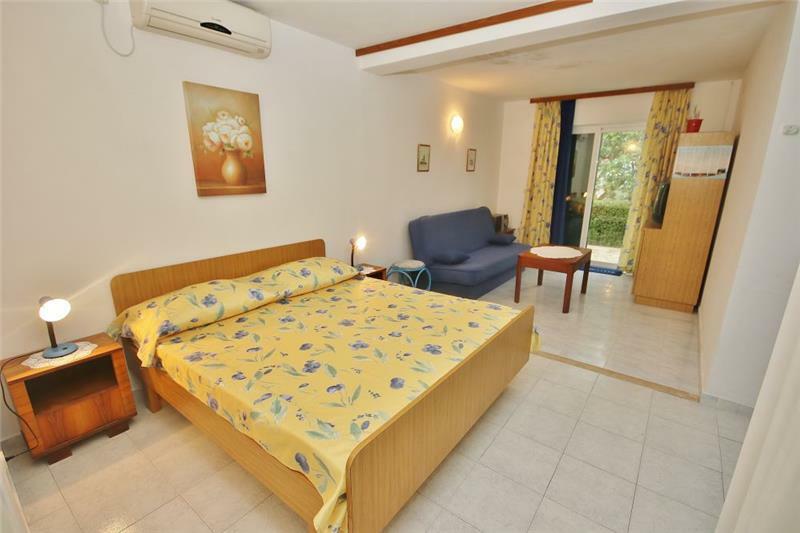 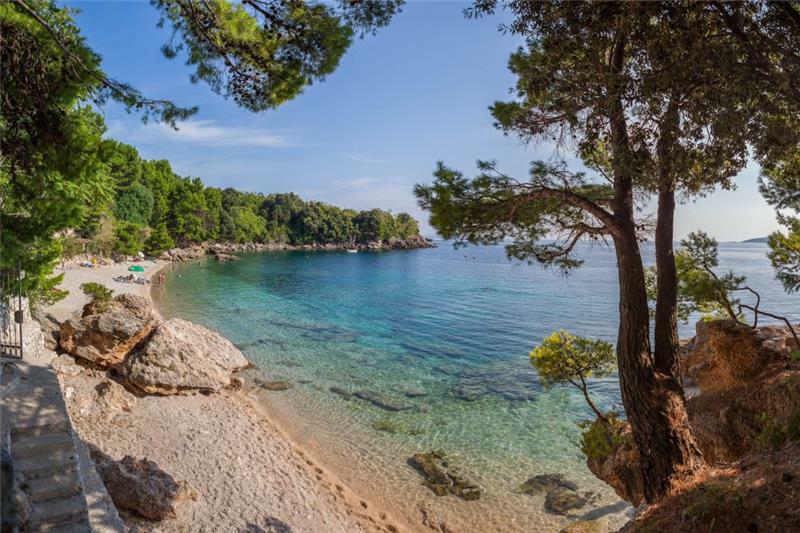 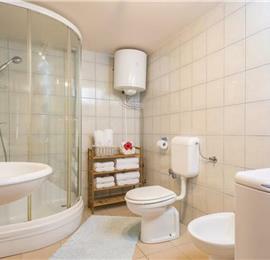 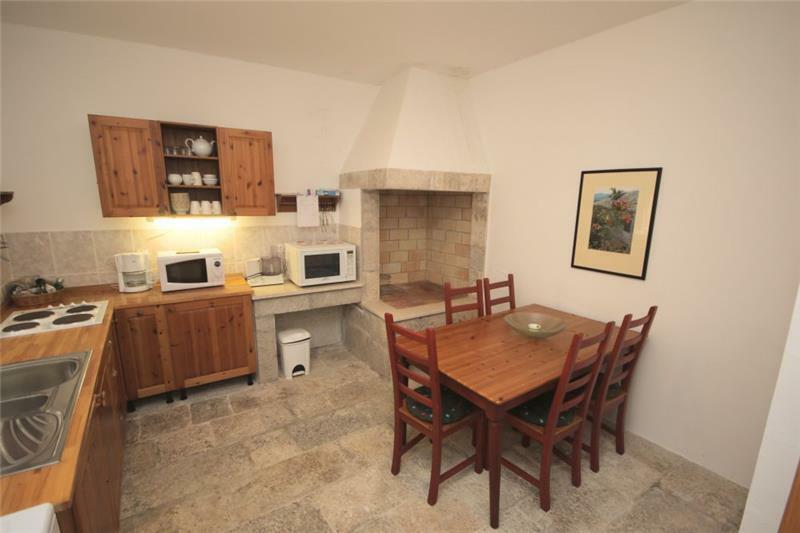 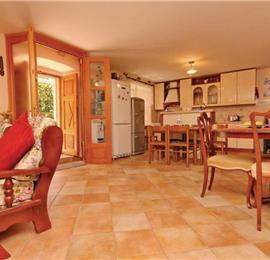 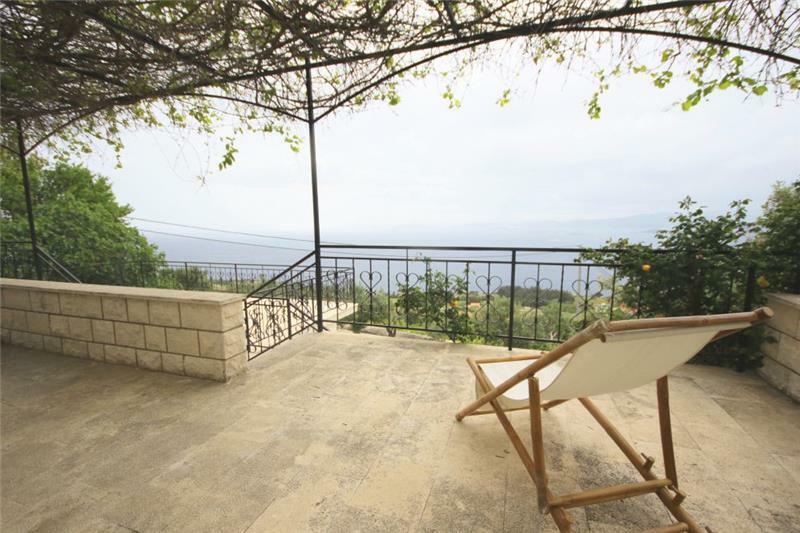 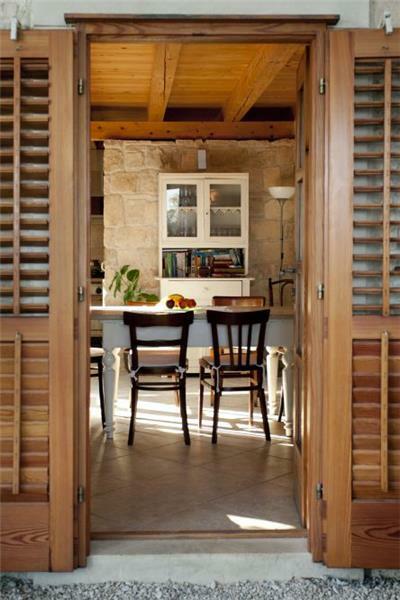 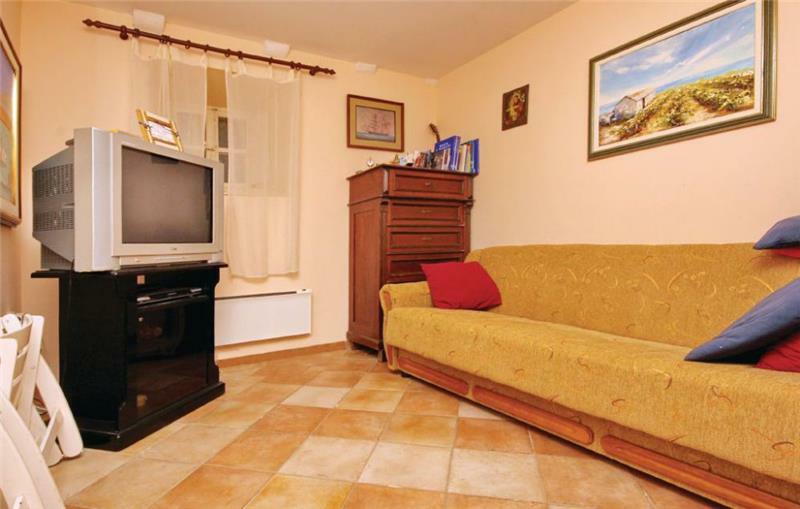 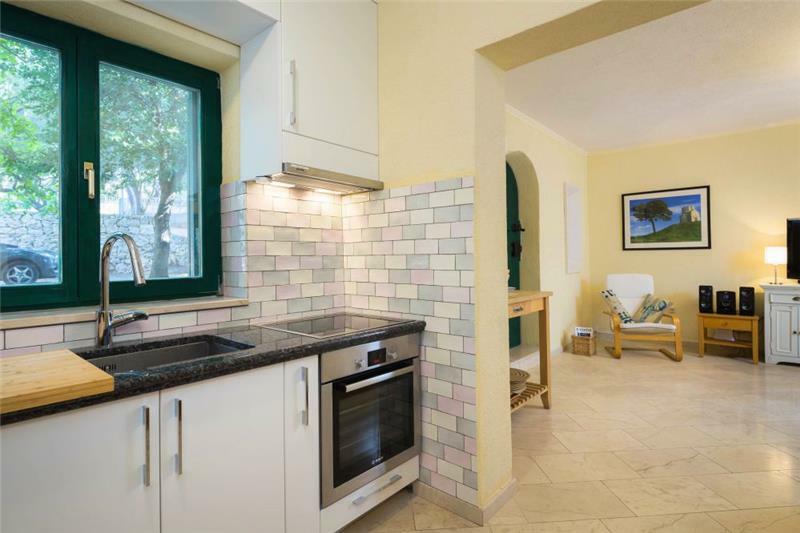 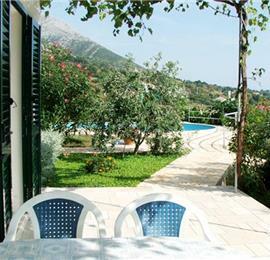 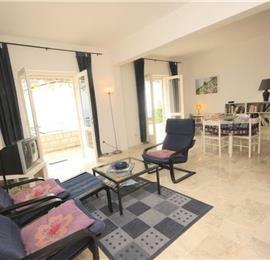 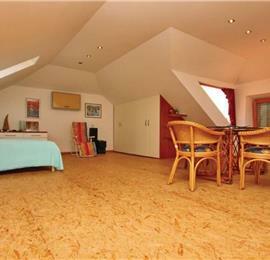 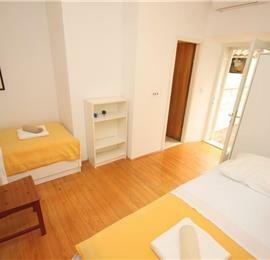 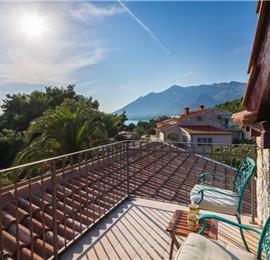 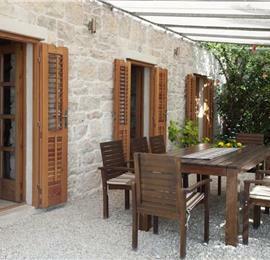 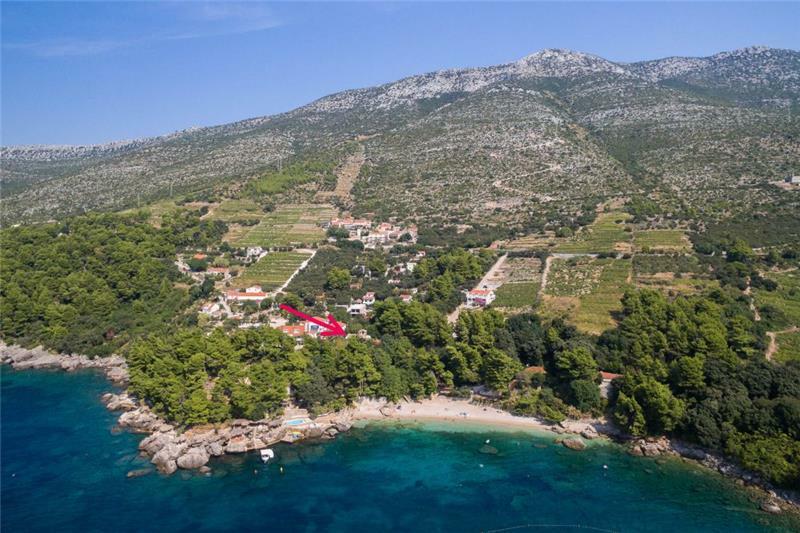 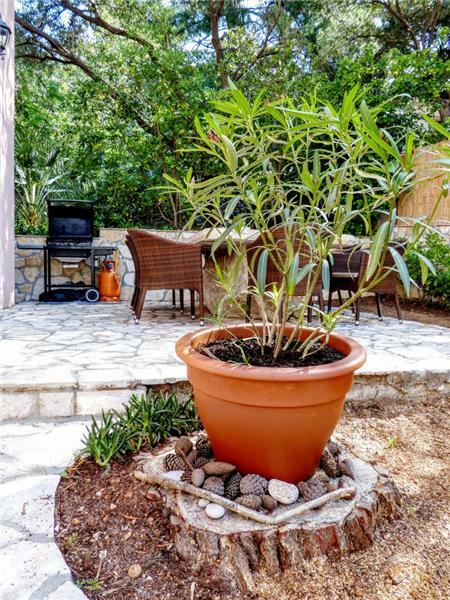 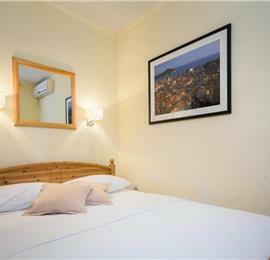 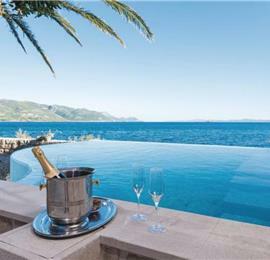 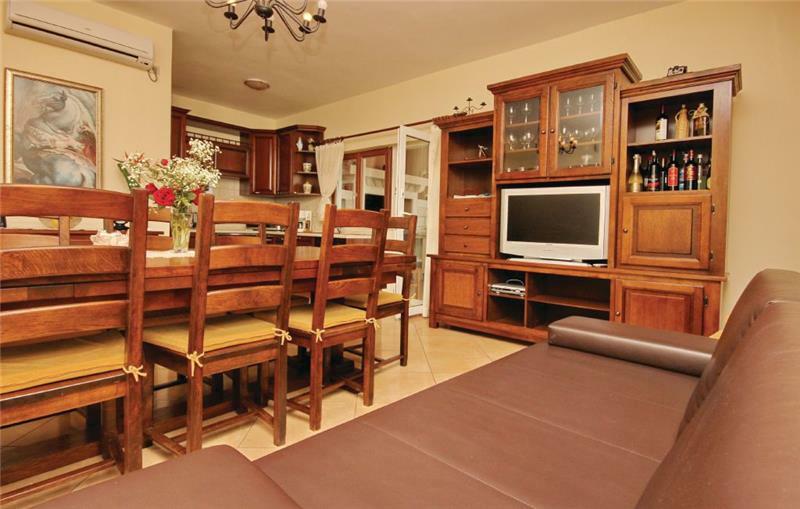 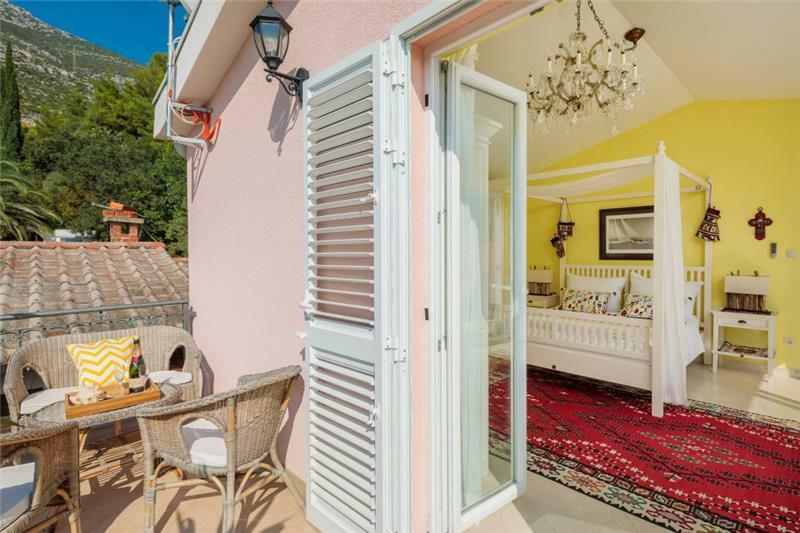 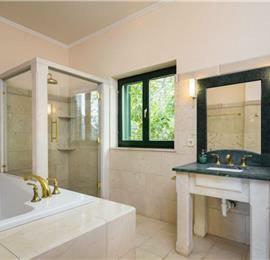 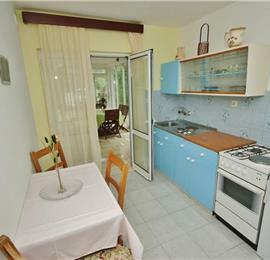 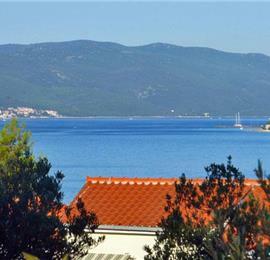 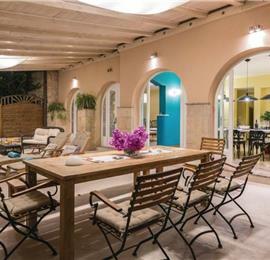 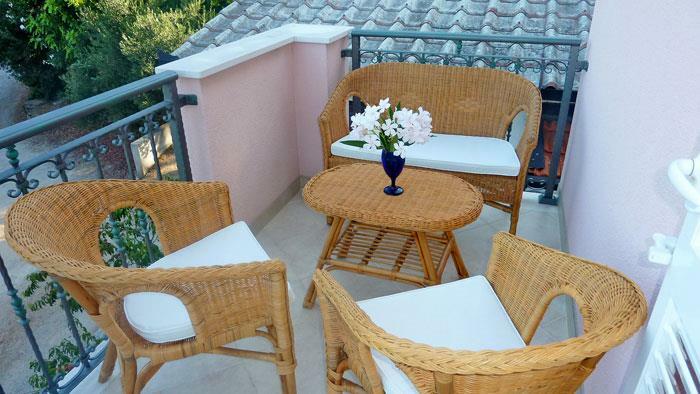 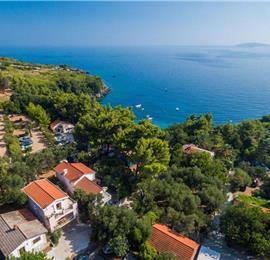 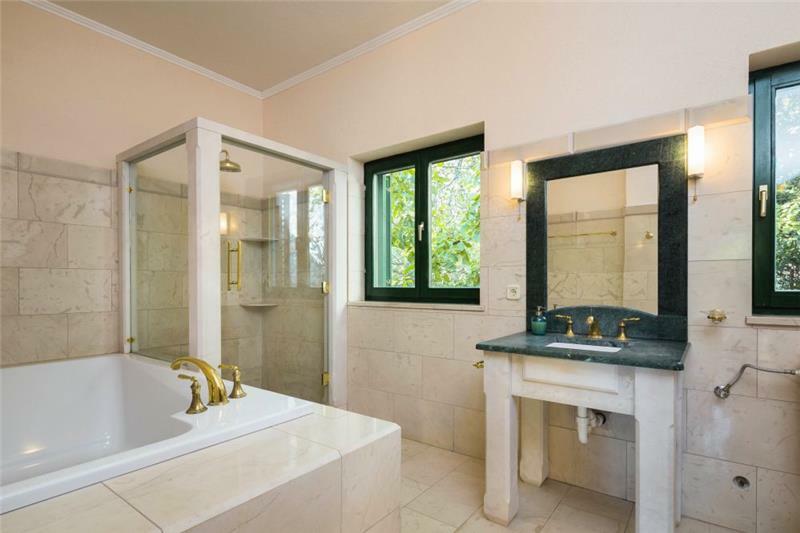 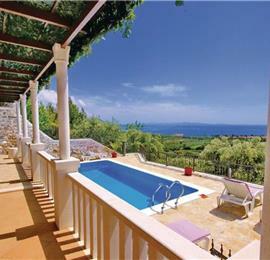 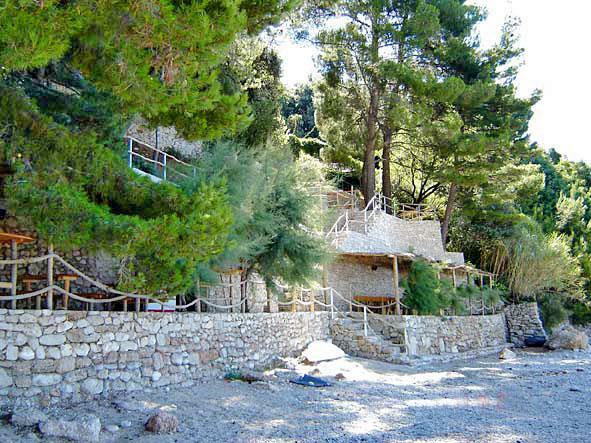 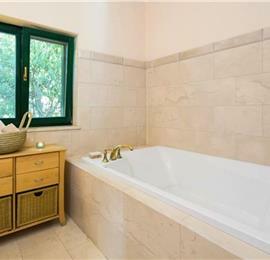 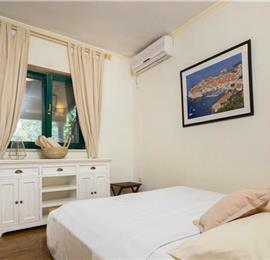 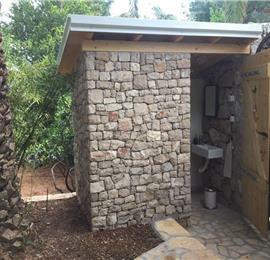 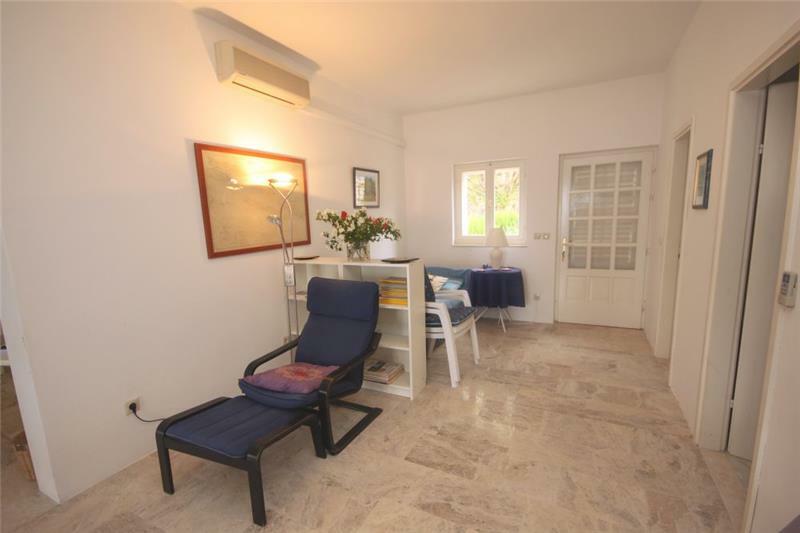 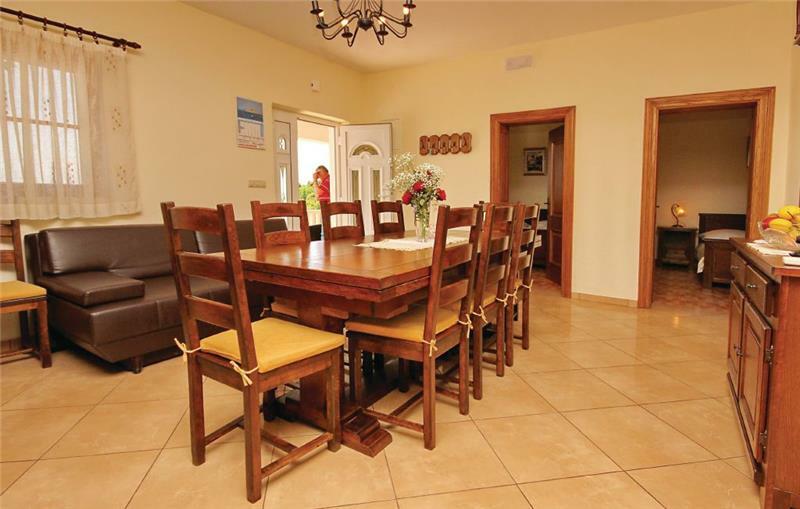 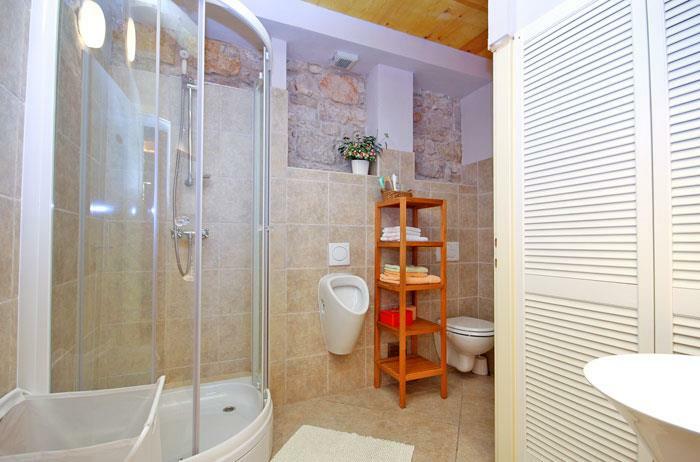 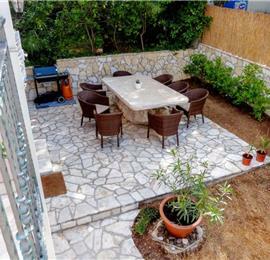 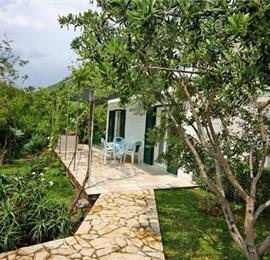 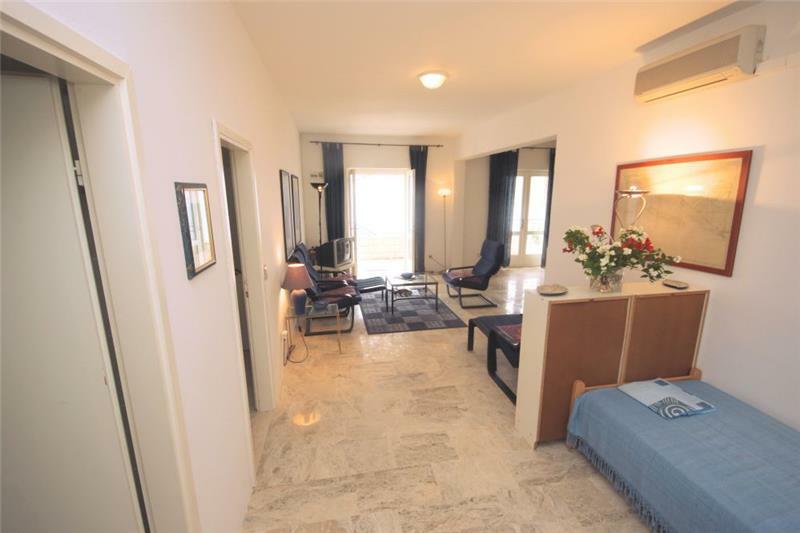 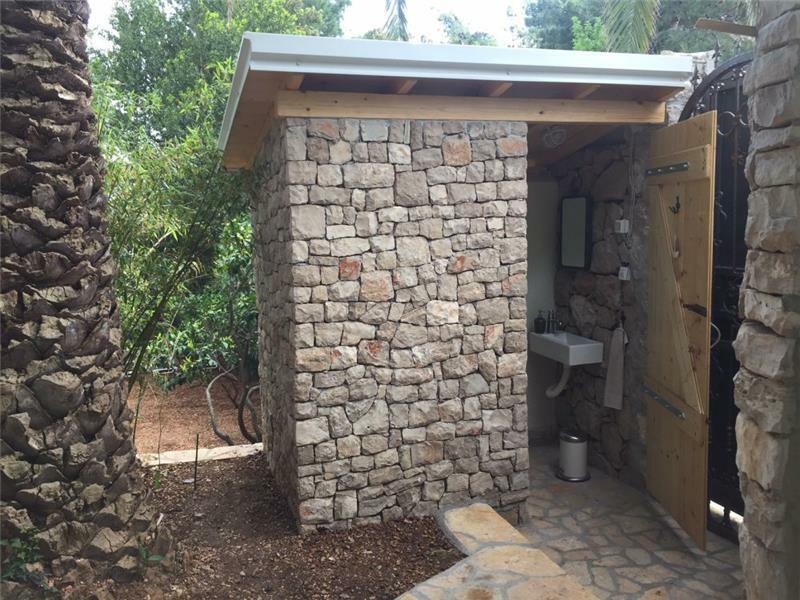 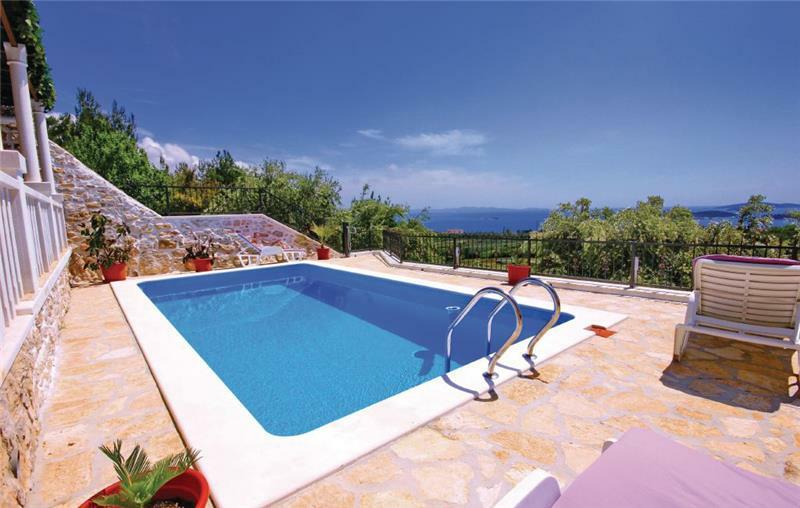 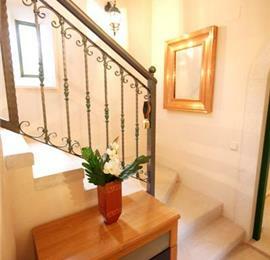 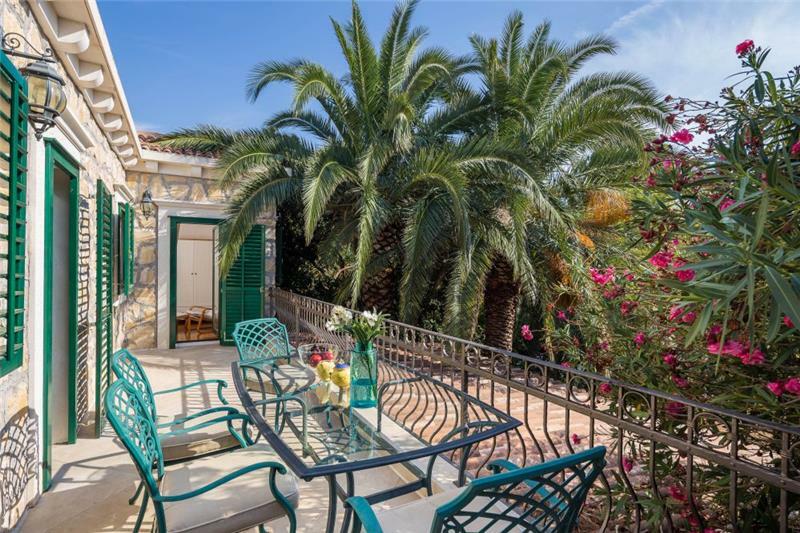 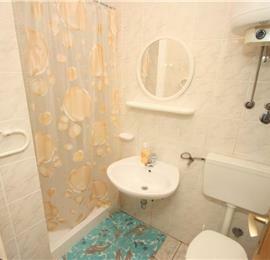 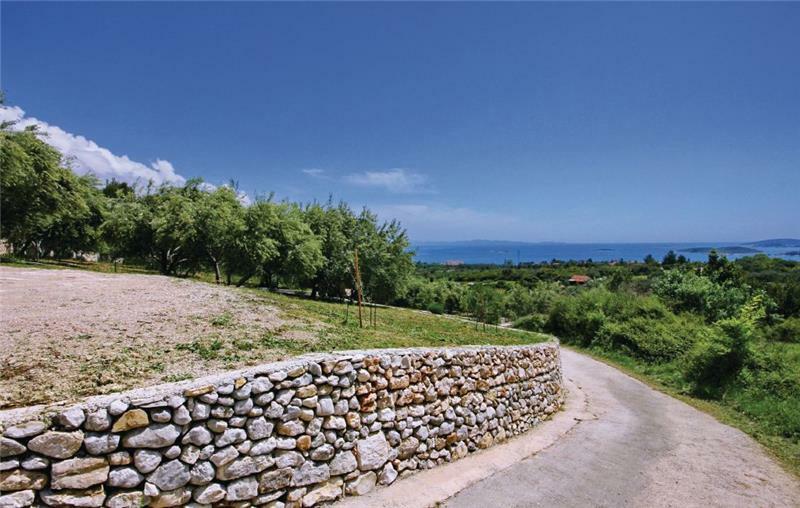 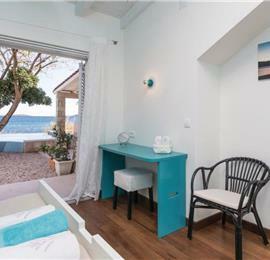 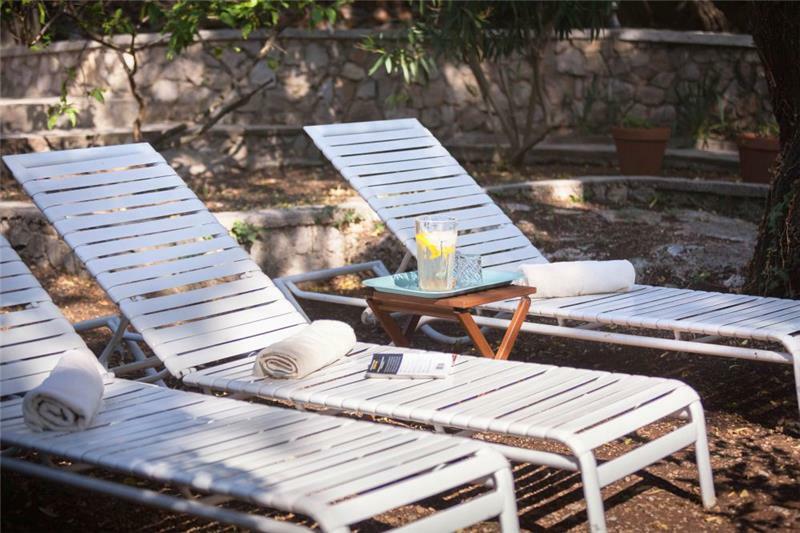 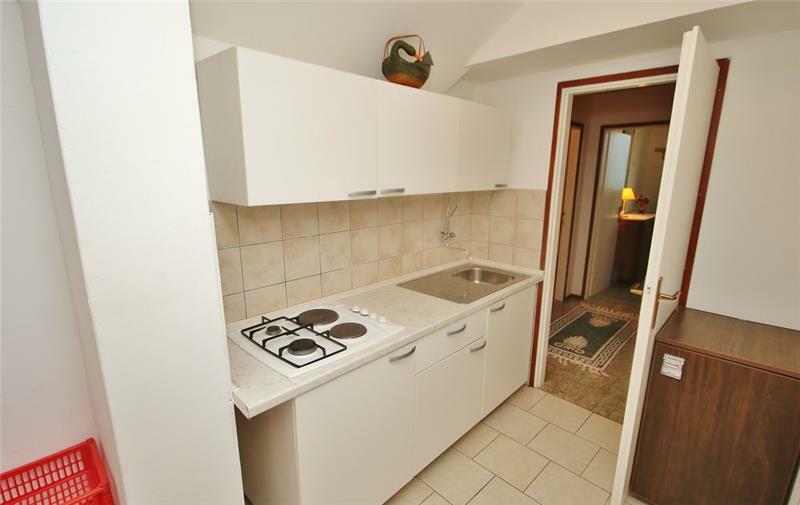 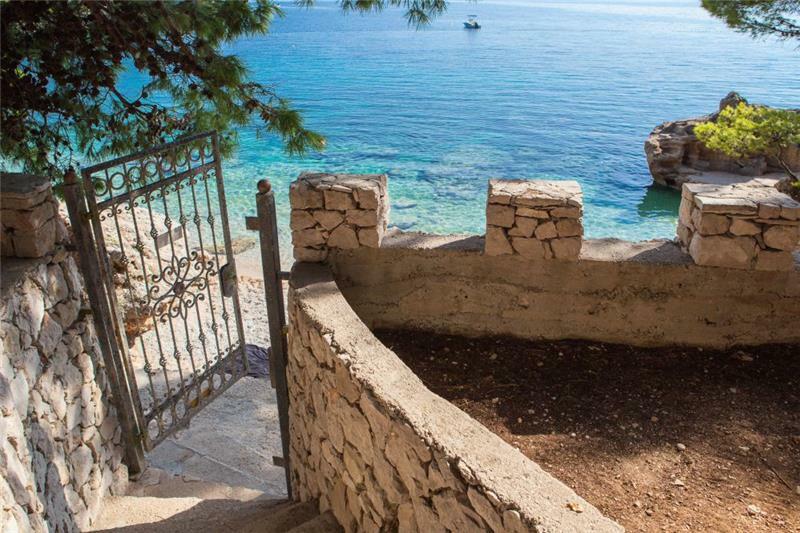 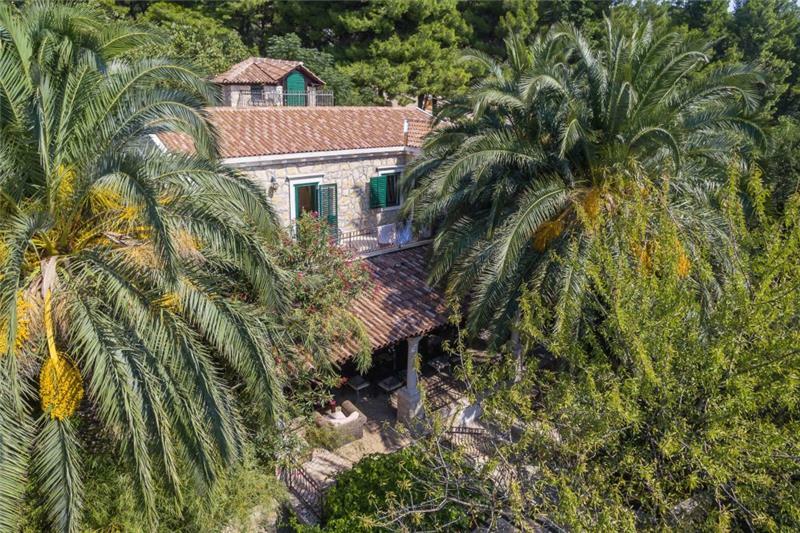 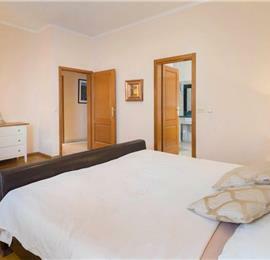 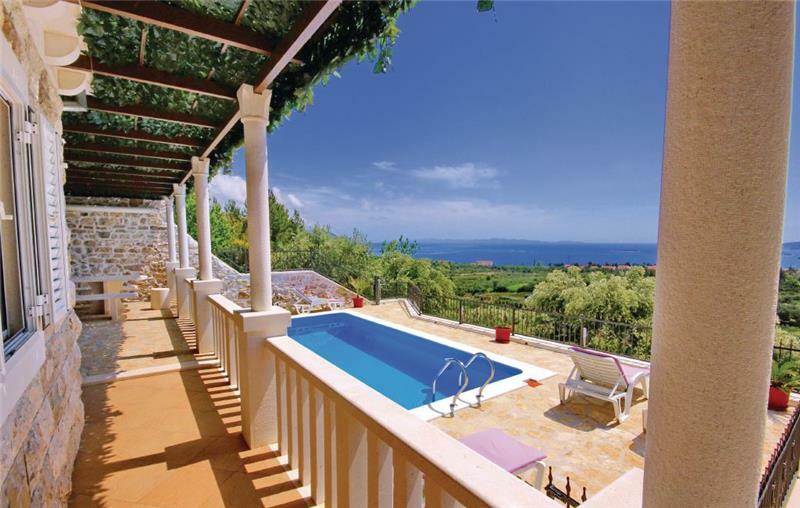 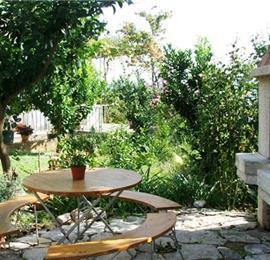 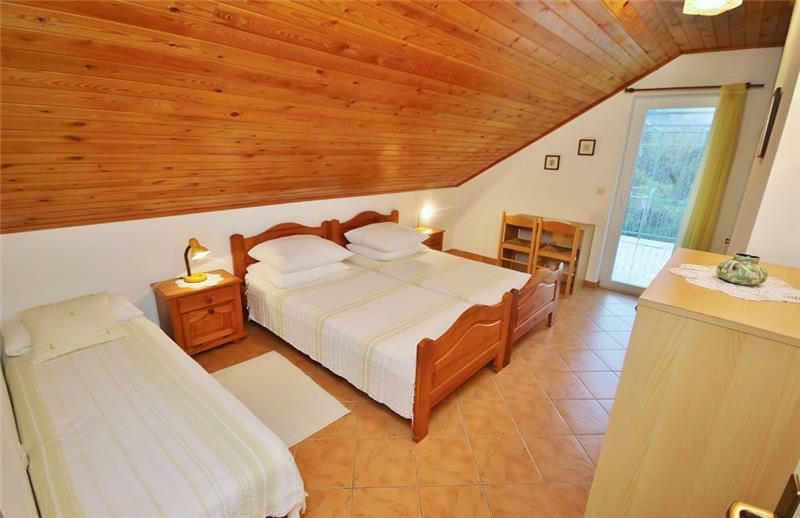 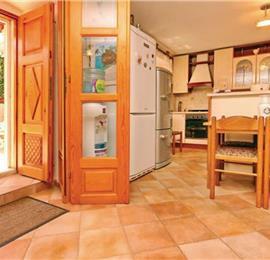 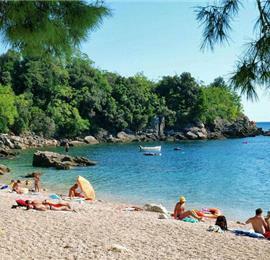 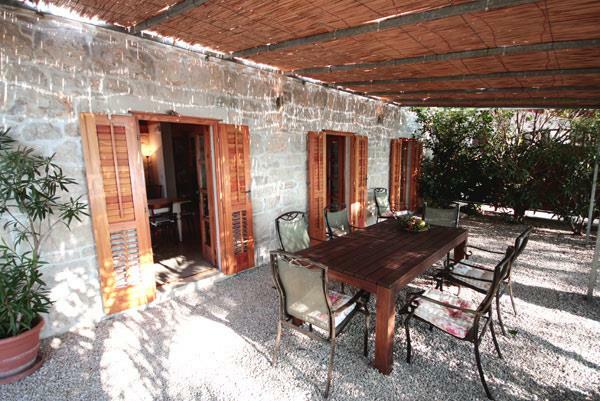 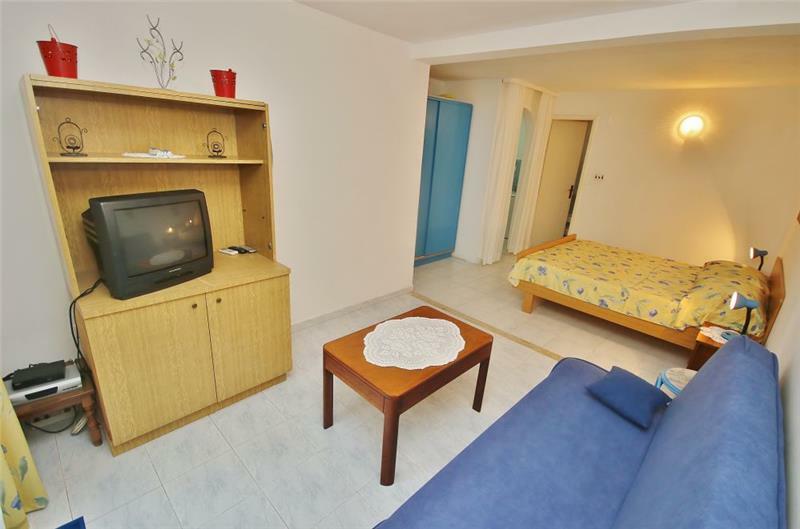 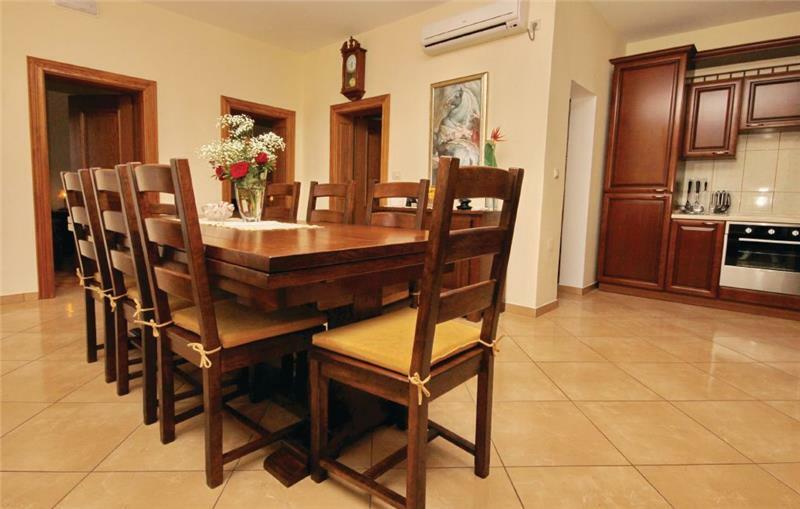 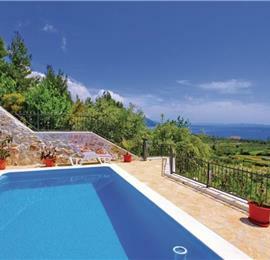 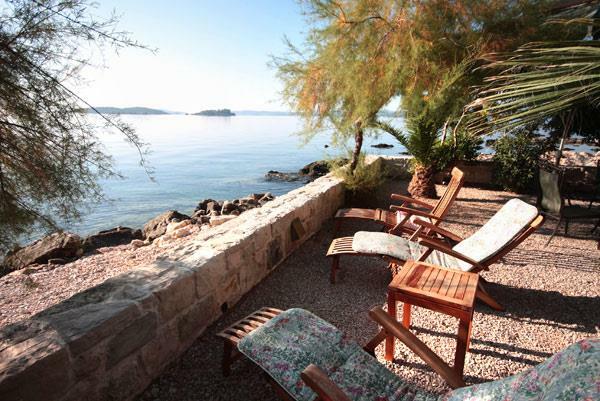 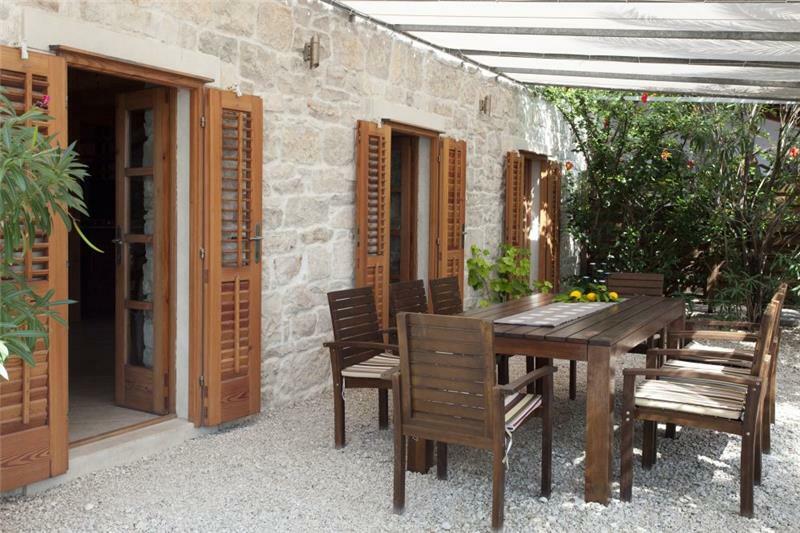 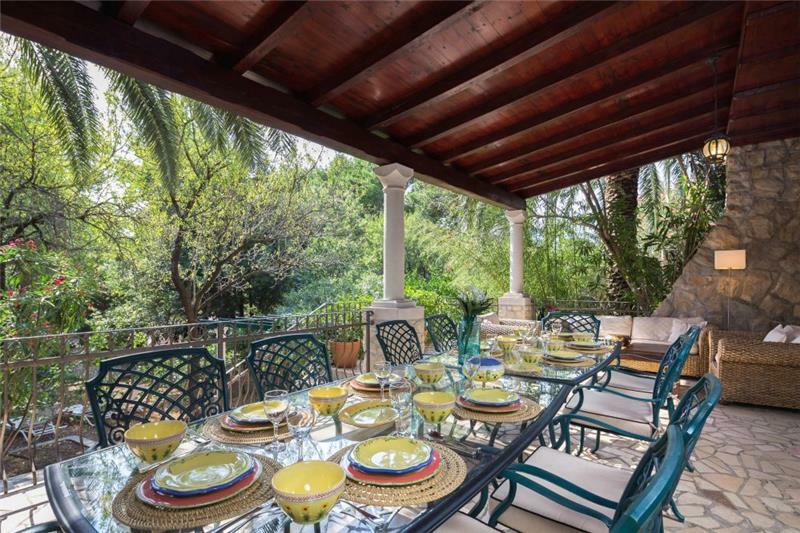 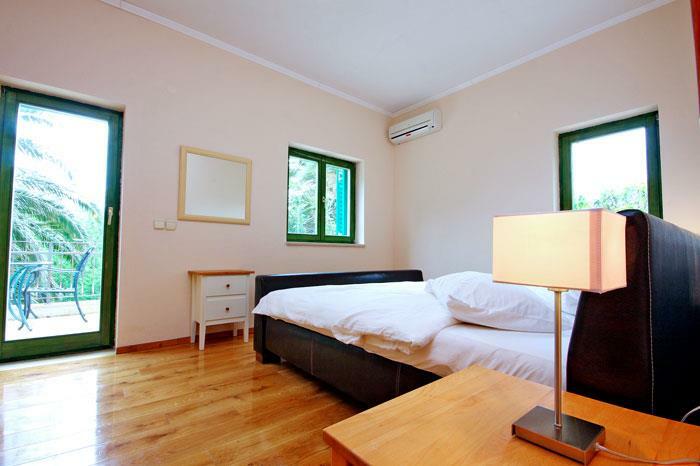 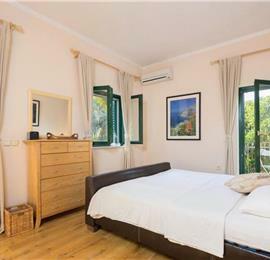 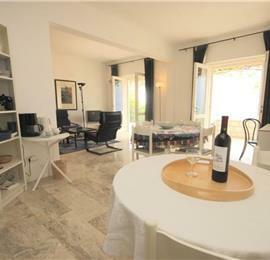 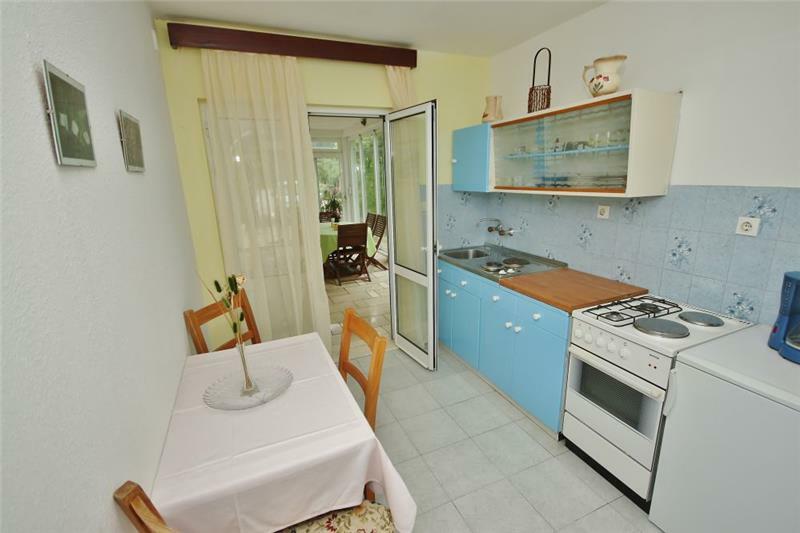 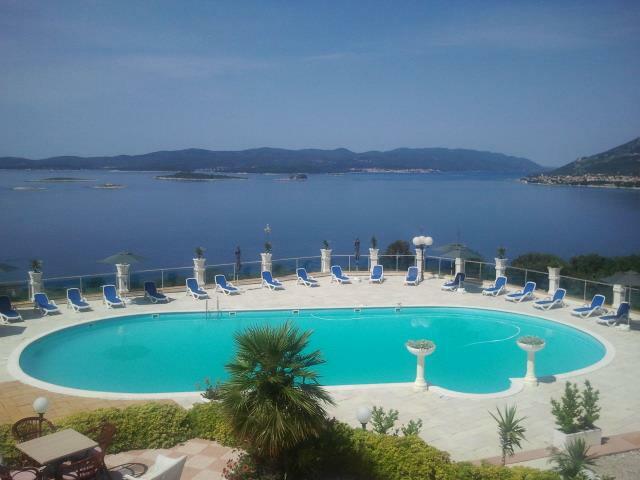 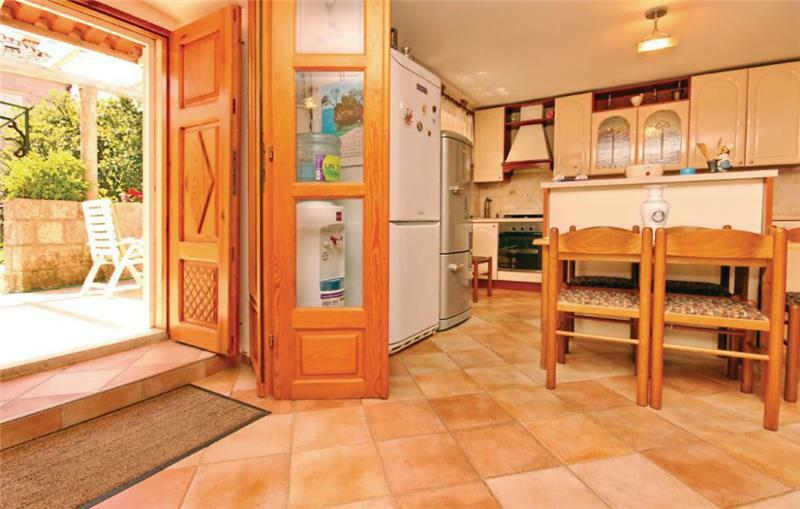 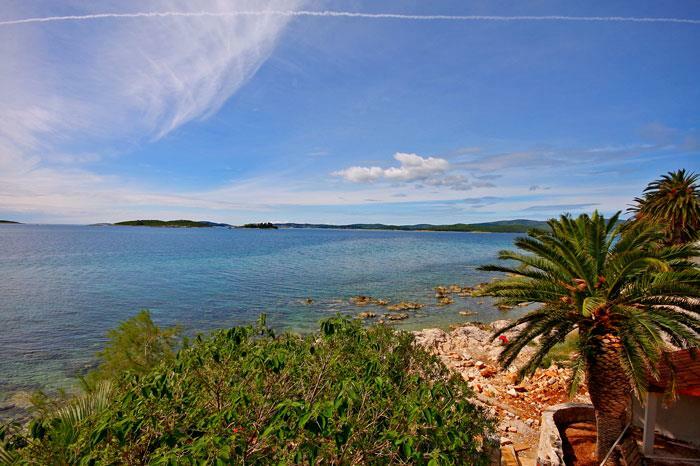 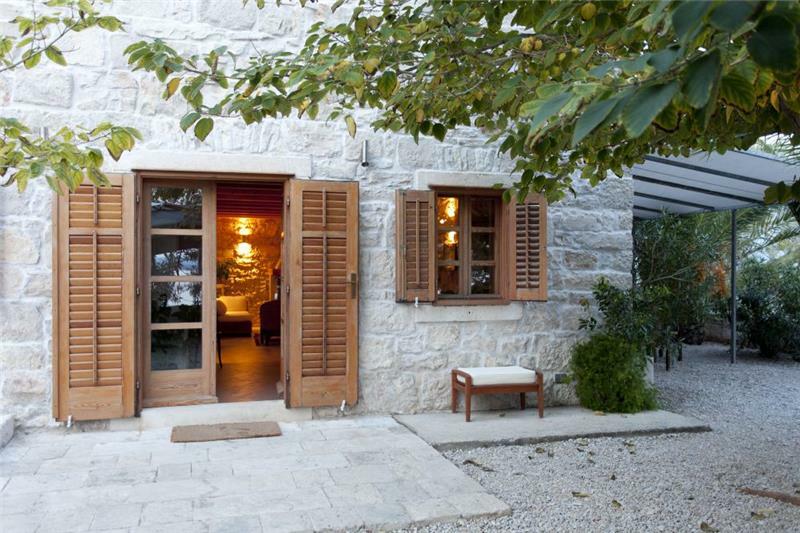 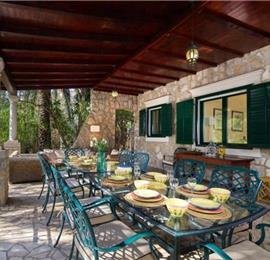 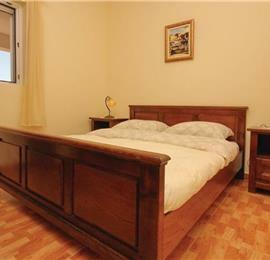 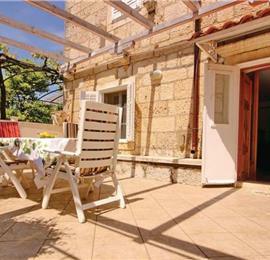 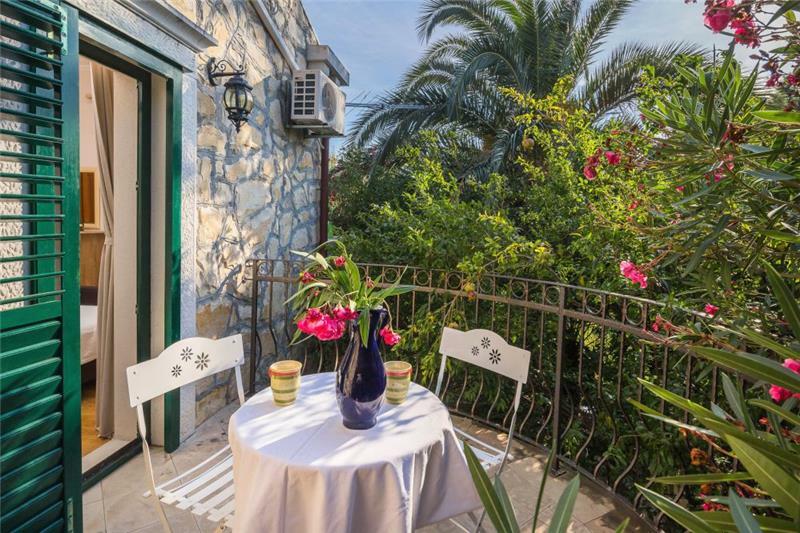 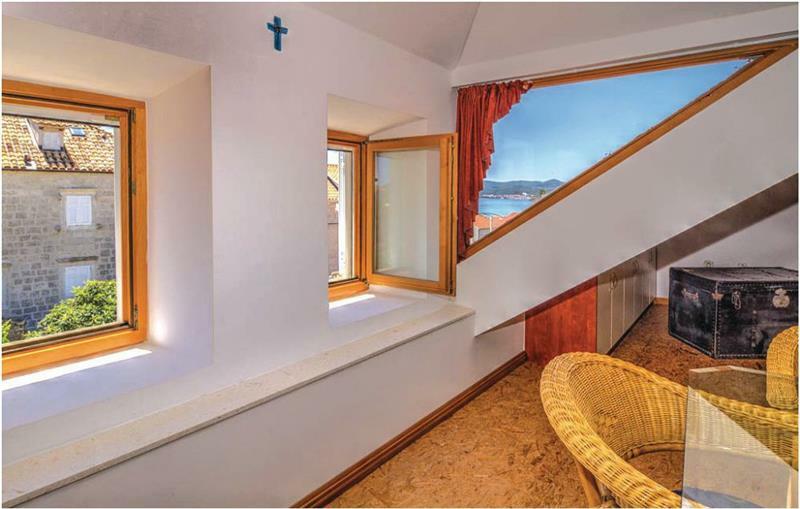 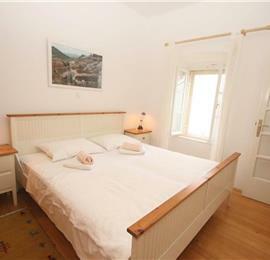 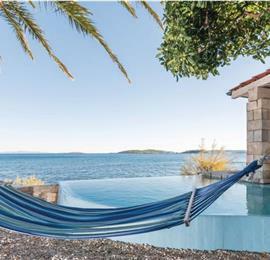 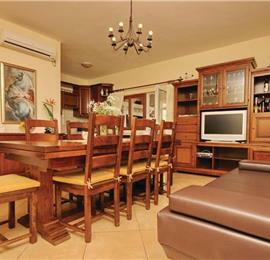 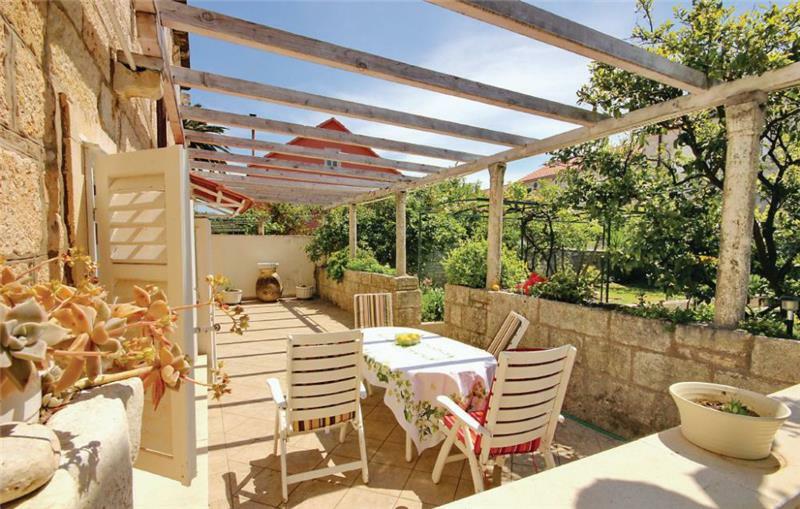 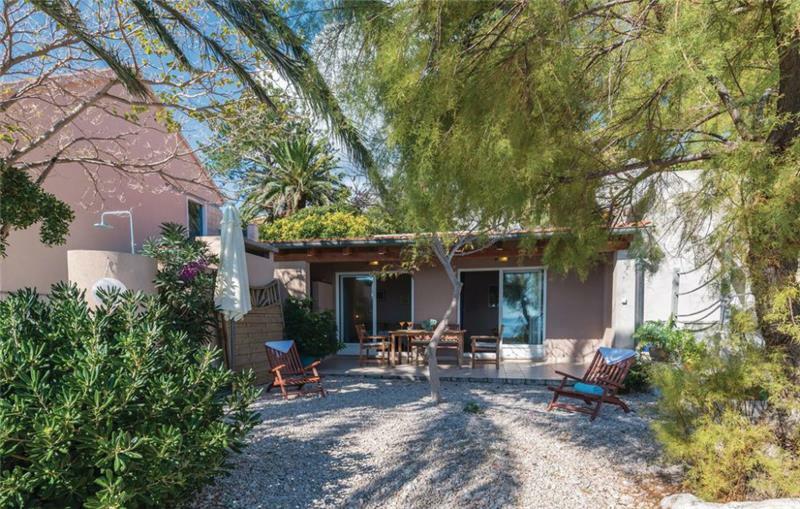 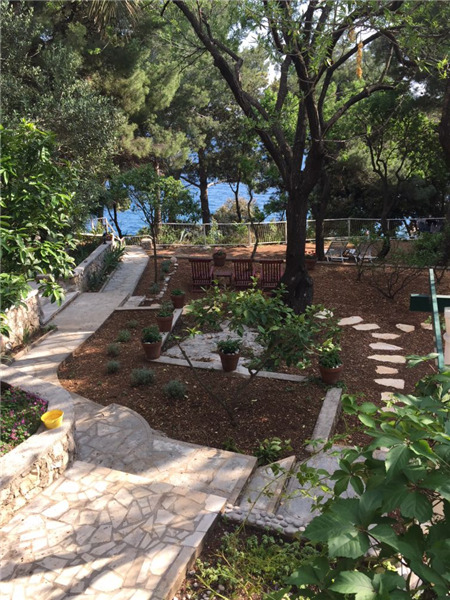 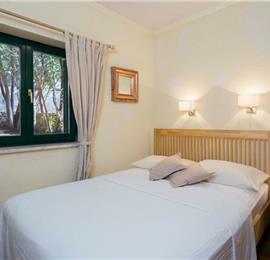 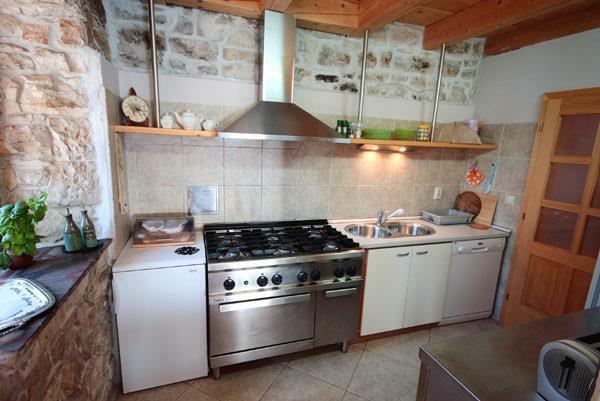 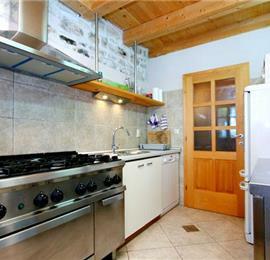 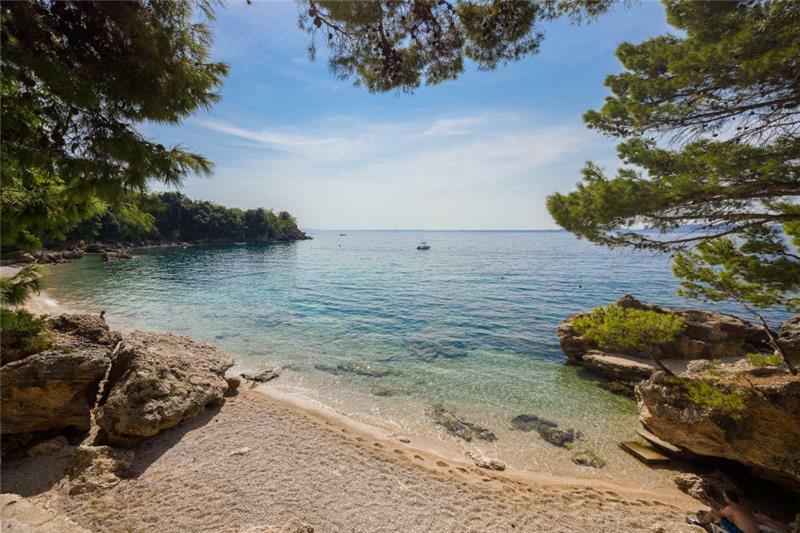 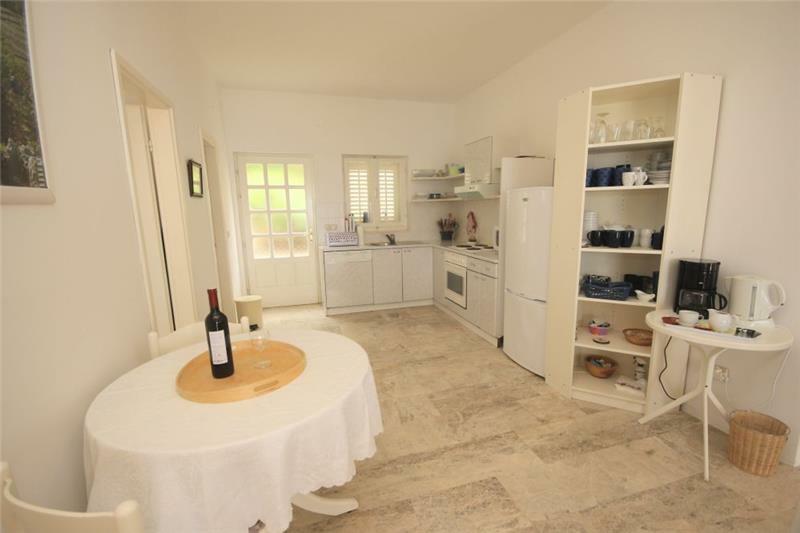 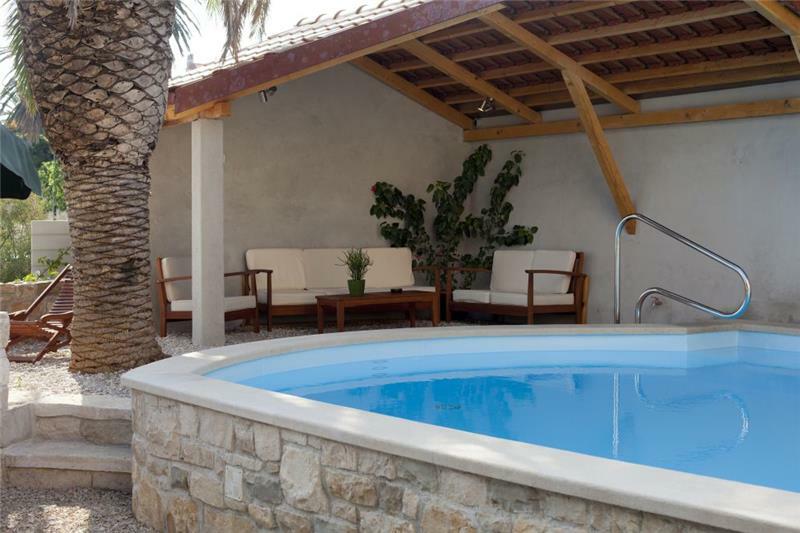 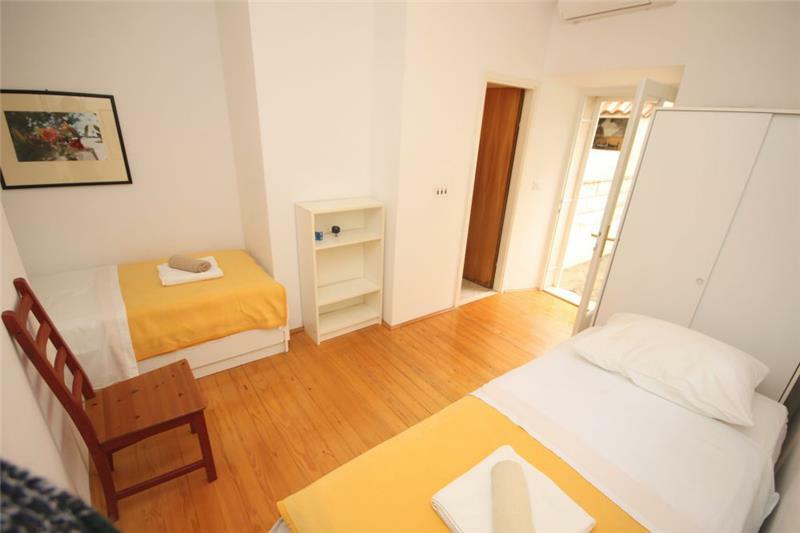 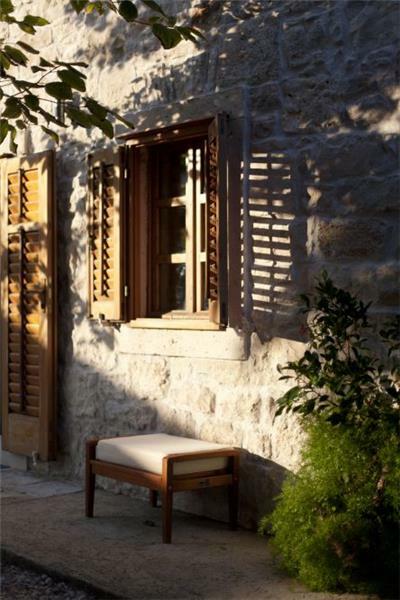 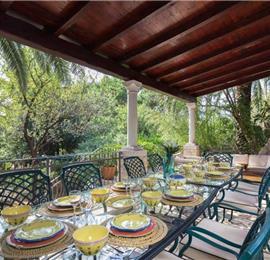 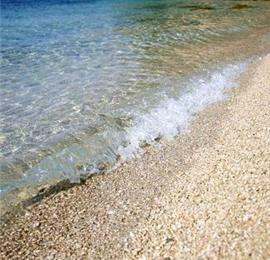 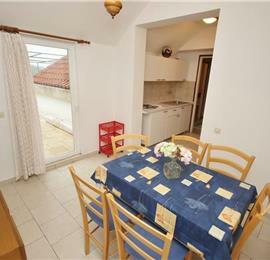 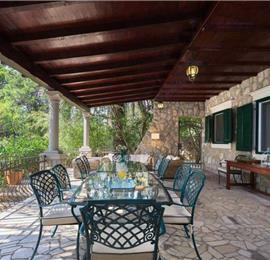 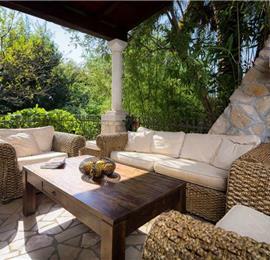 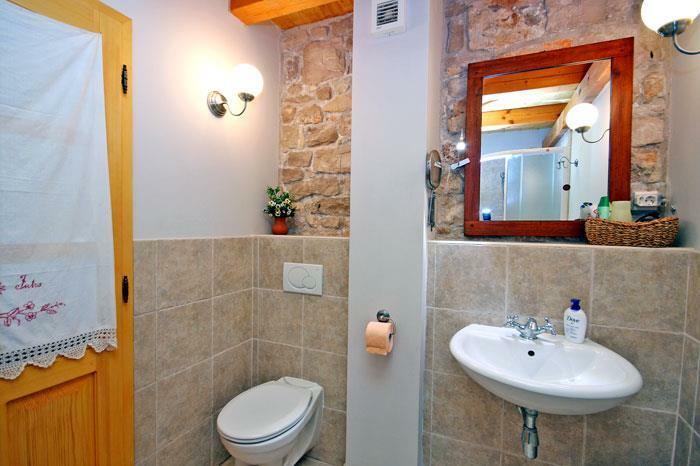 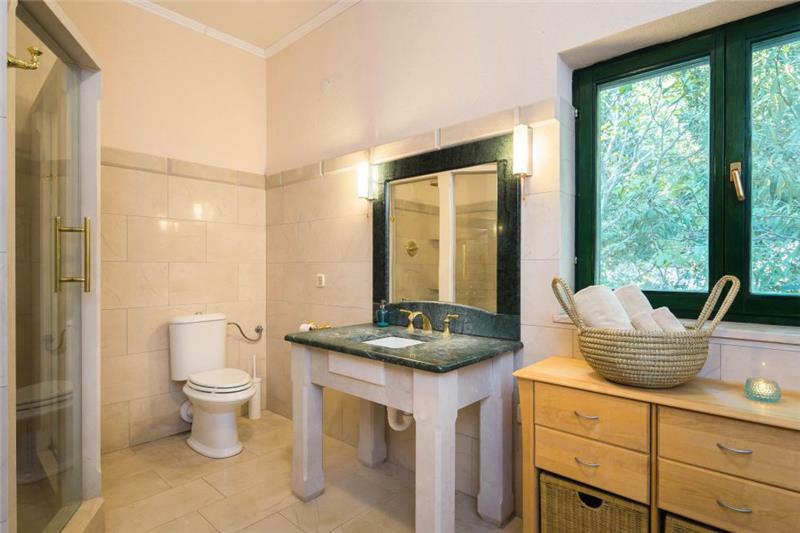 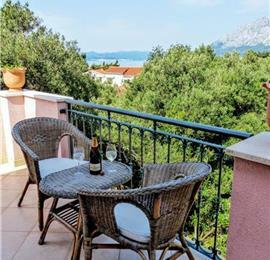 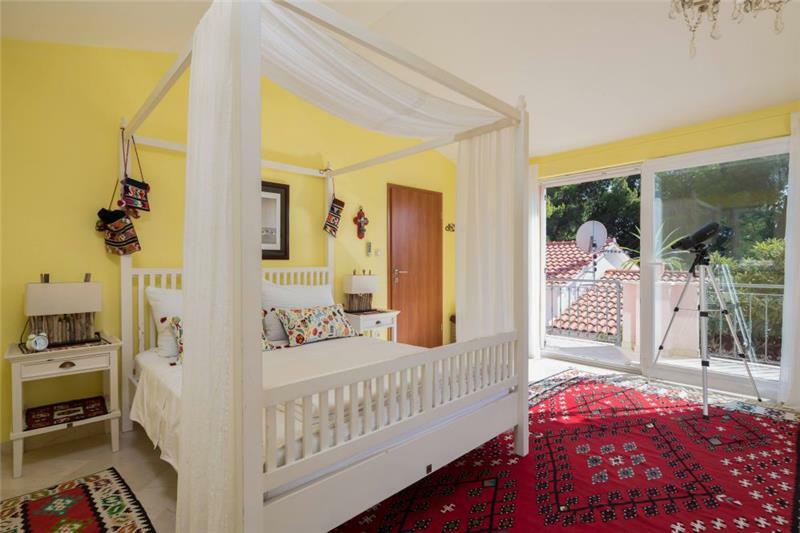 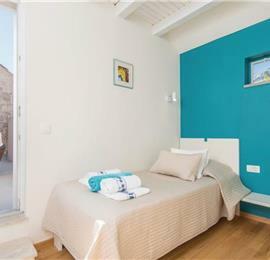 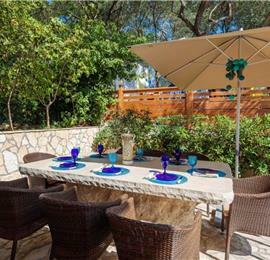 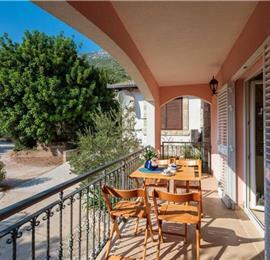 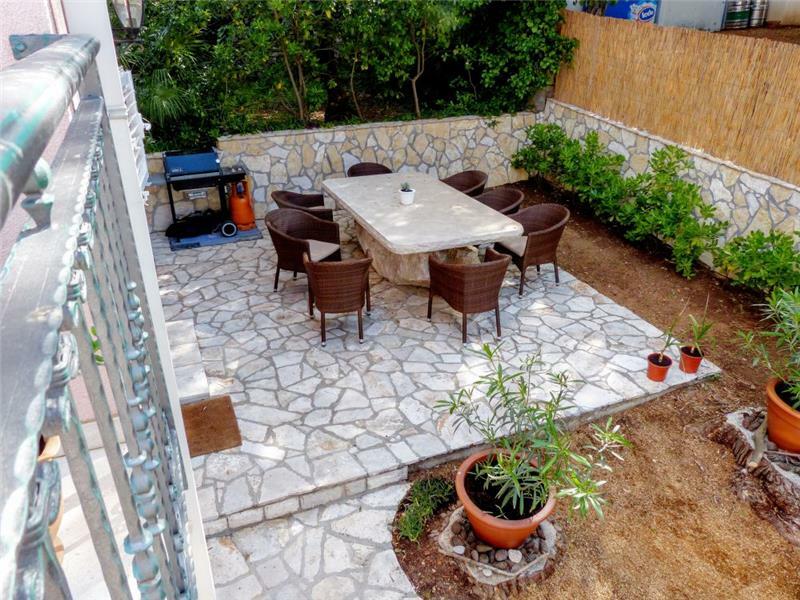 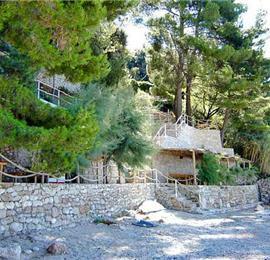 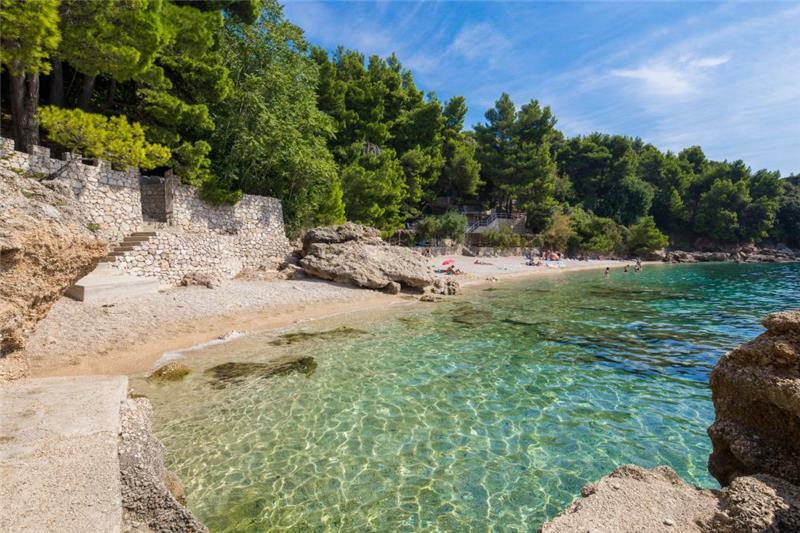 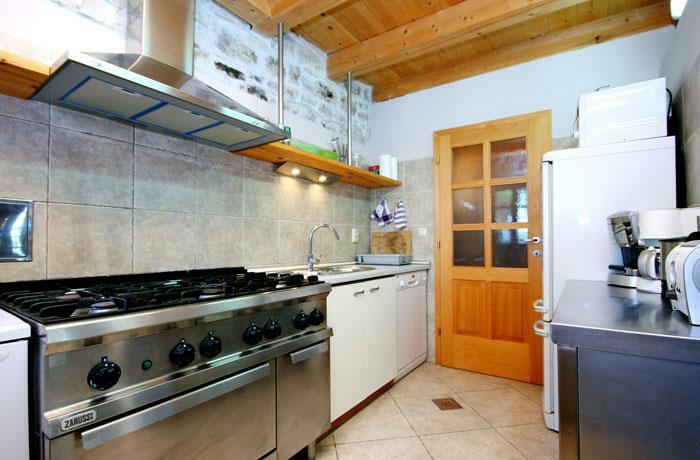 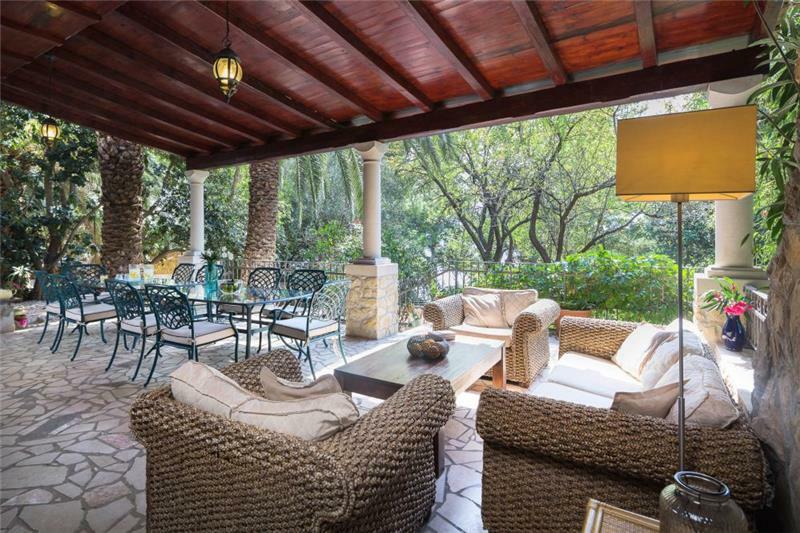 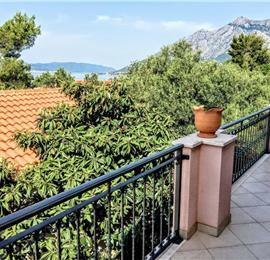 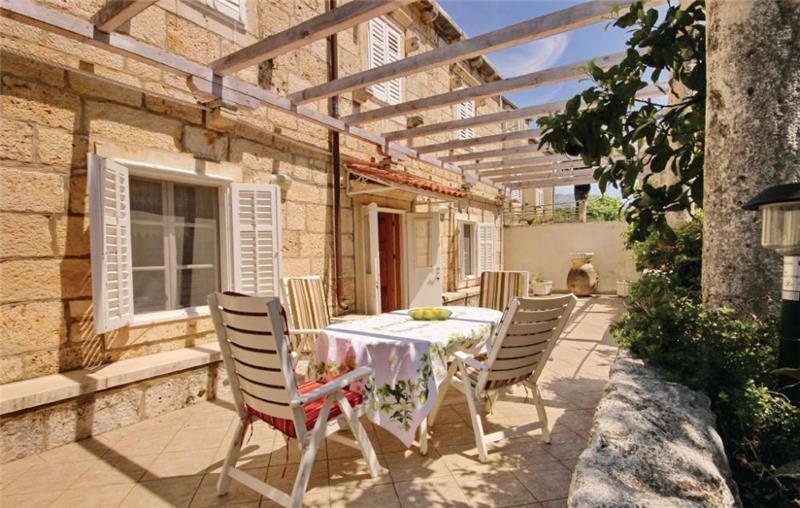 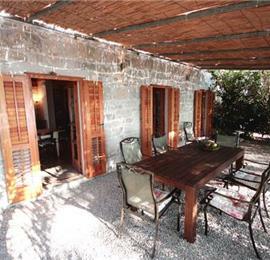 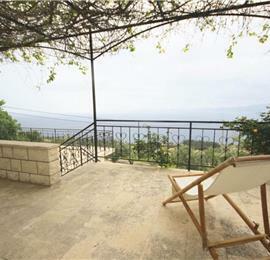 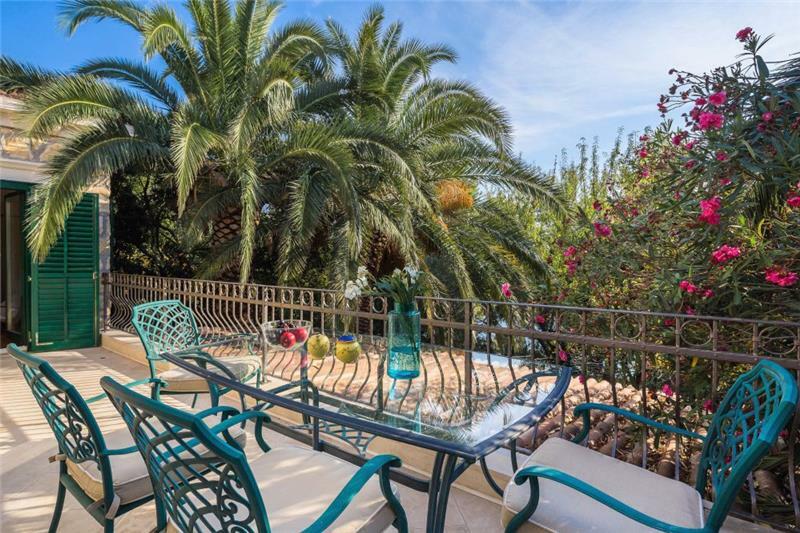 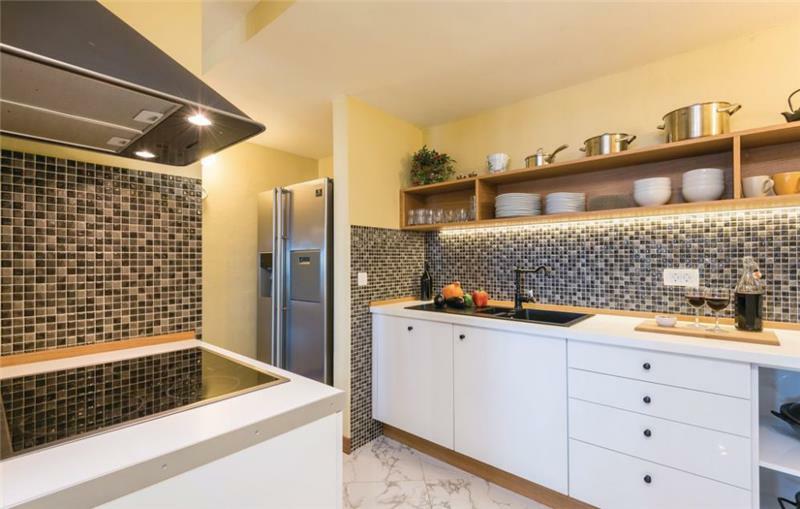 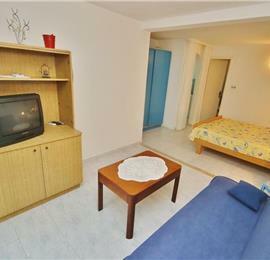 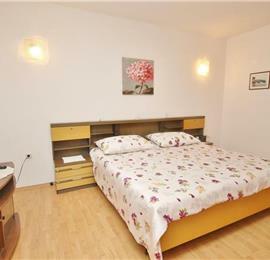 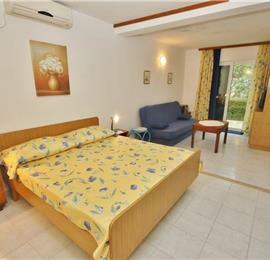 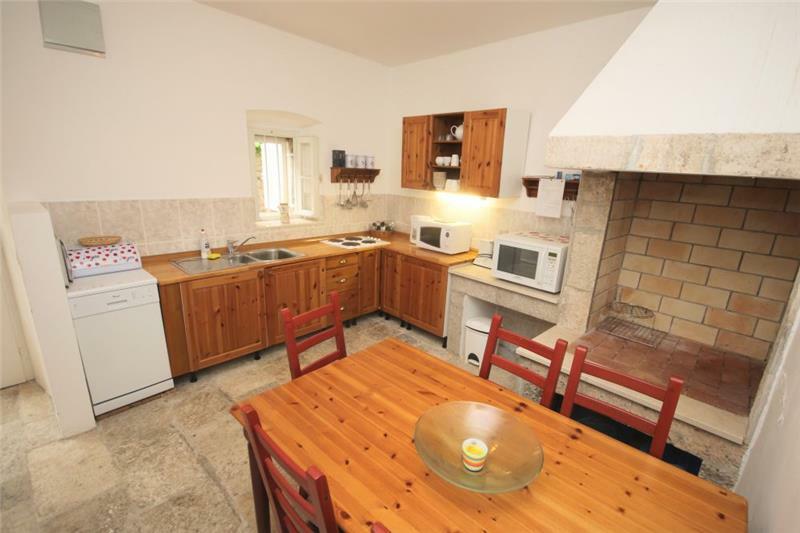 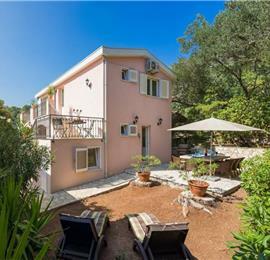 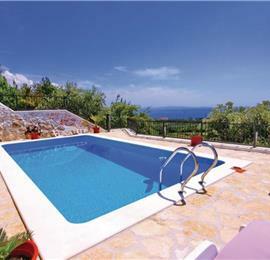 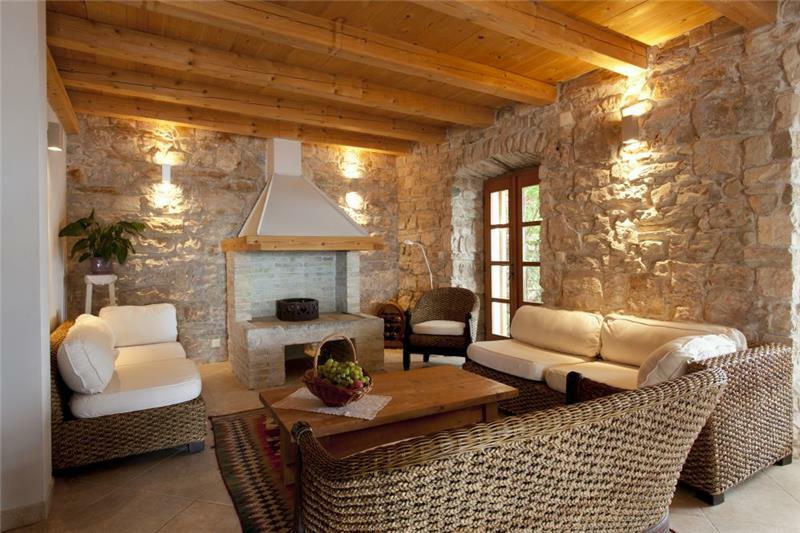 Distance to airport: Approximately 1 hour and 30 minutes to Dubrovnik airport. 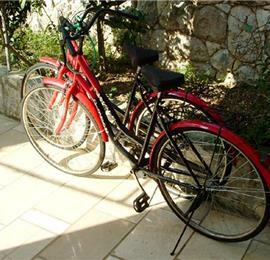 Details on nearest shops: Village grocery shop in Viganj. 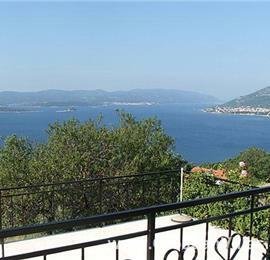 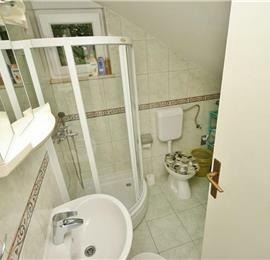 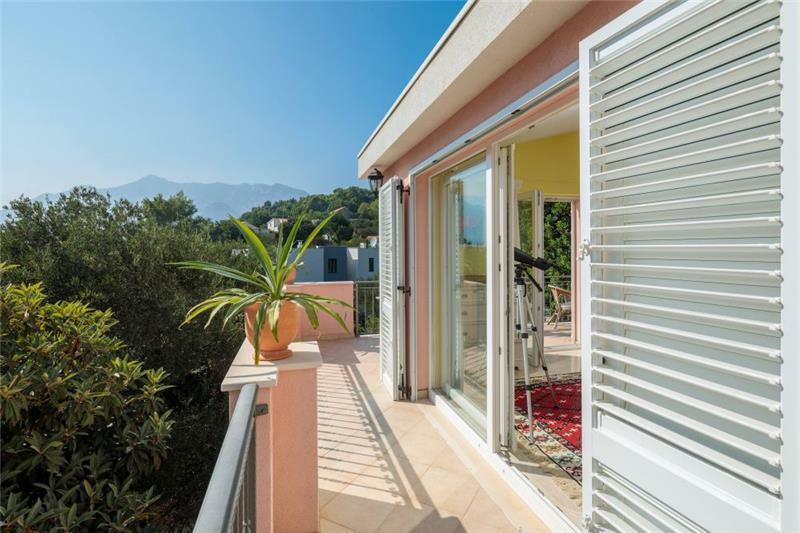 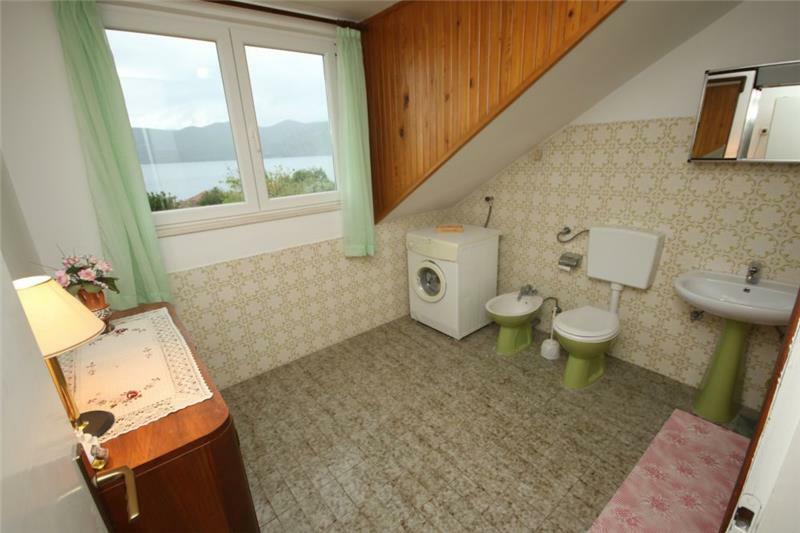 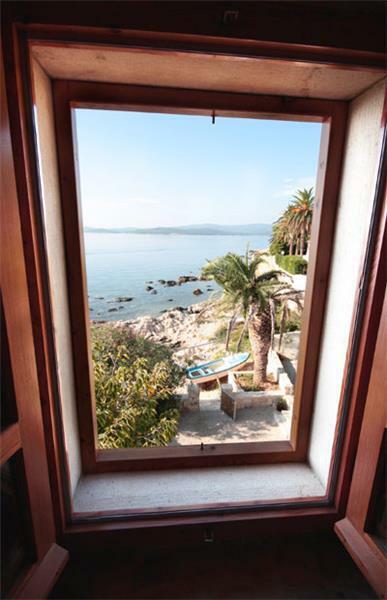 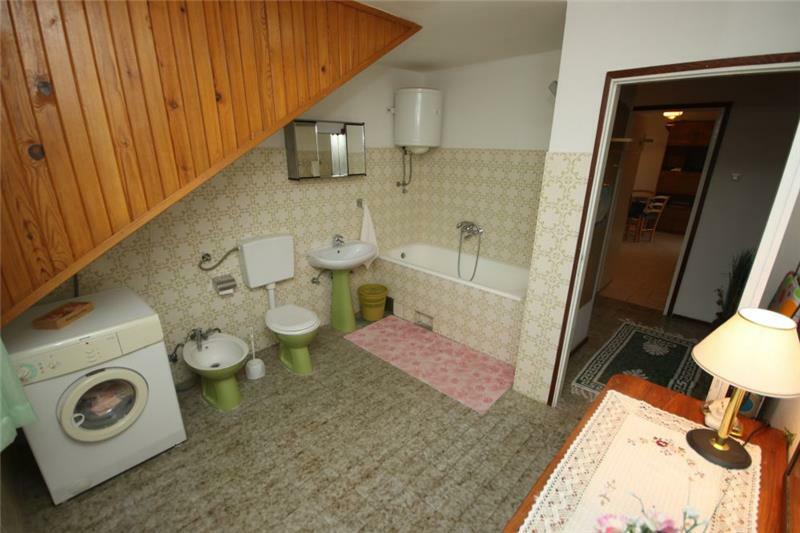 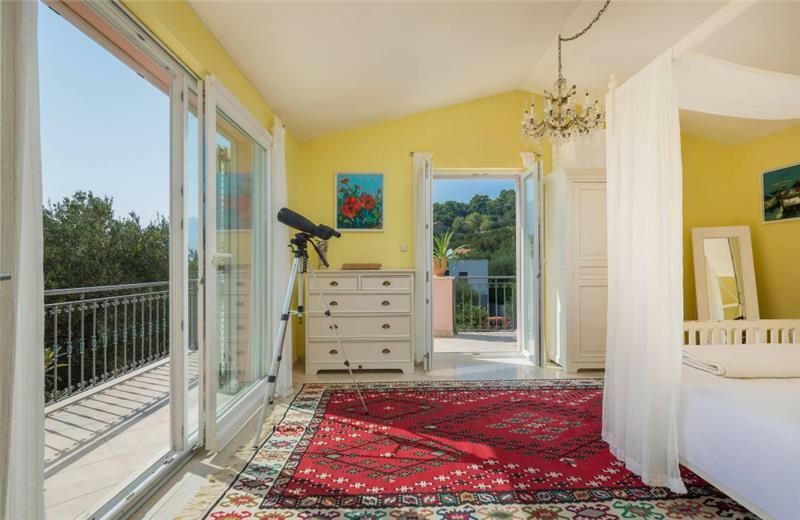 Great location and wonderful views. 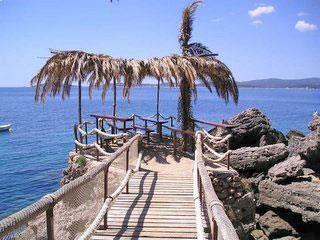 Would go back again. 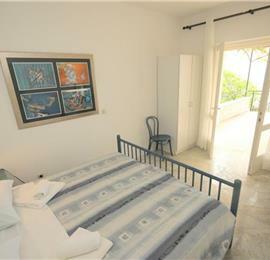 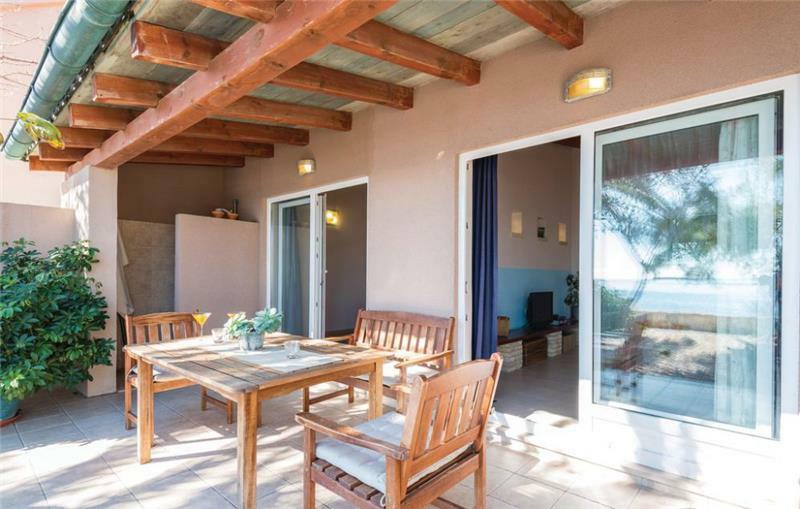 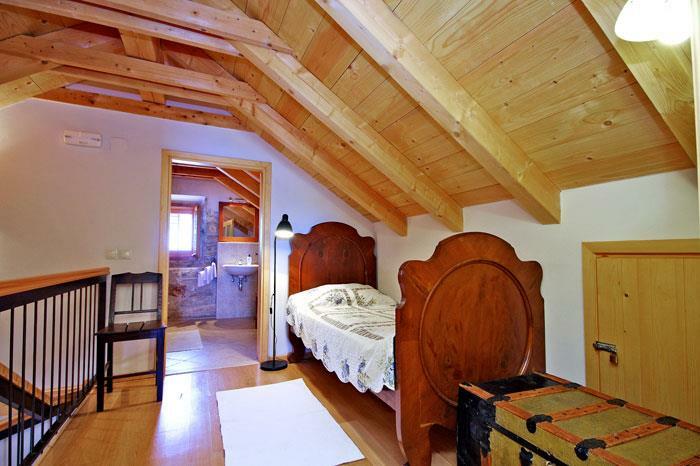 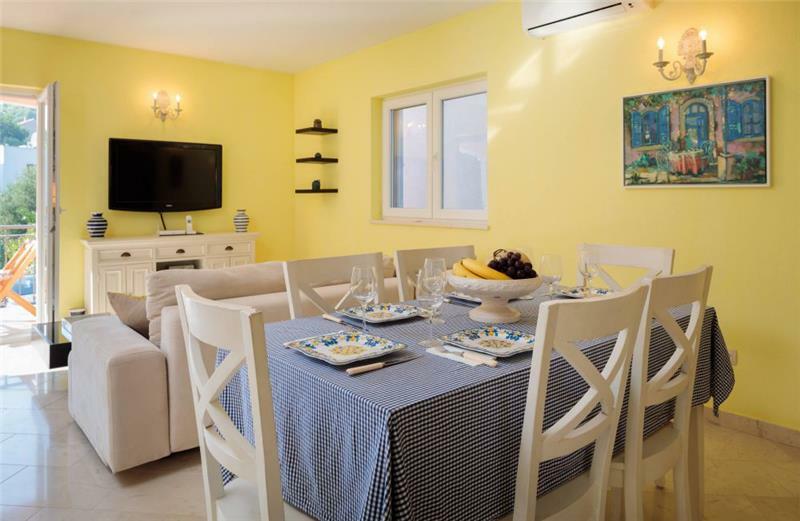 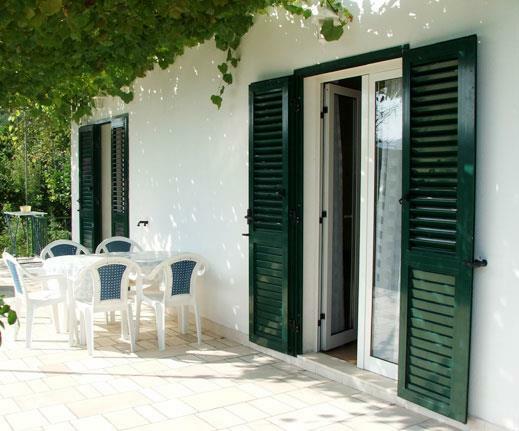 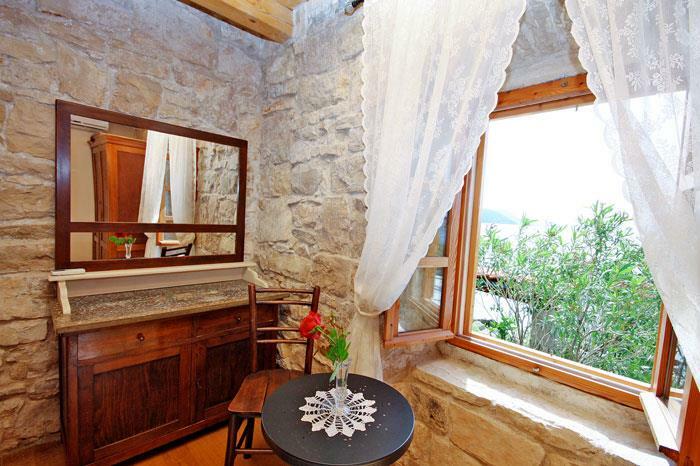 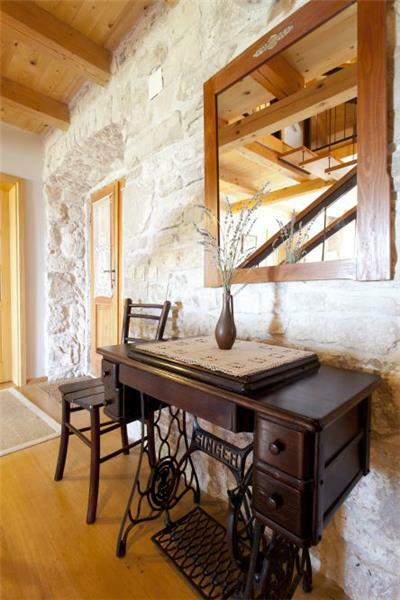 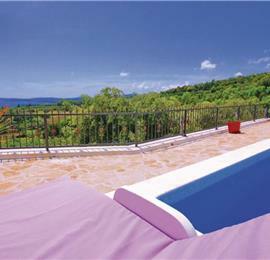 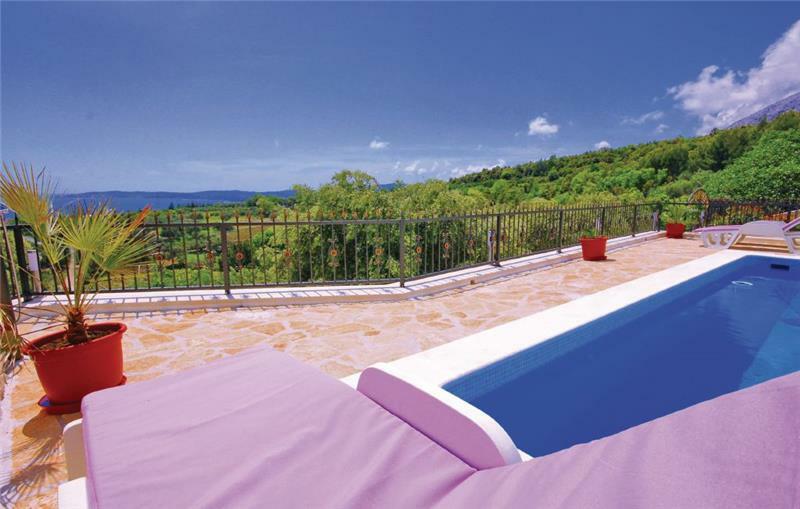 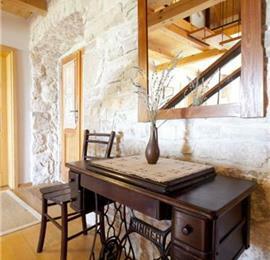 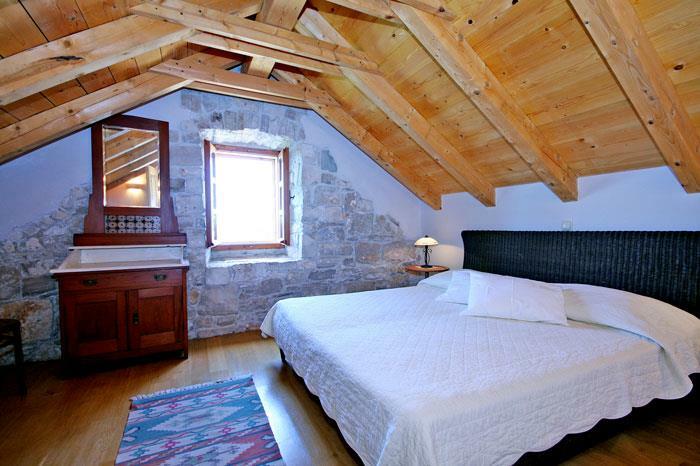 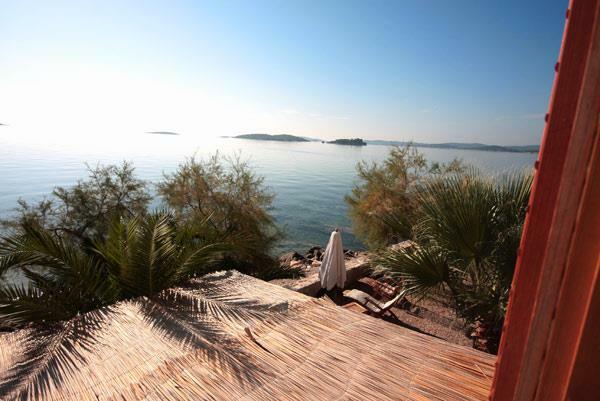 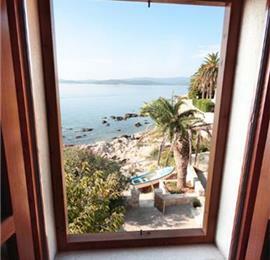 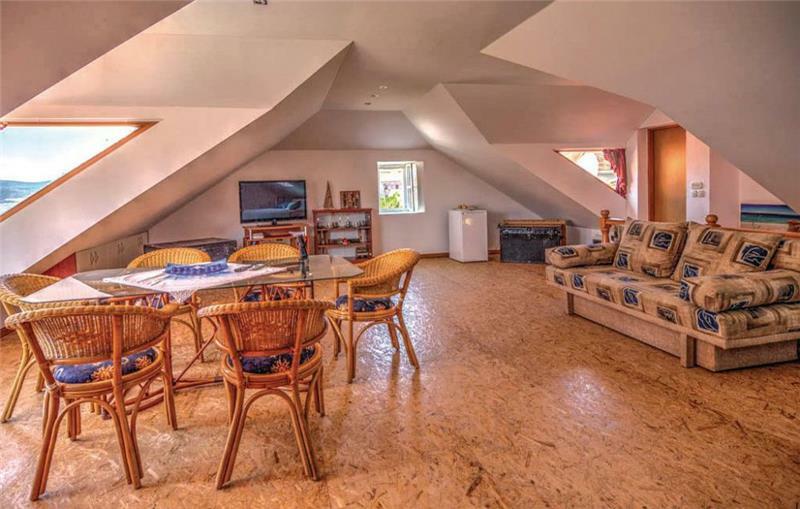 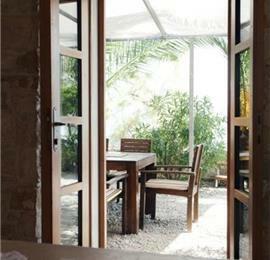 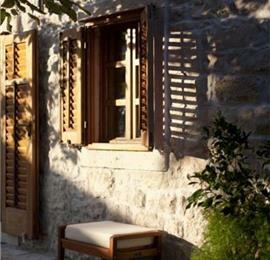 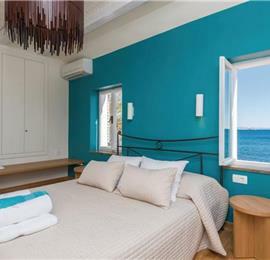 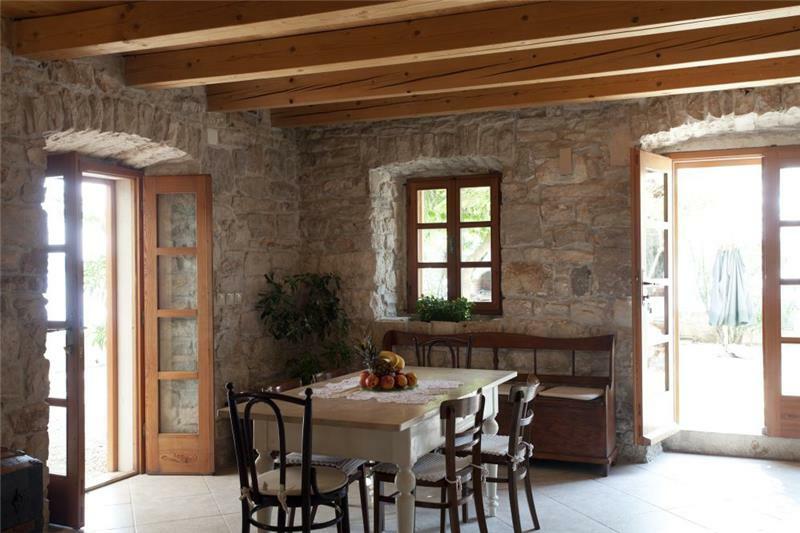 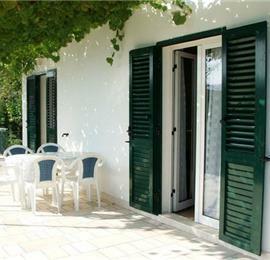 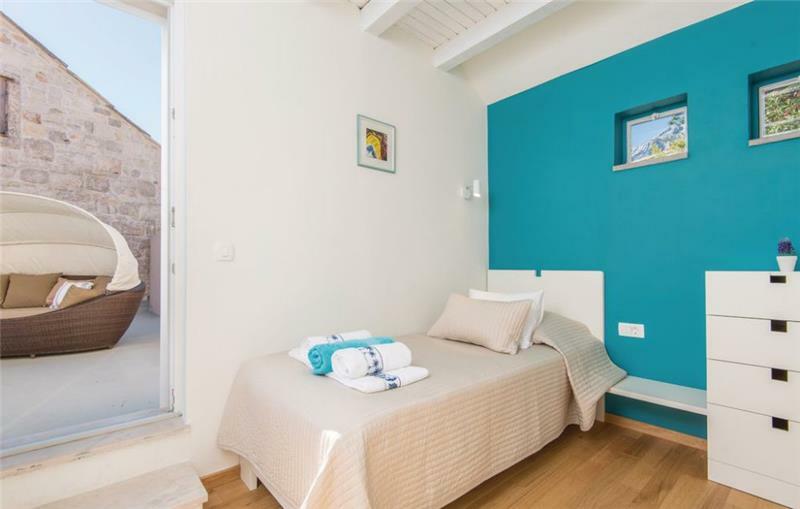 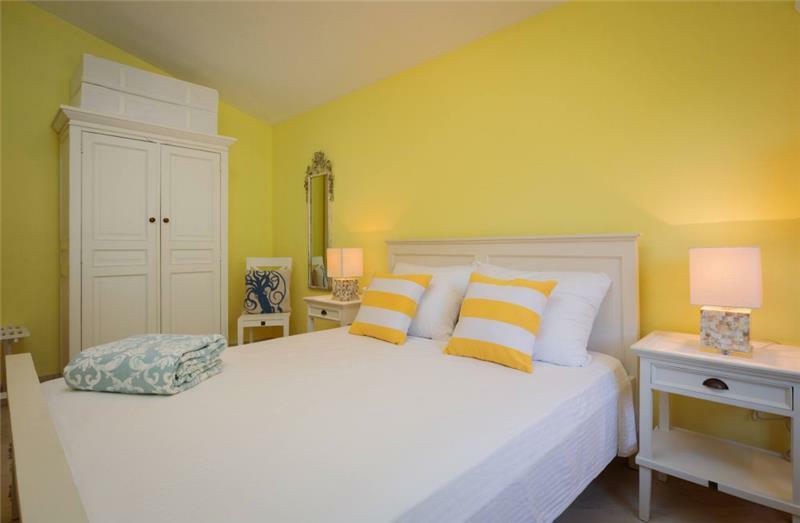 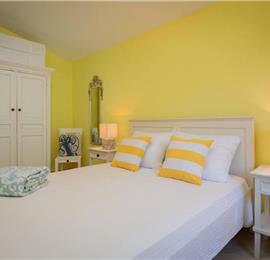 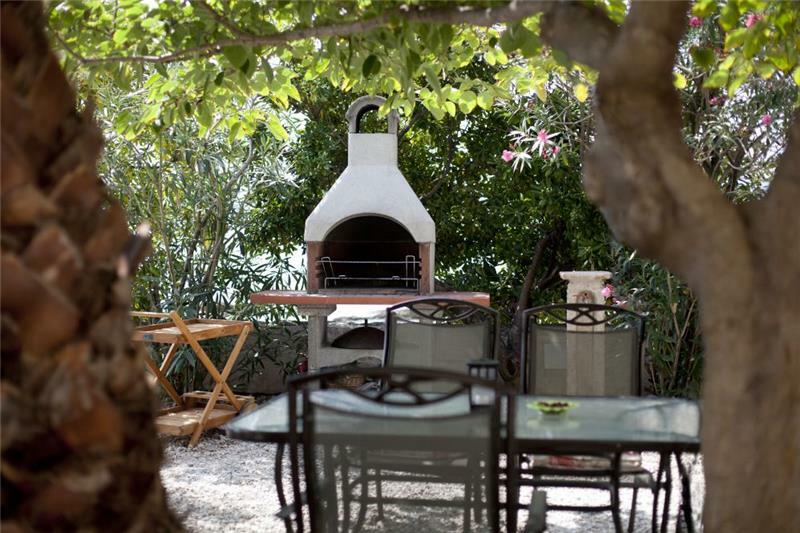 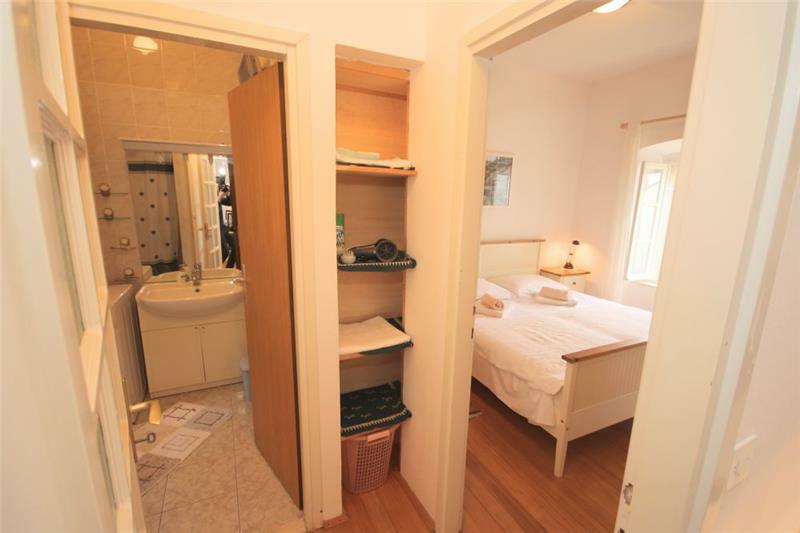 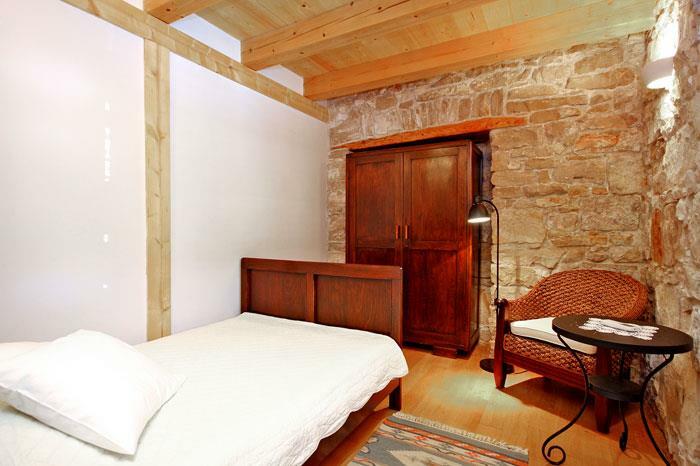 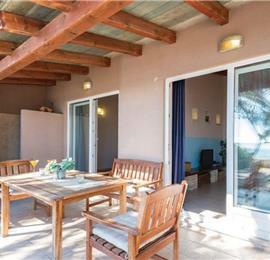 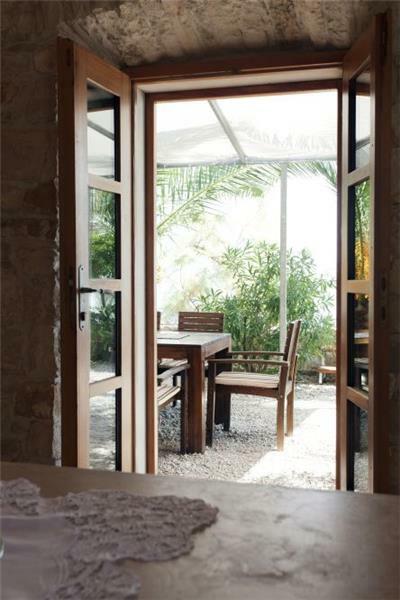 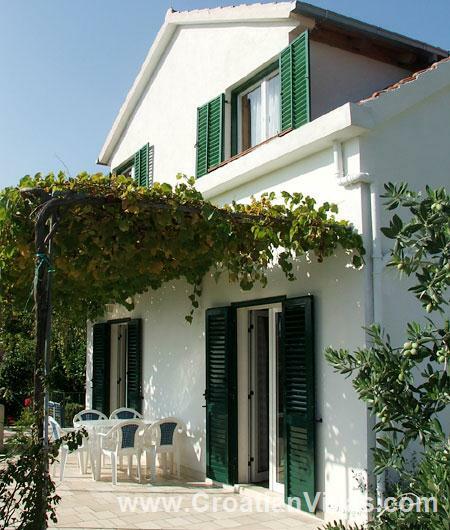 Minimum stay: 7 nights for July-August, 4 nights for all other dates. 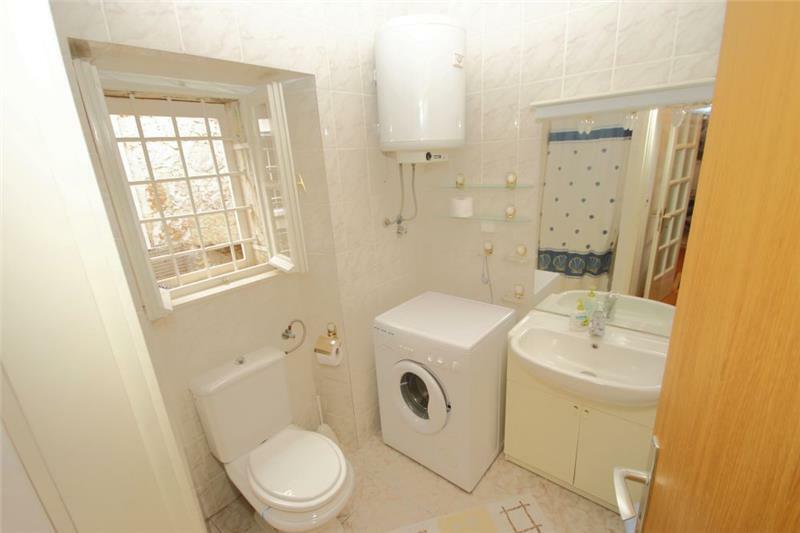 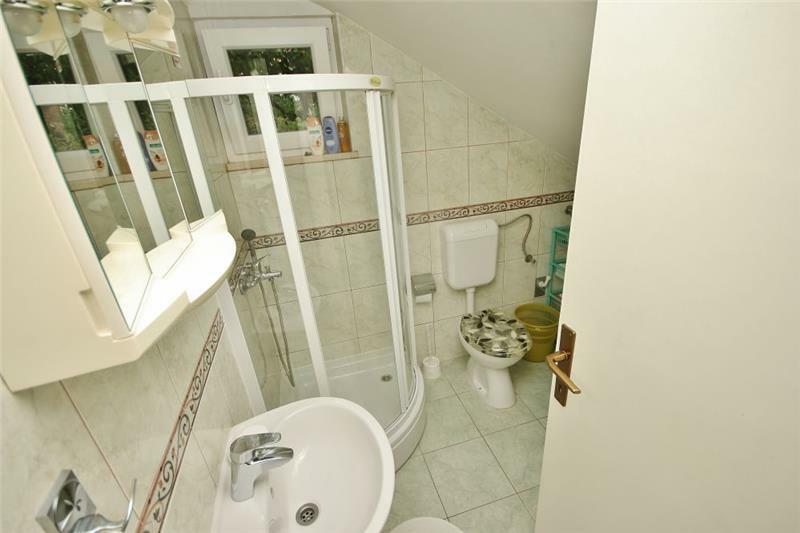 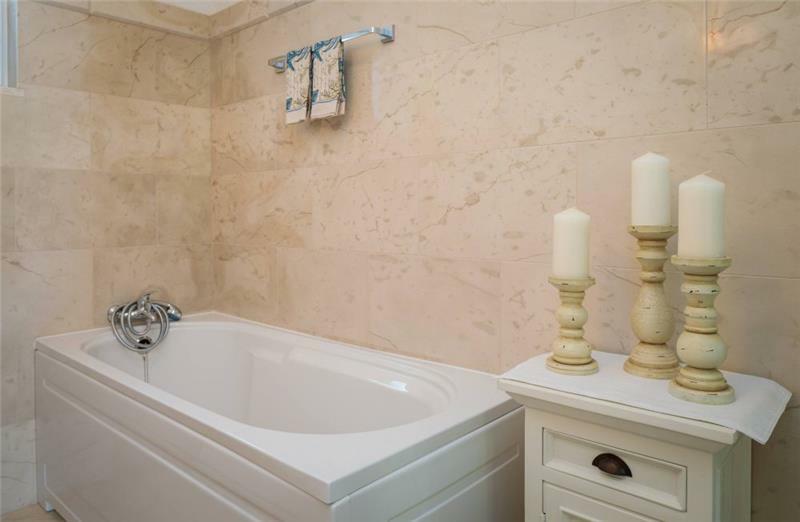 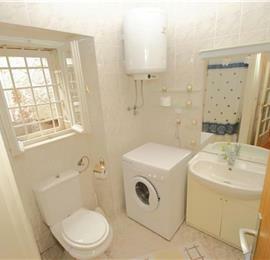 Stunning, Comfortable, very well equipped. 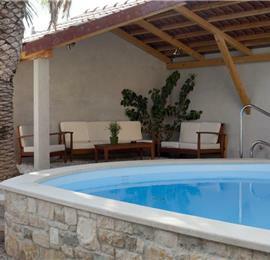 Only negative we faced were number of wasps around the pool. 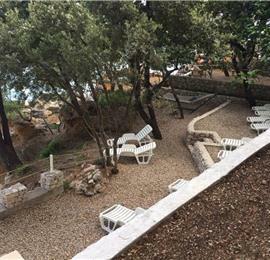 No obvious nest immediately around the property, so almost certain that there was nothing owners could have done, but with young children (2 stings), and the wasps attracted by the water during heat of the day, it became restrictive on their use of the pool at times. 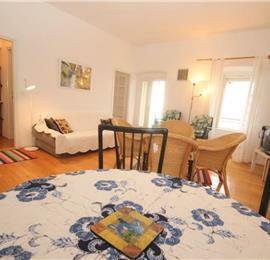 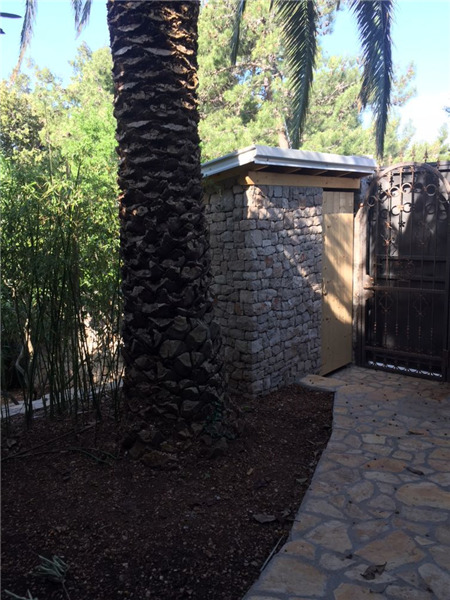 Property owner was extremely - very responsive, never intrusive. 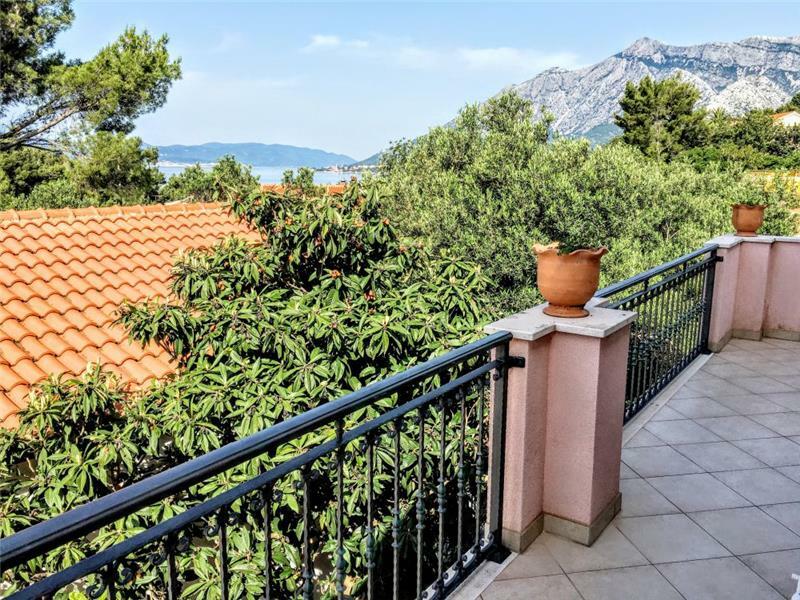 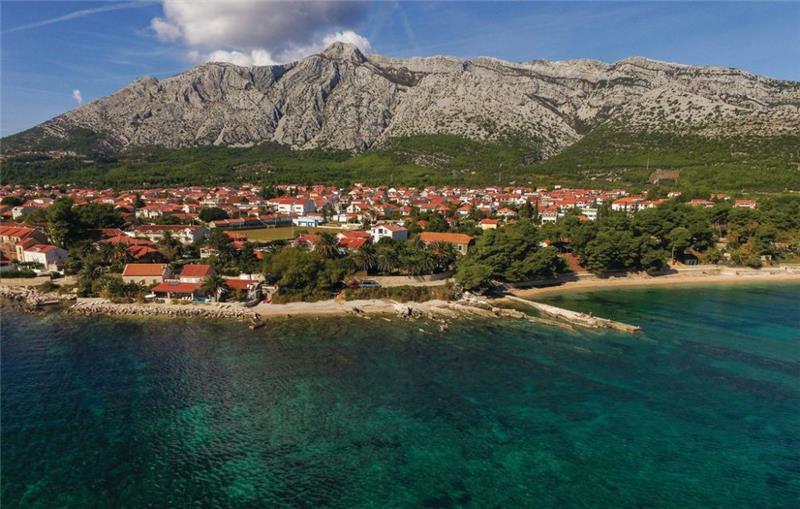 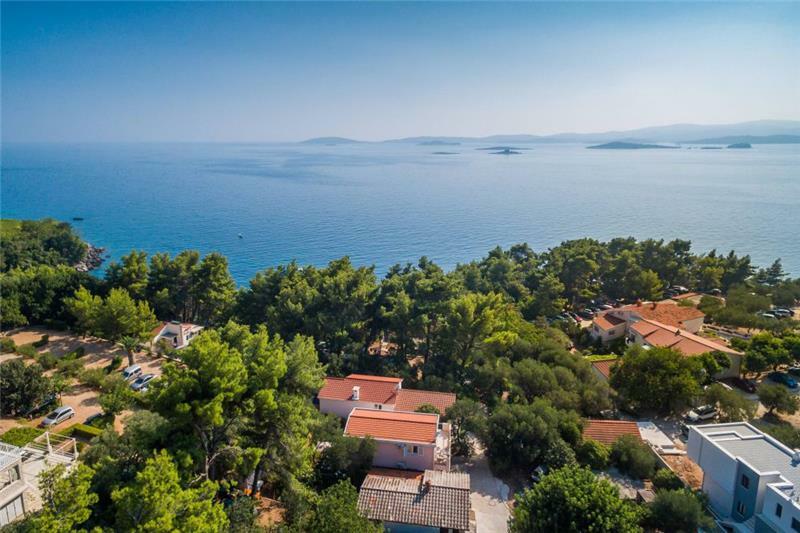 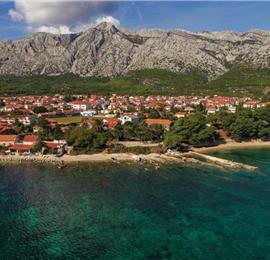 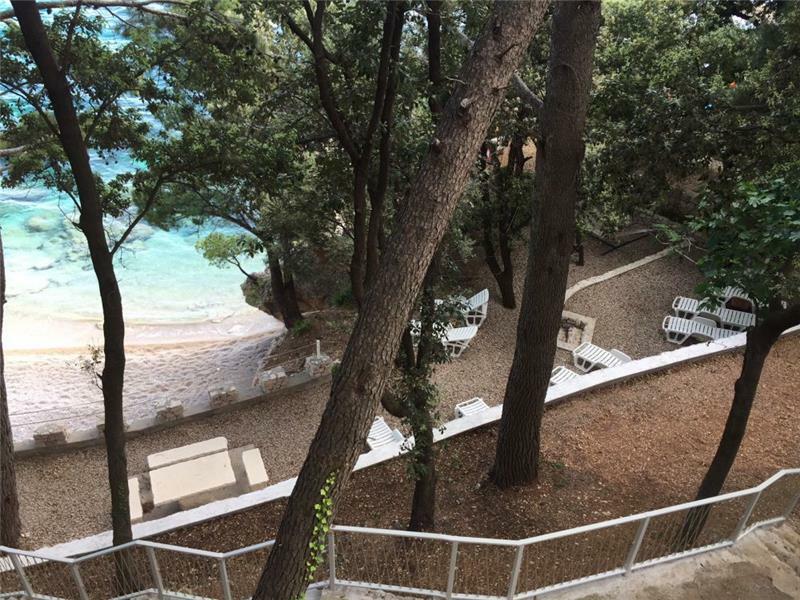 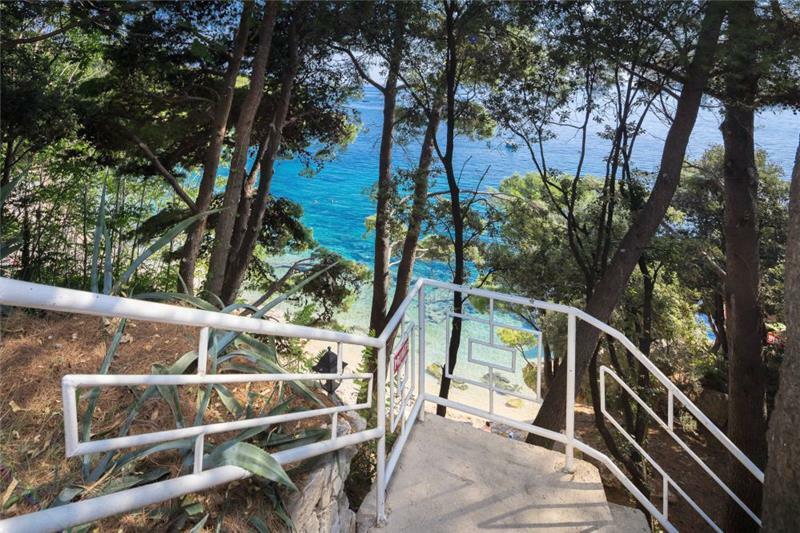 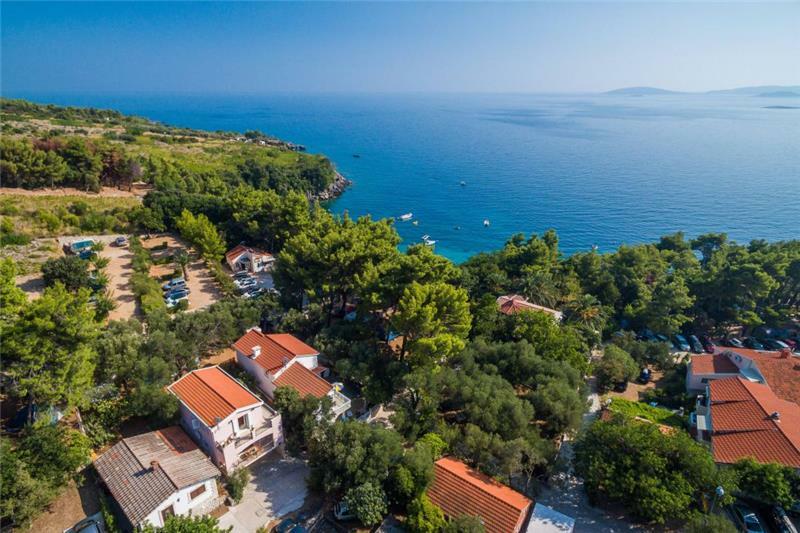 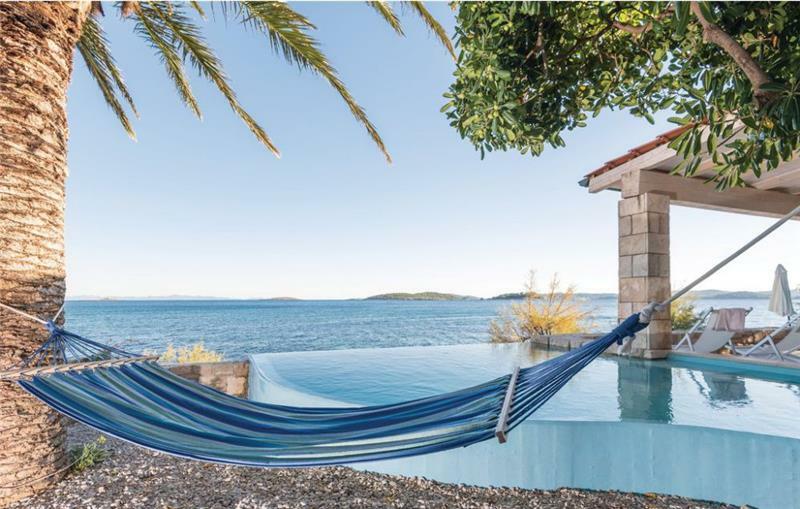 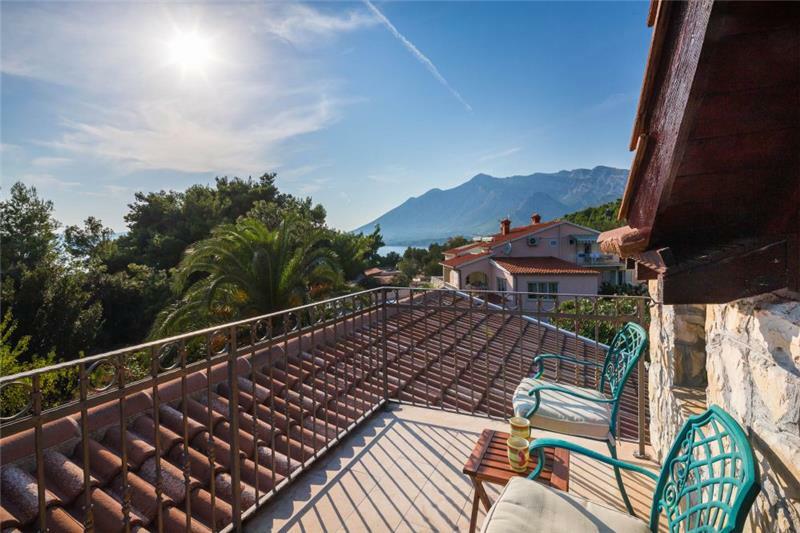 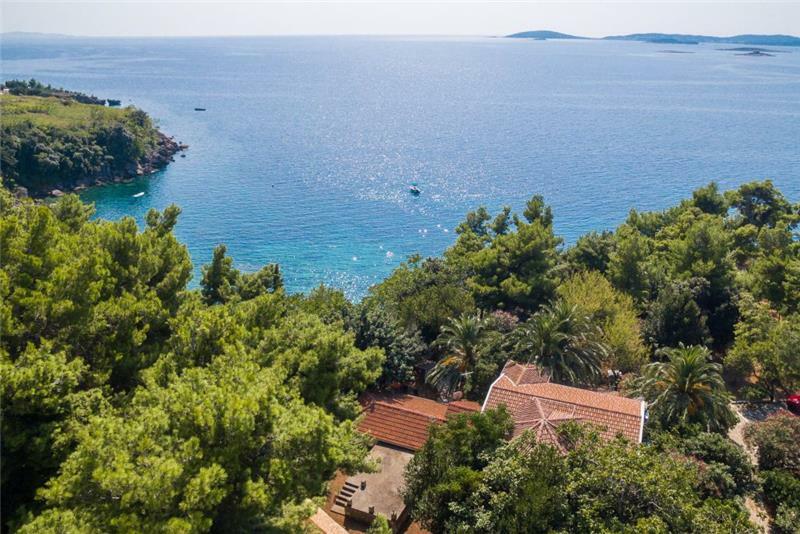 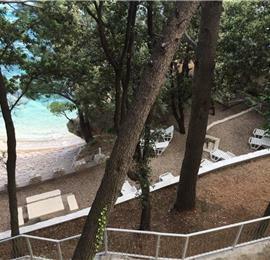 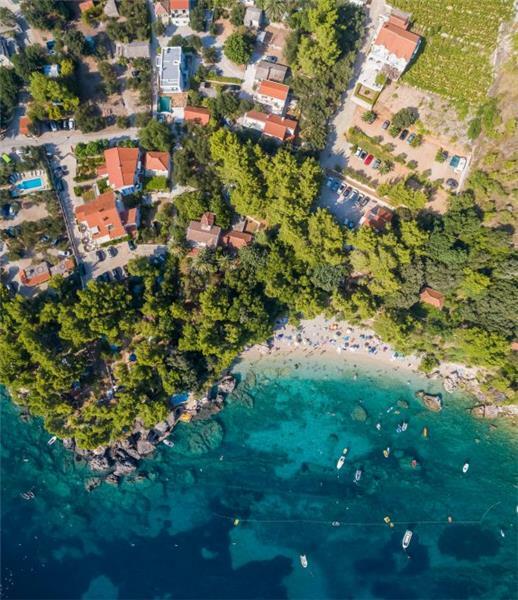 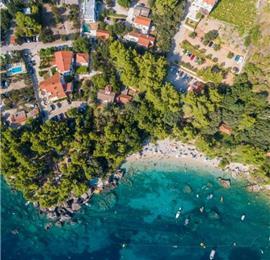 We've been to Brac and now Orebic, loved both villas (Villa Mira last year), probably preferred Brac to Orebic as slightly more to do with the children, although Dubrovnik for a couple of days subsequently was absolutely fantastic - loved it. 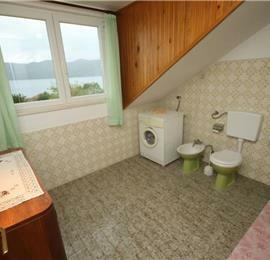 Entirely open to suggestions of where we could try next... over to you! 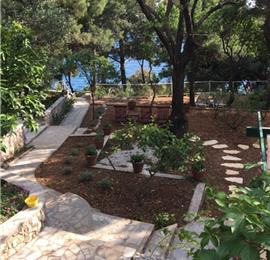 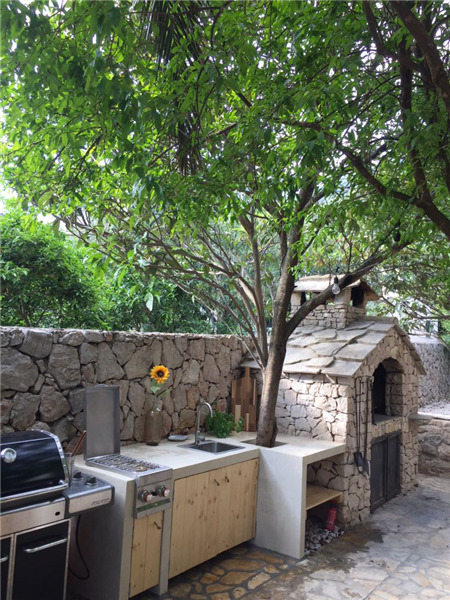 Impressed with: Beautiful, friendly, climate, food, affordable, clean (although Dubrovnik region noticeable more expensive than Split/Brac Island). 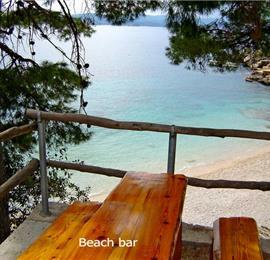 Recommend: Mostly self-catered, used a couple of local restaurants (can't remember names) but all were good. 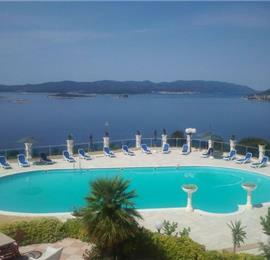 Day trip to Korcula was fantastic and not to be missed. 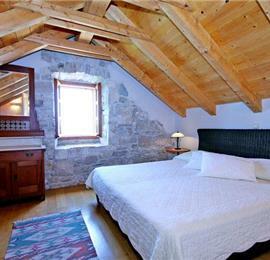 Trip to Ston to climb the walls and see the salt works was well worth it. 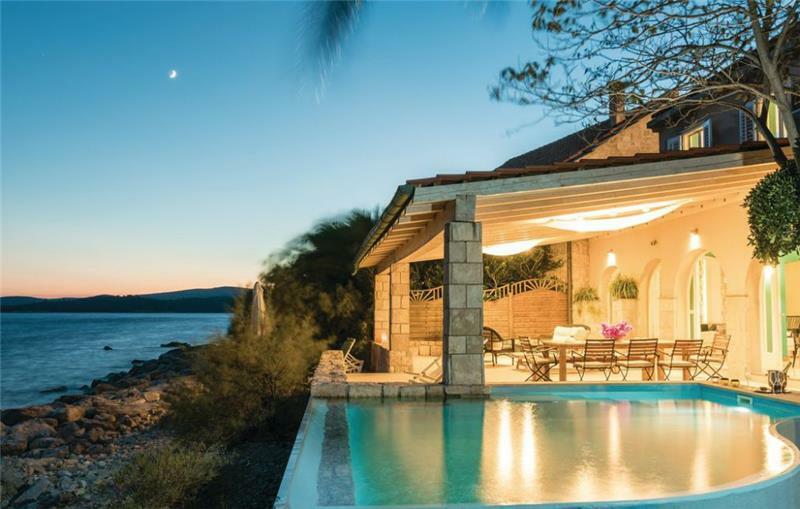 Favourite villa moment: Night swimming with pool lights on (fantastic), then enjoying glass of wine on sun loungers in total darkness and watching the stars. 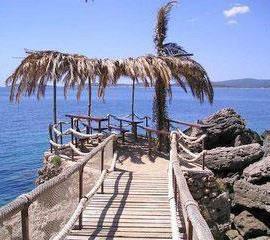 Unforgettable. 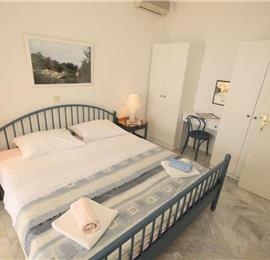 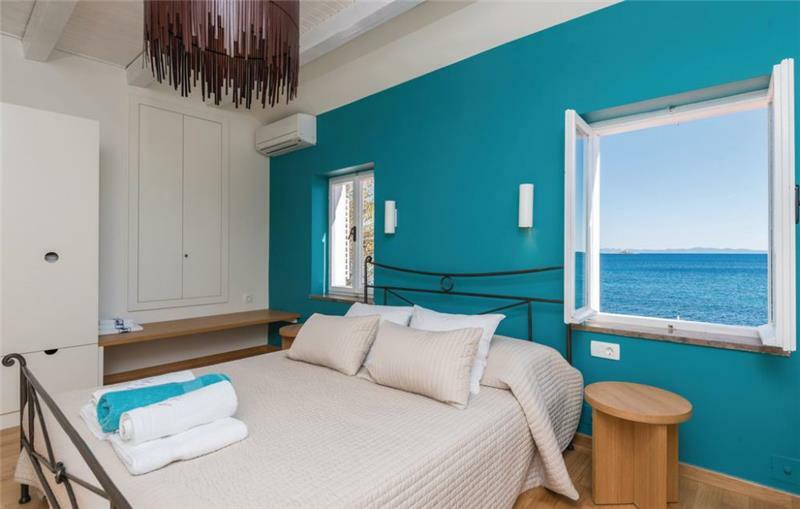 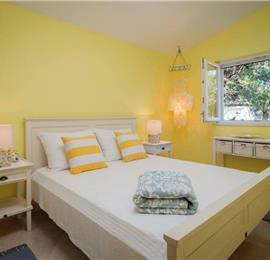 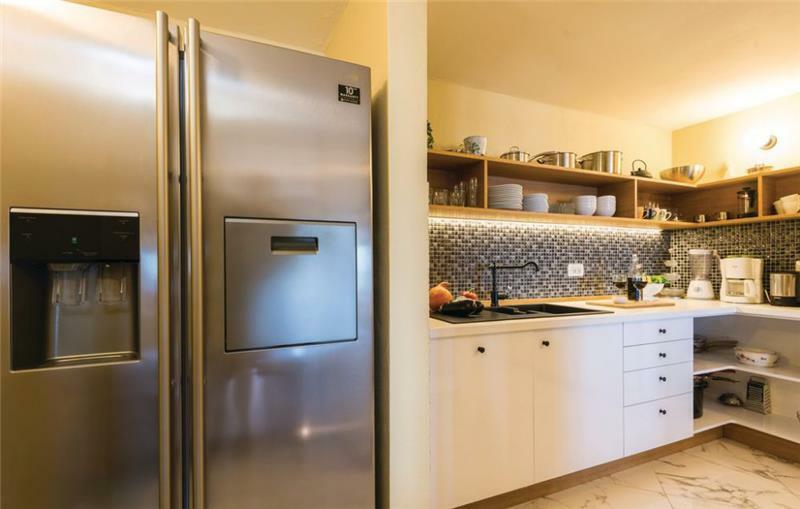 Minimum stay: 7 nights stay for mid-June to early September. 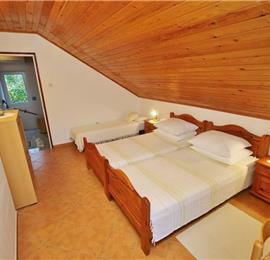 4 nights stay for all other dates. 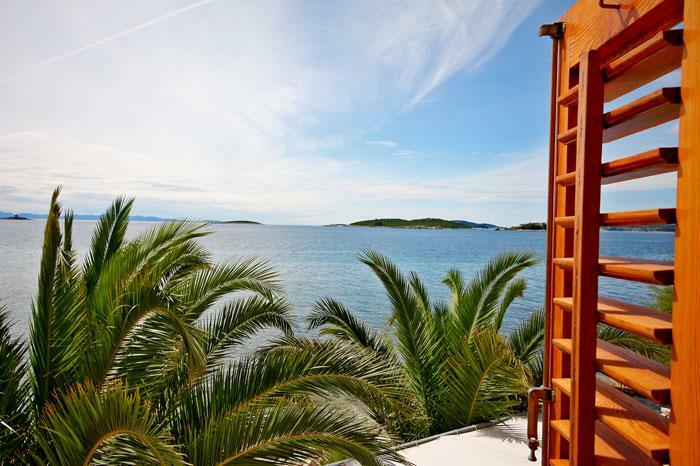 Arrival days: Saturday arrival for mid-June to early September. 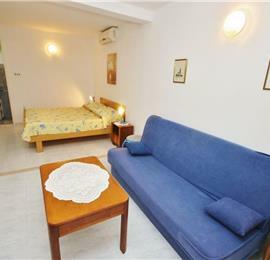 Any day arrival for all other dates. 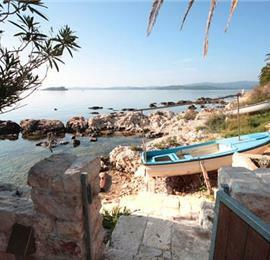 Boat mooring - up to 5m dinghy can be moored by the villa. 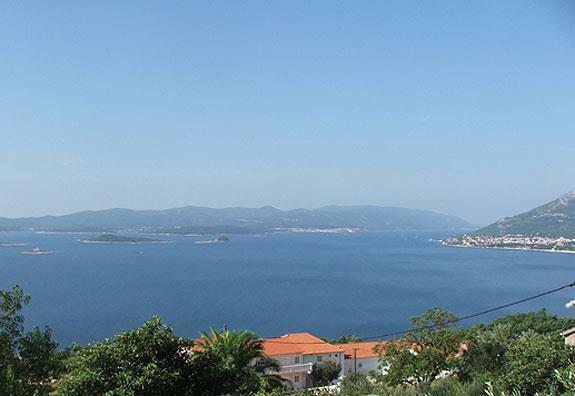 Larger boats can be moored in the local marina - payable locally. 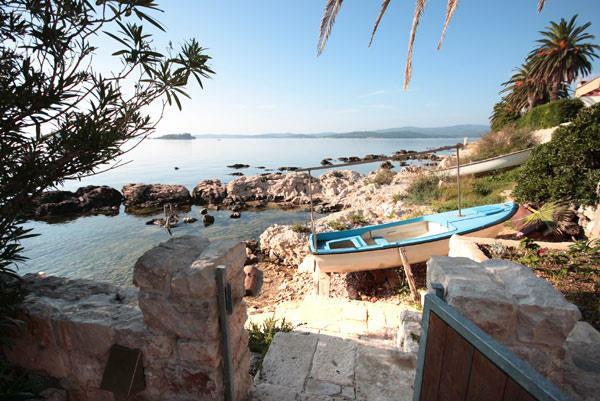 Prices vary depending on the size of the boat.